Don Dalgliesh has been organising and running these relays on behalf of Scottish since 1977 which is pretty remarkable. 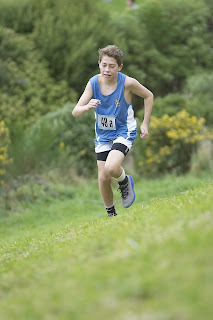 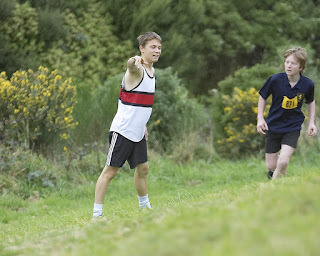 The relays are traditionally held at Karori Park although other locations have been used when the park is not available. 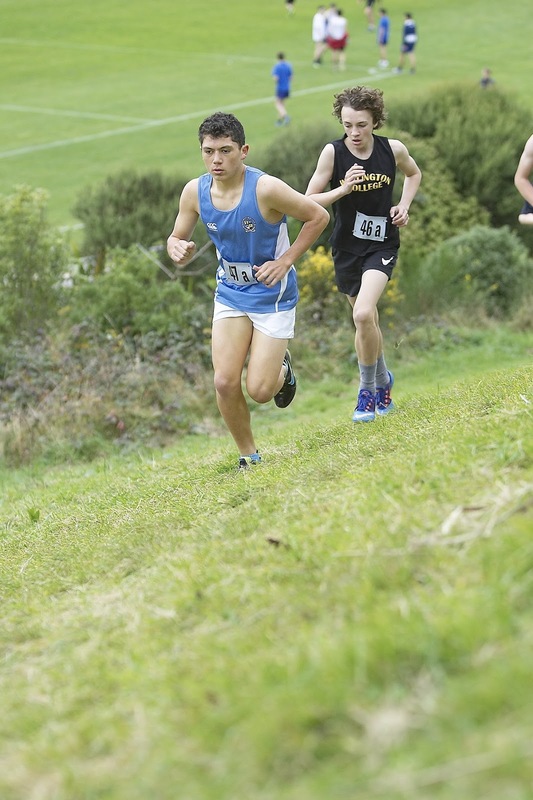 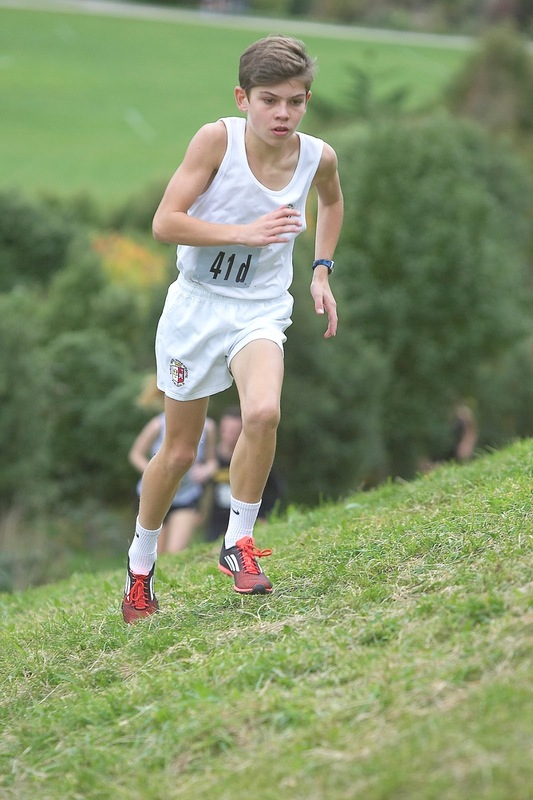 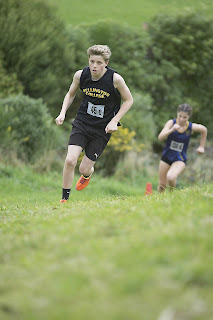 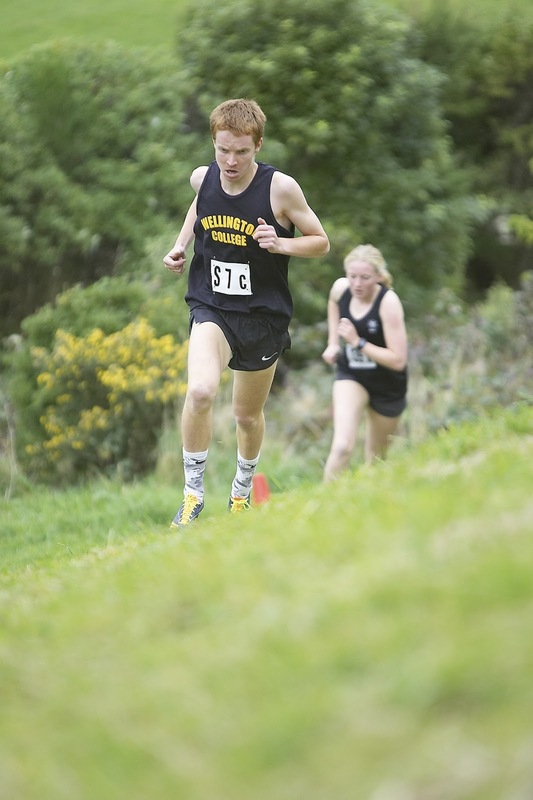 Teams are comprised of 6 runners for the boys and 4 for the girls. 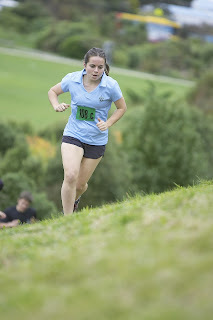 The lap is a 2km circuit of the park which includes a couple of challenging uphill sections. 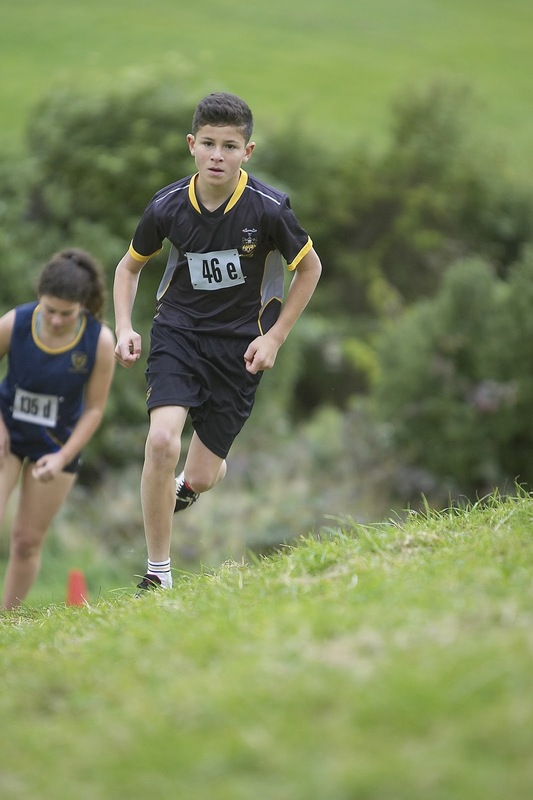 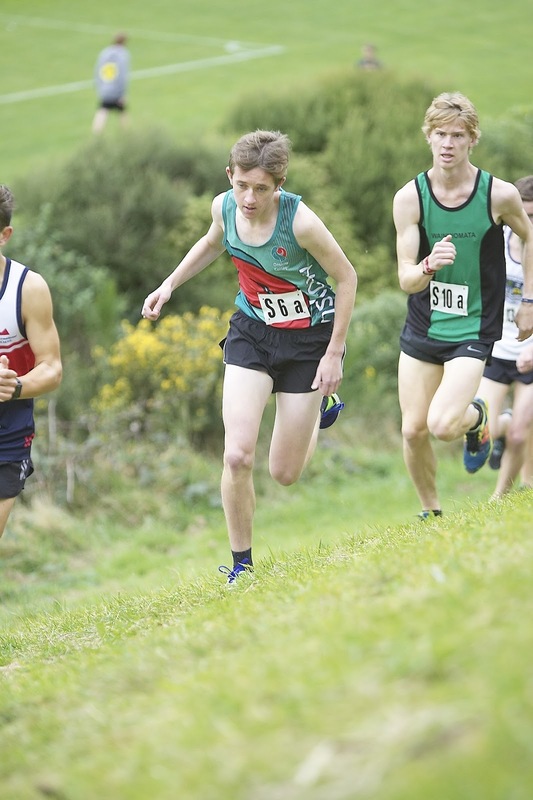 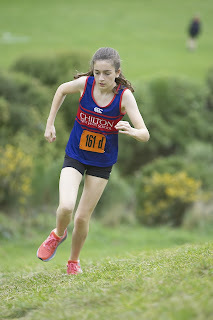 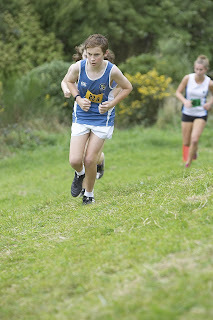 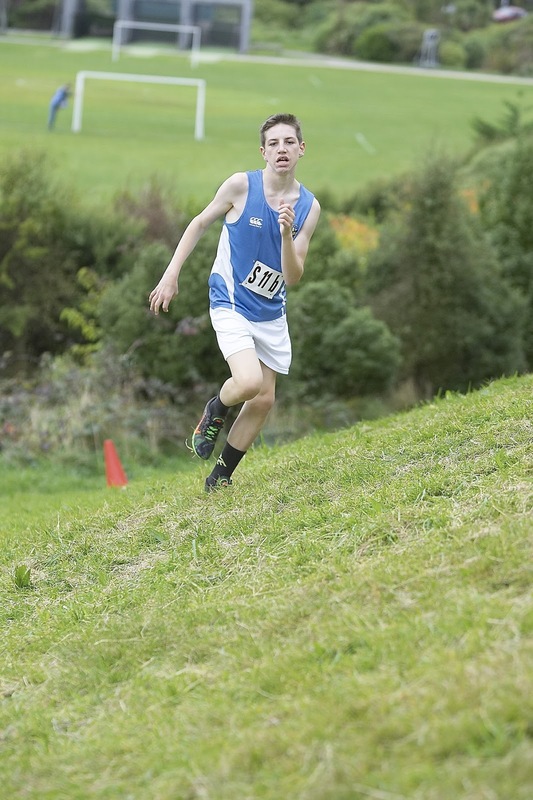 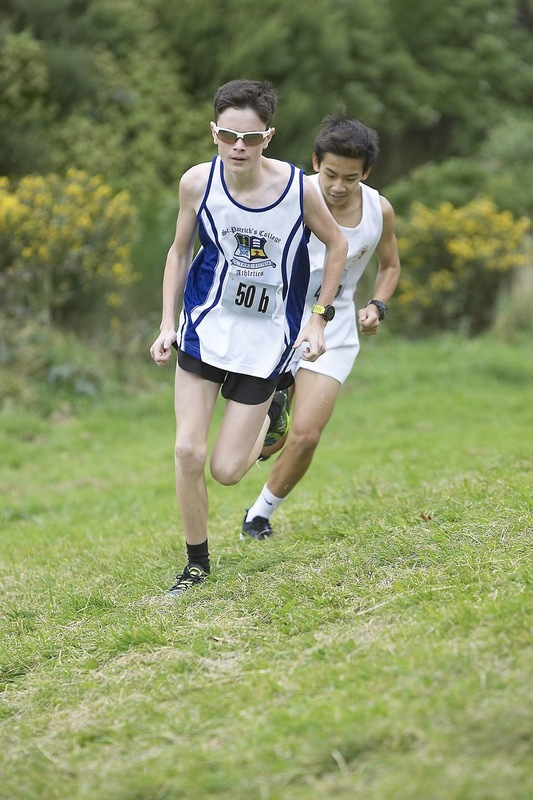 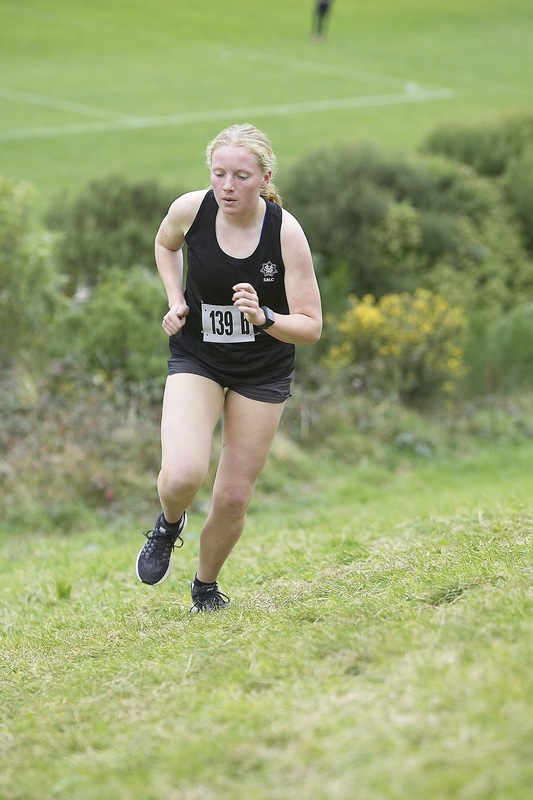 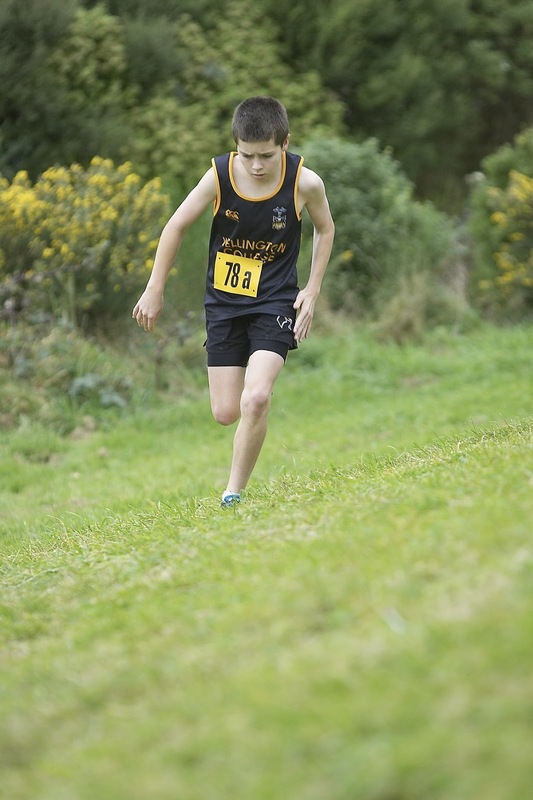 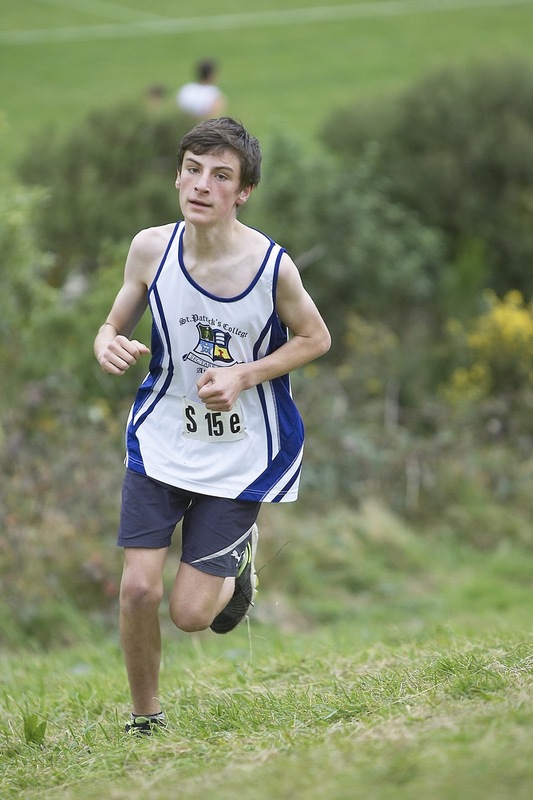 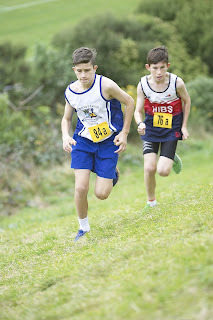 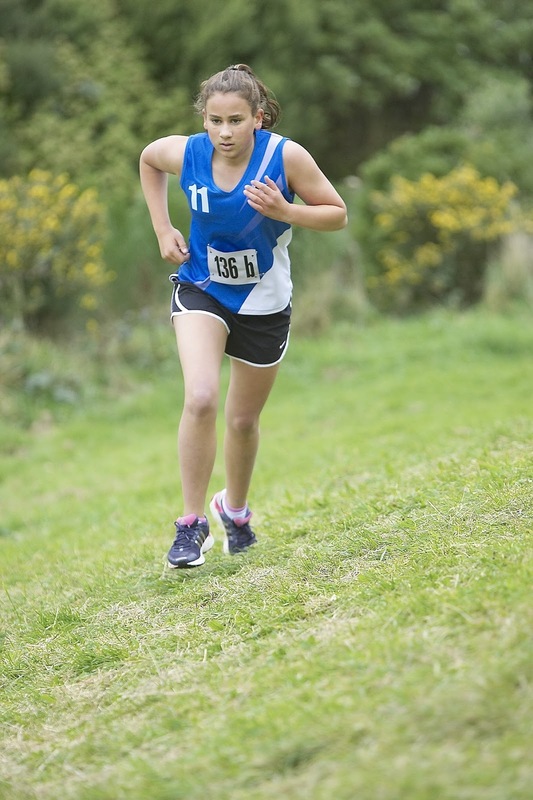 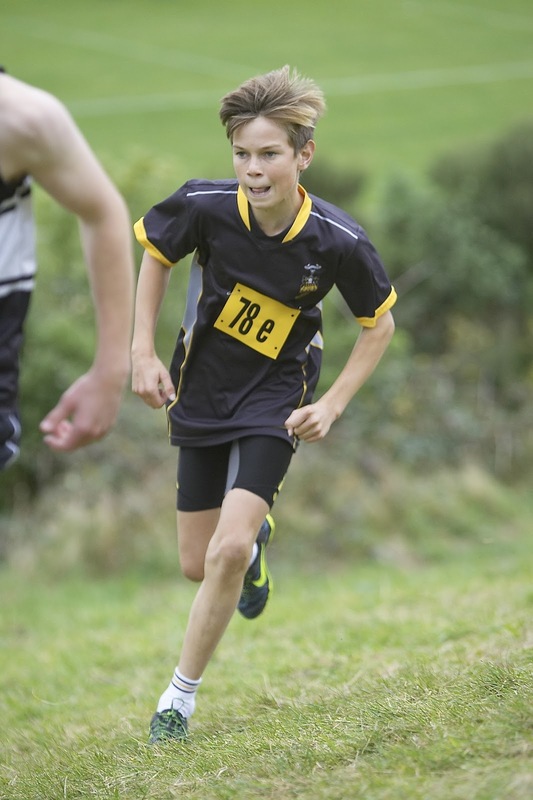 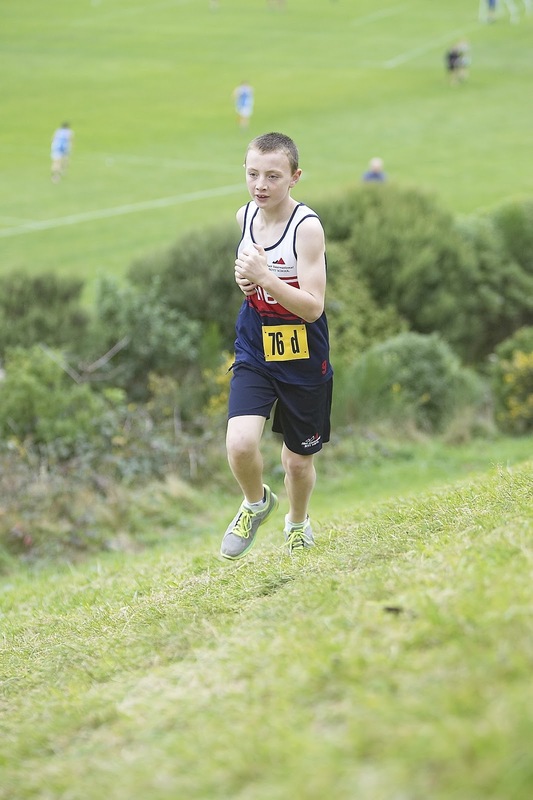 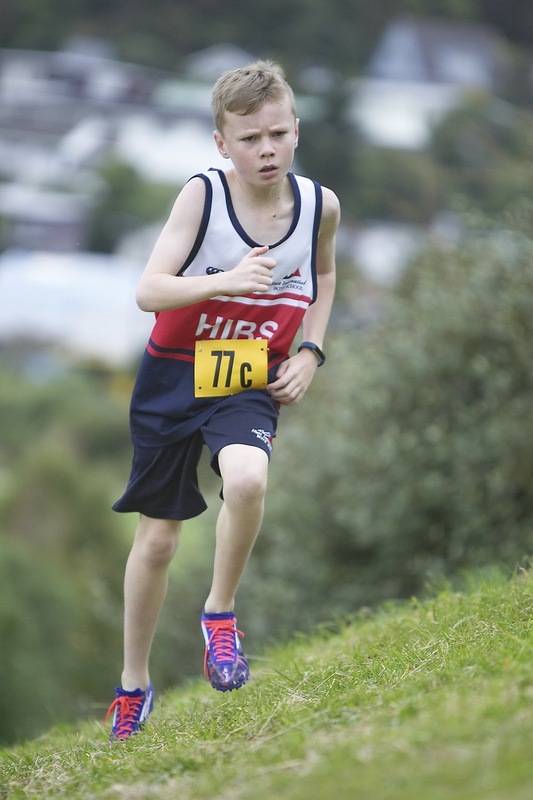 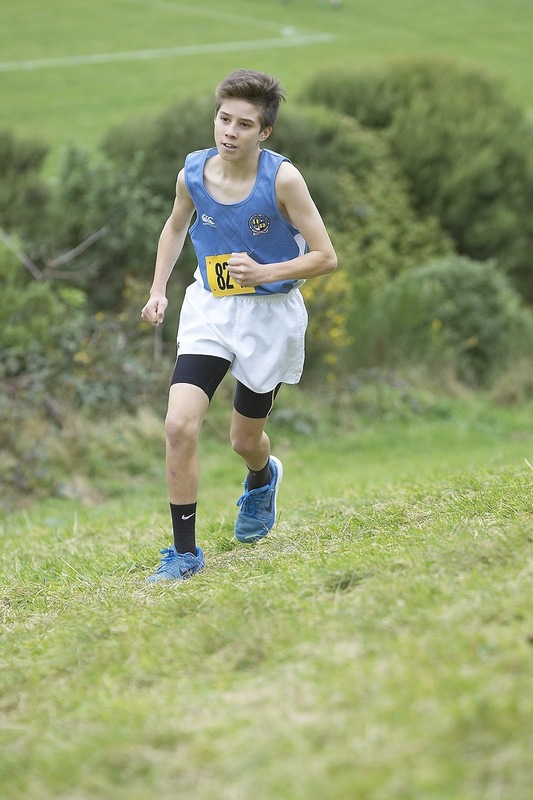 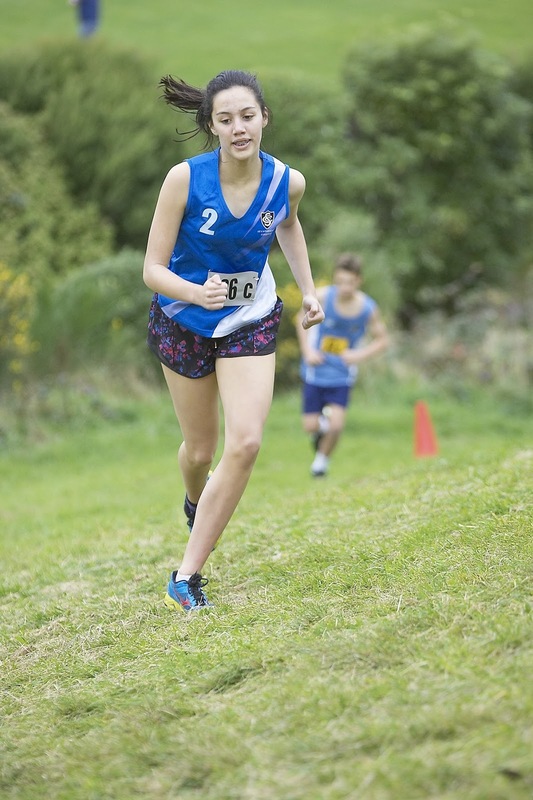 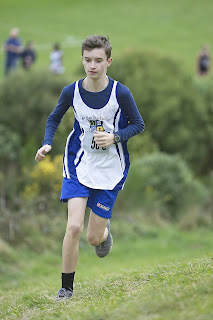 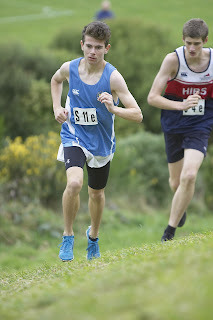 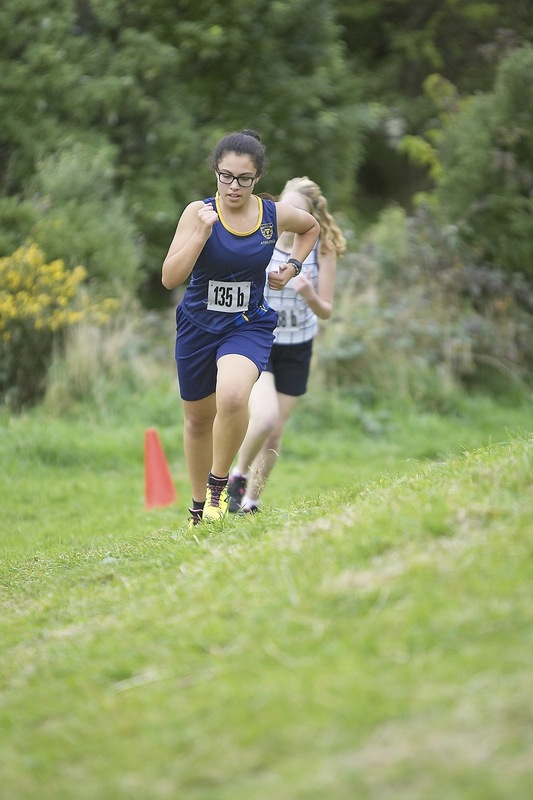 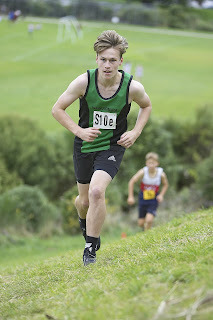 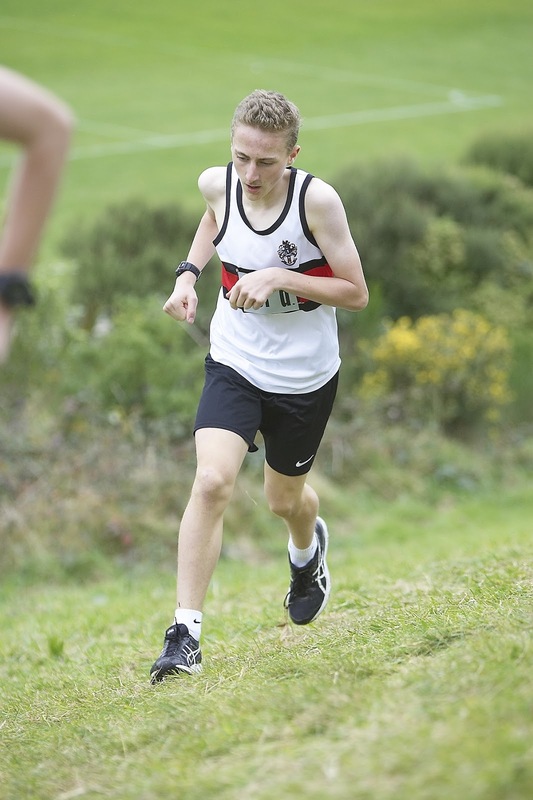 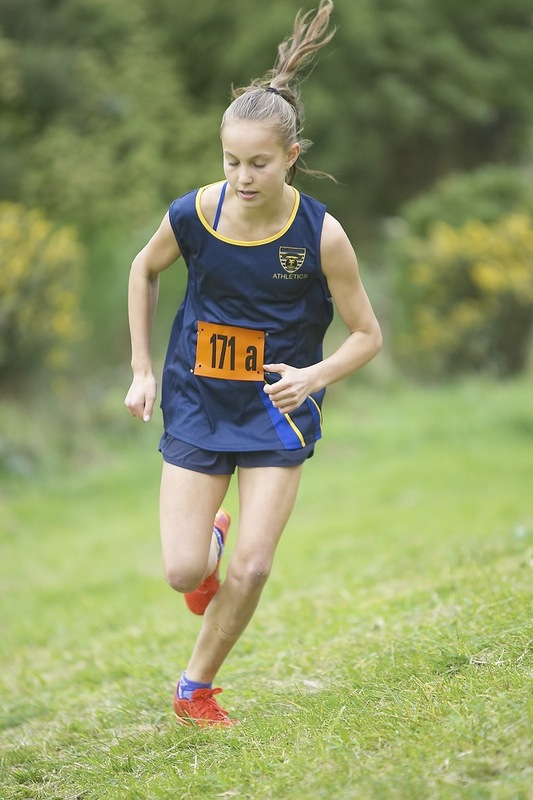 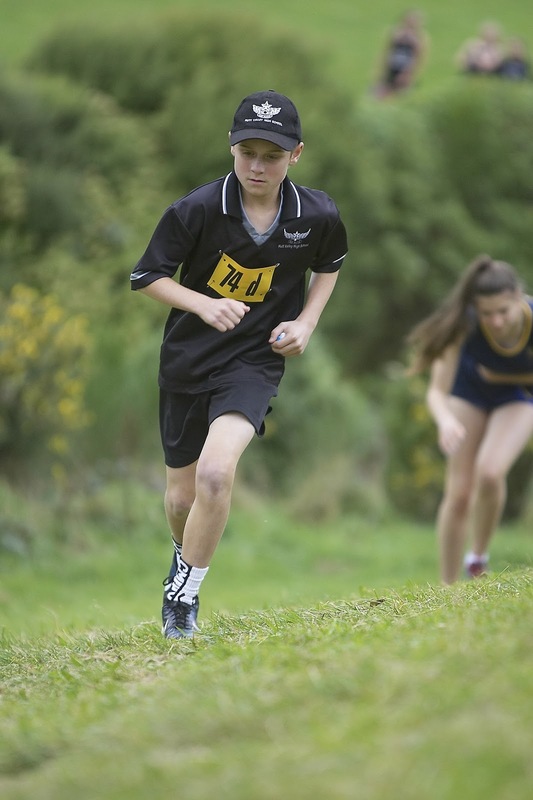 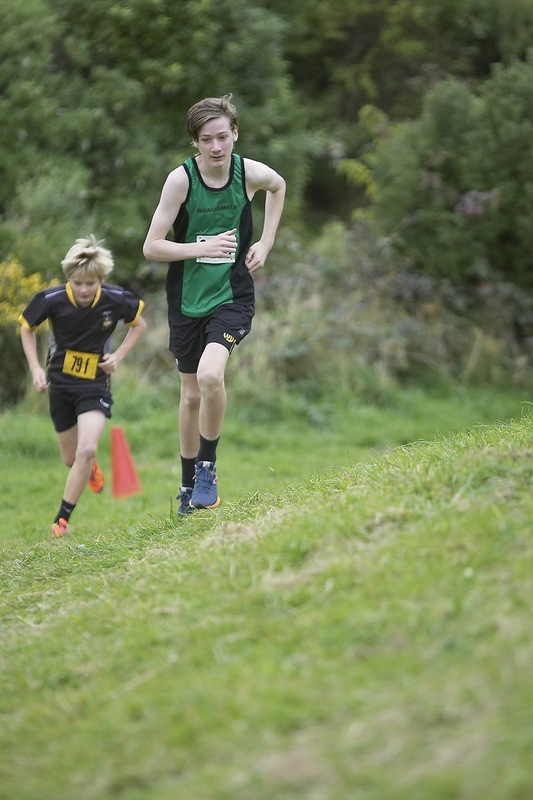 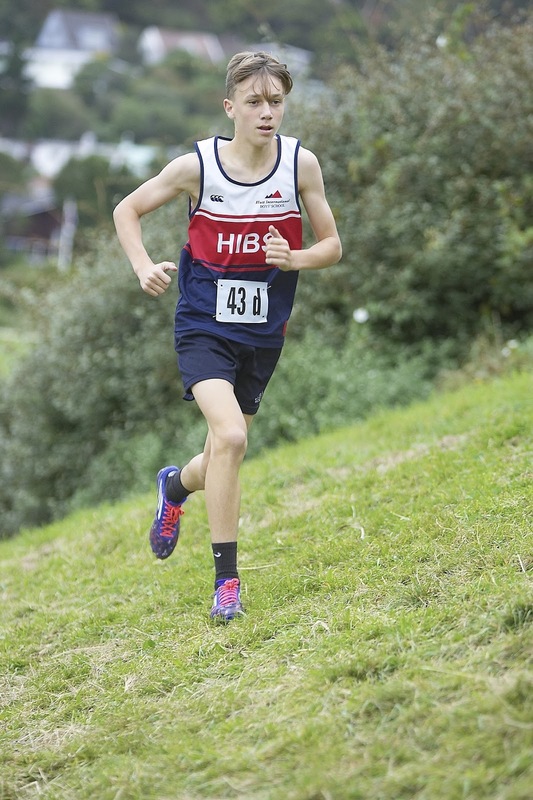 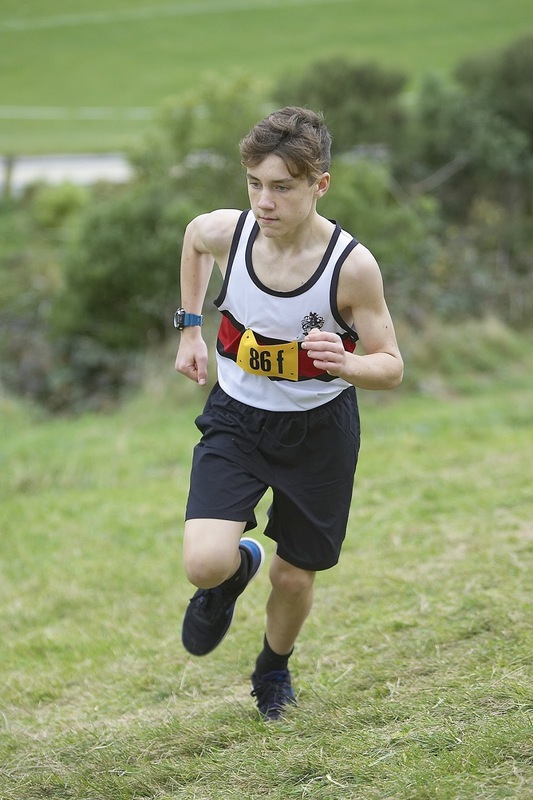 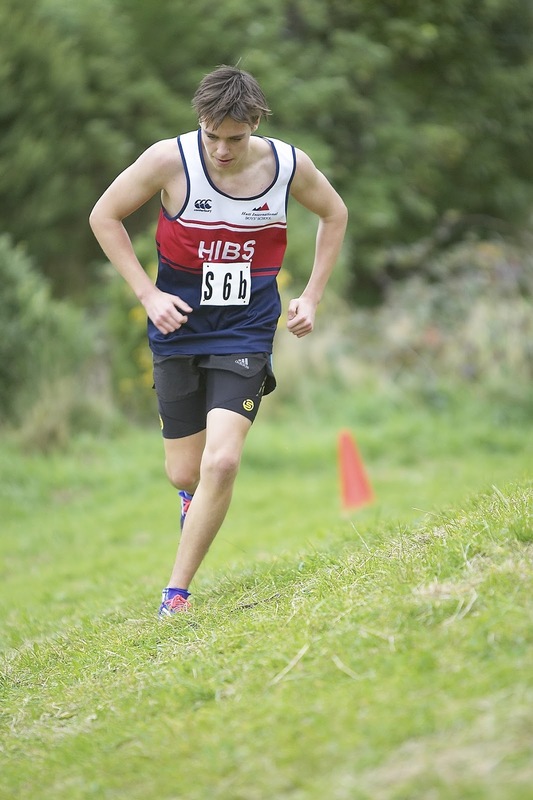 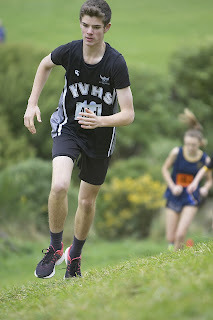 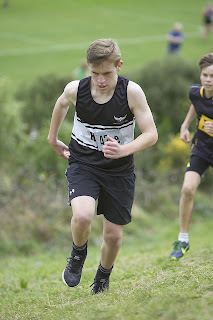 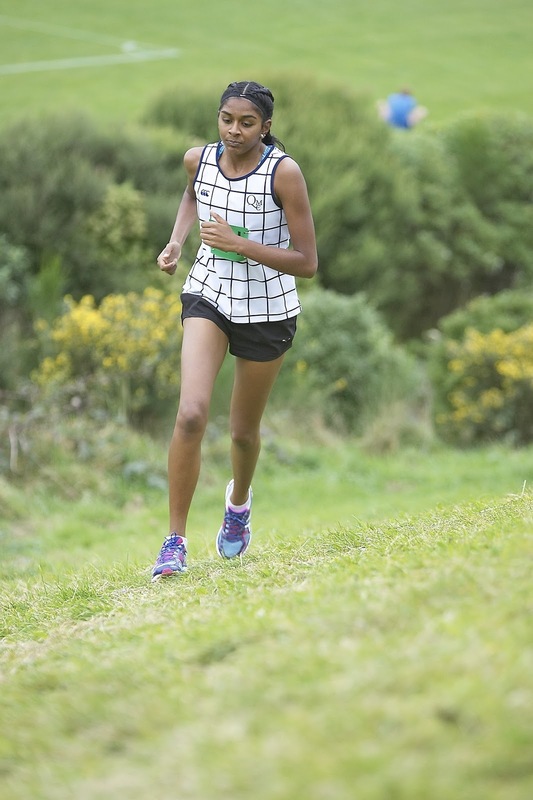 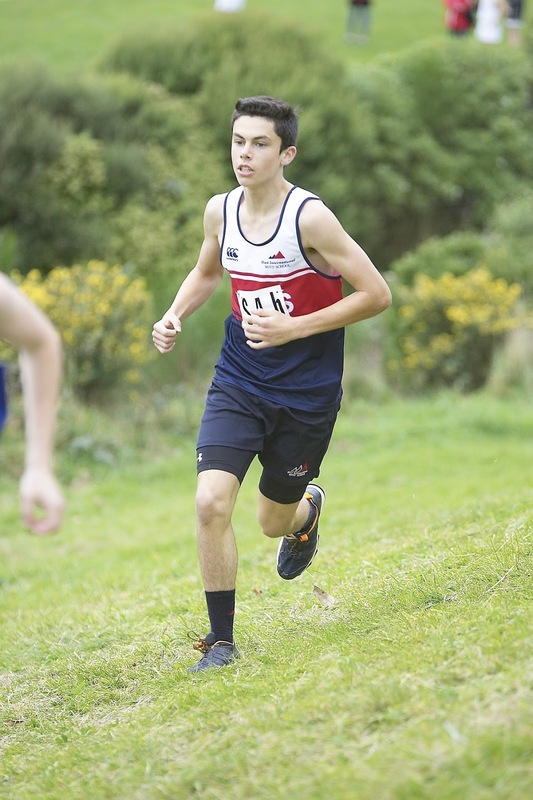 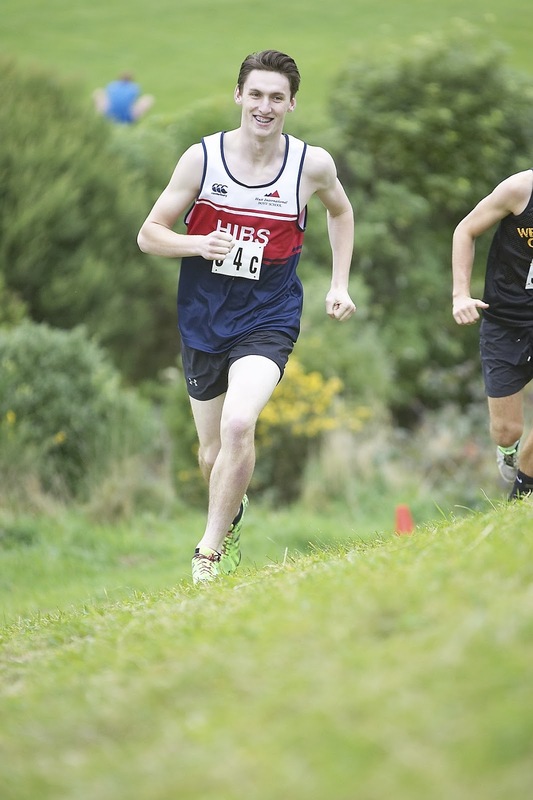 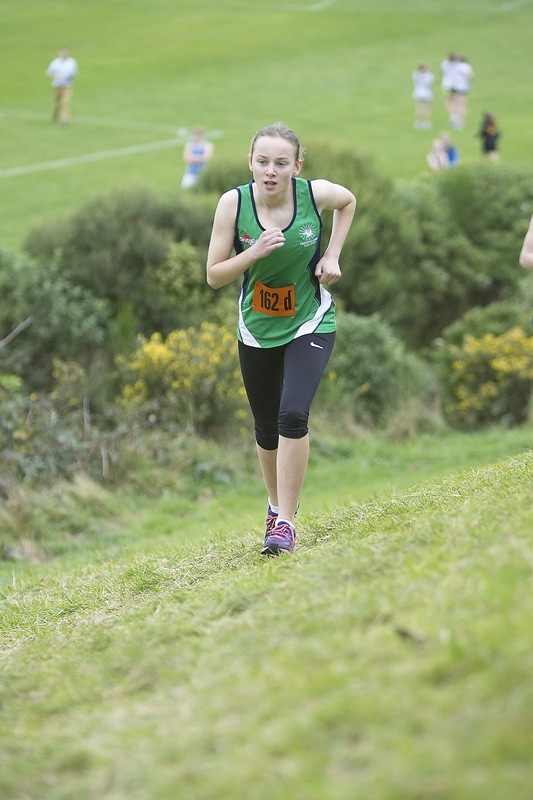 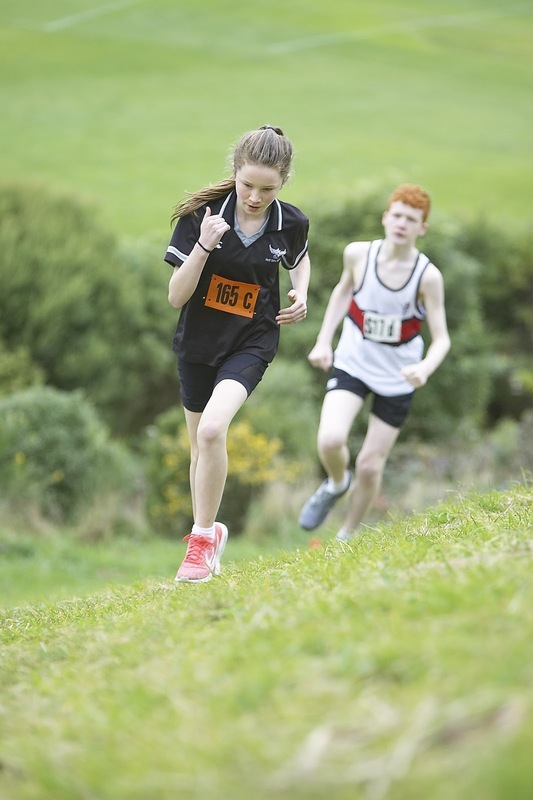 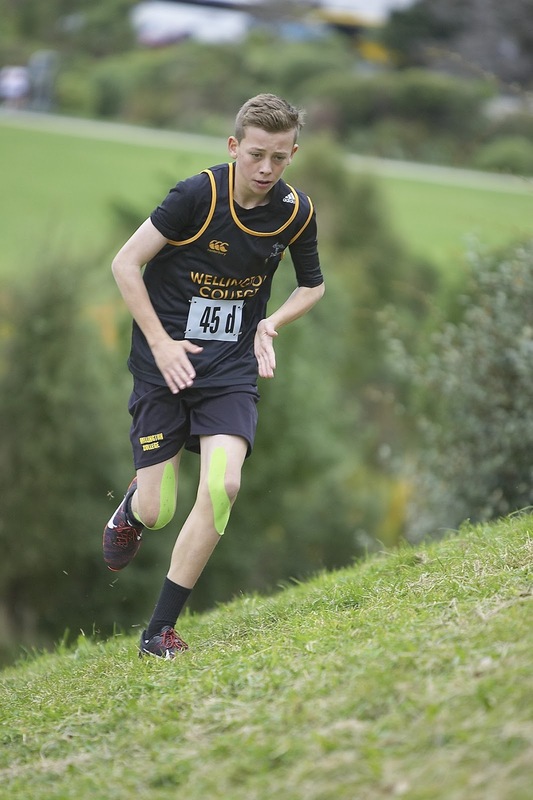 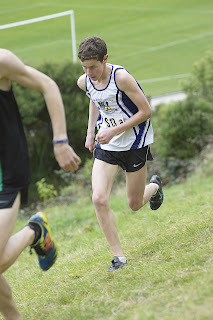 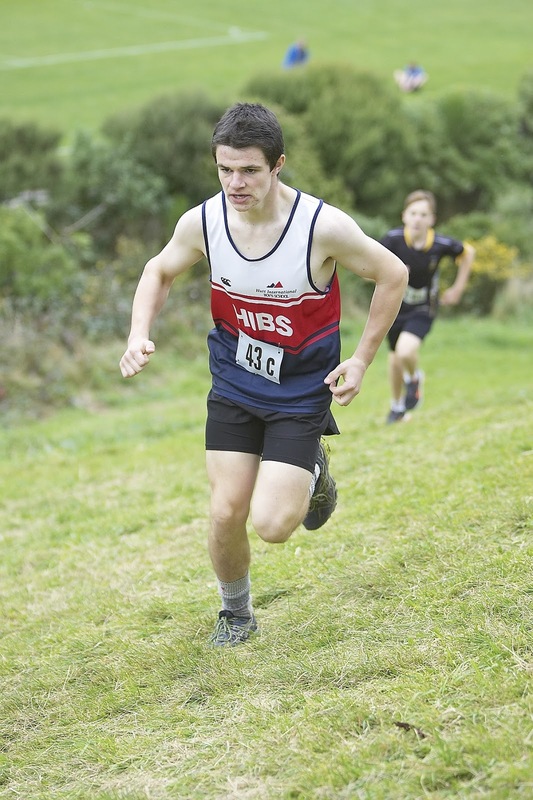 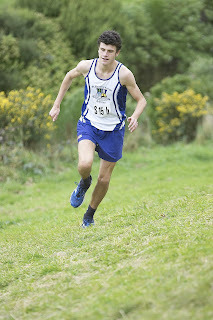 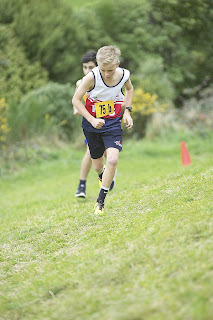 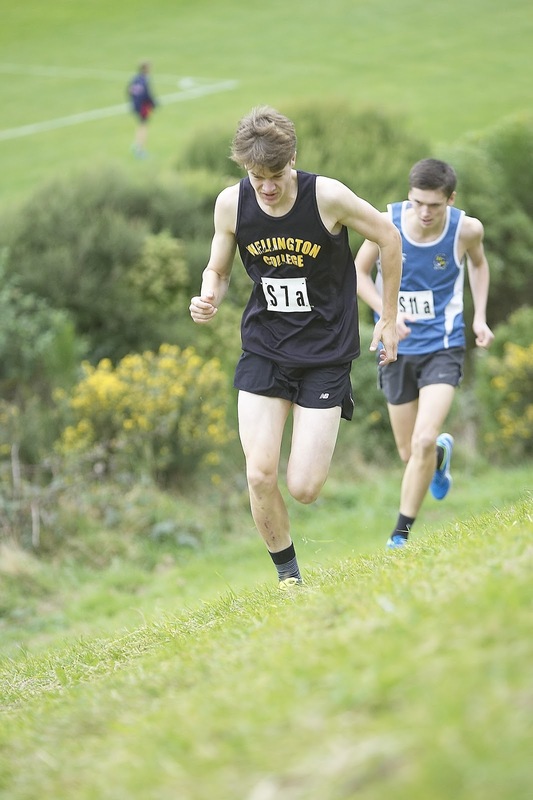 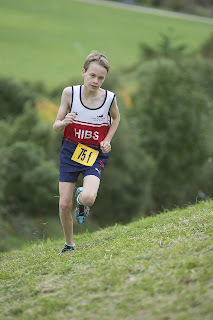 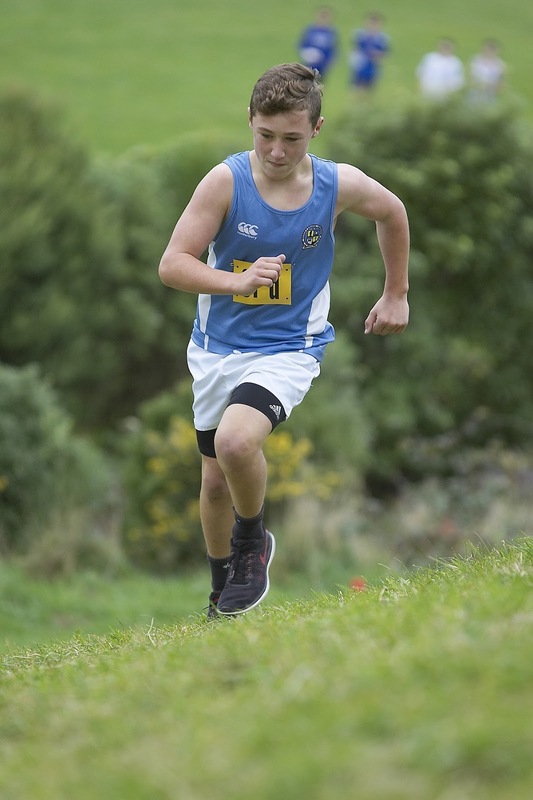 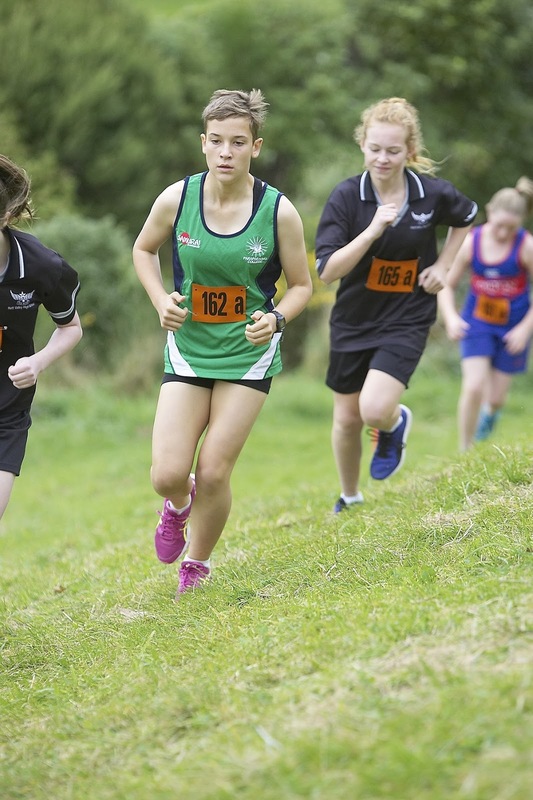 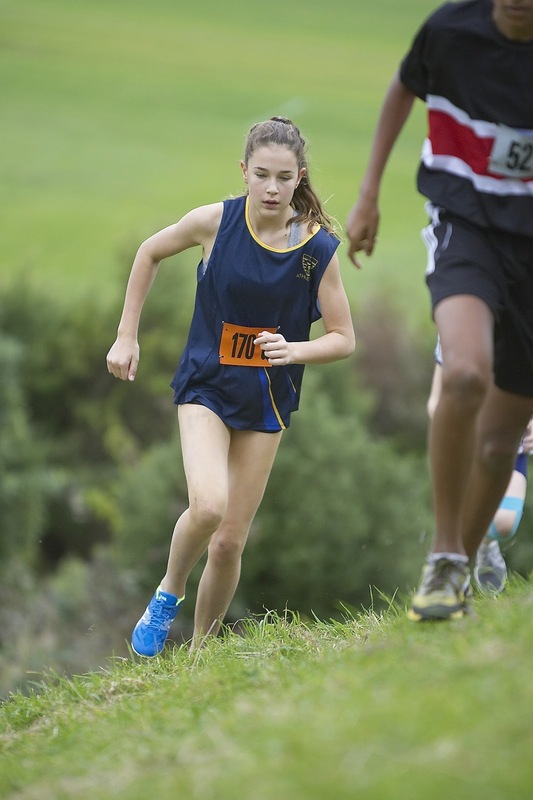 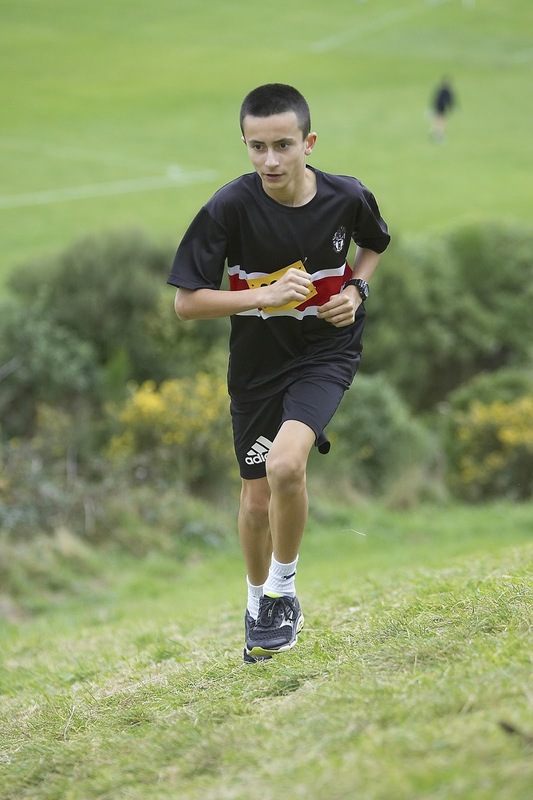 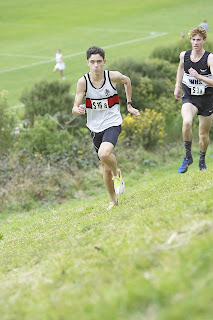 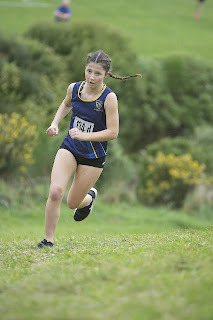 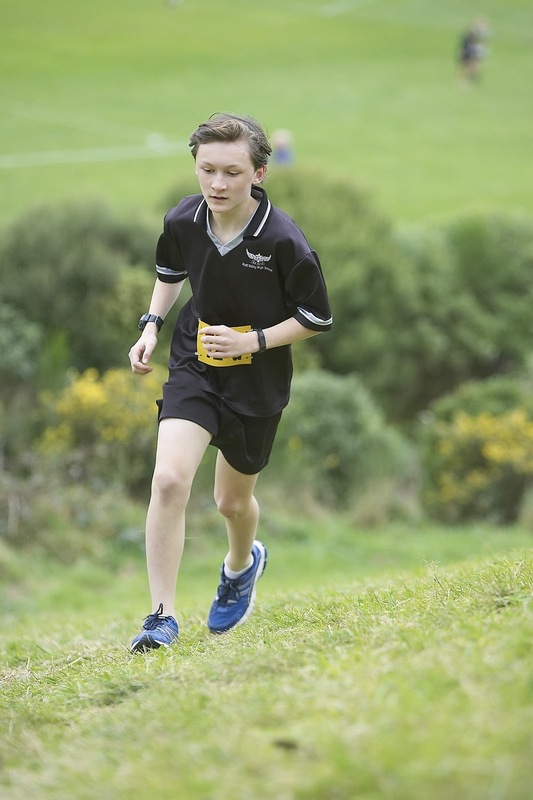 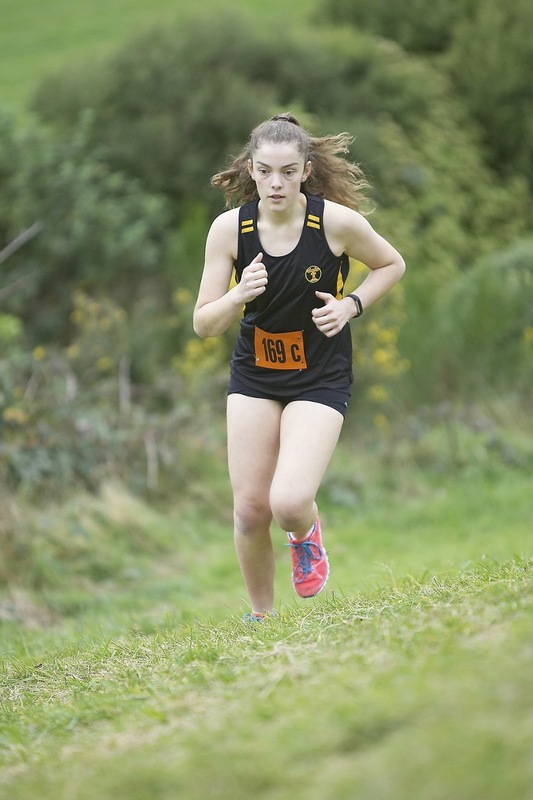 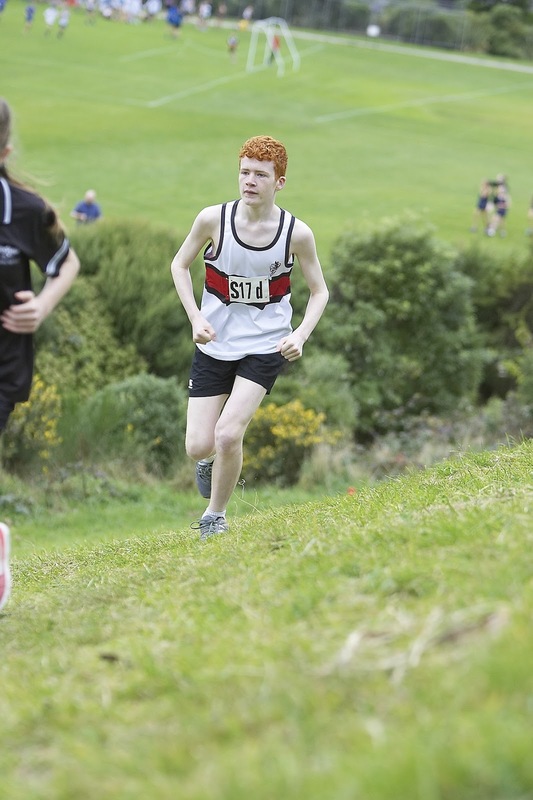 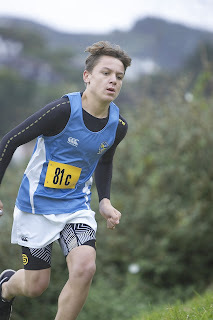 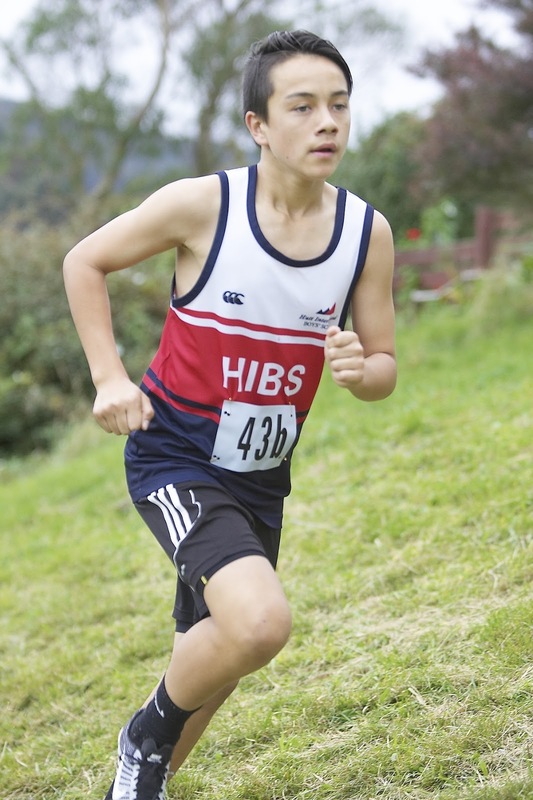 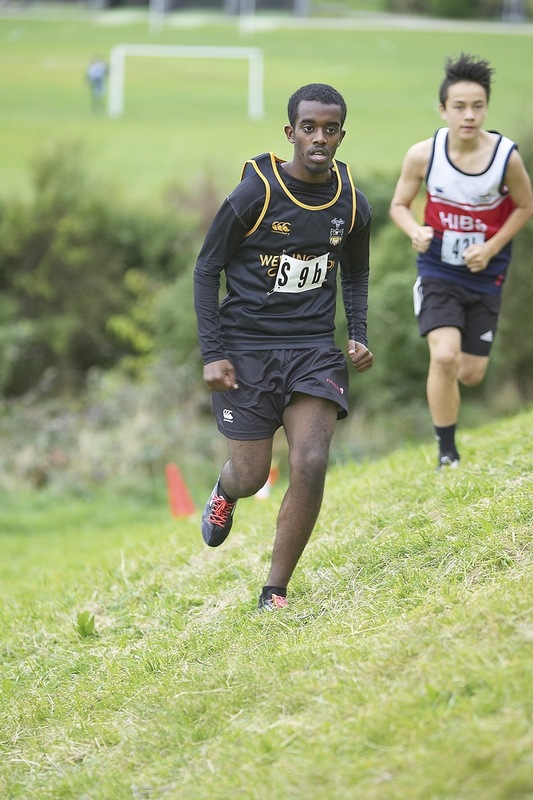 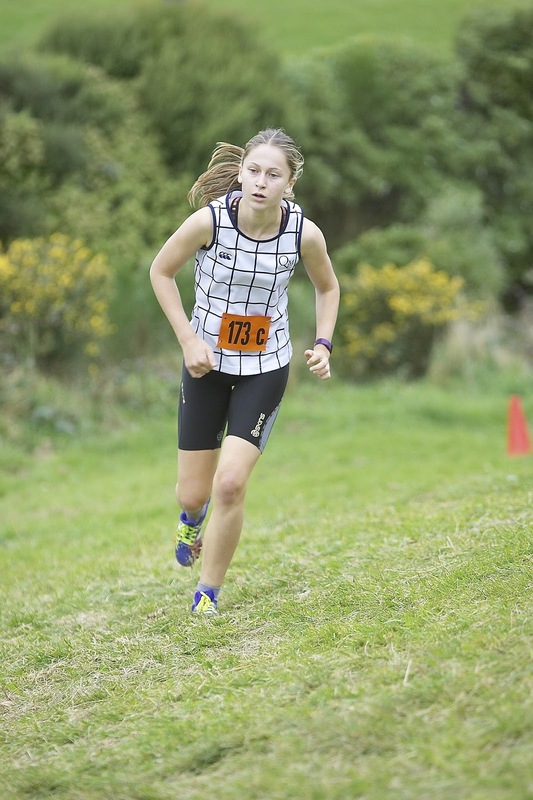 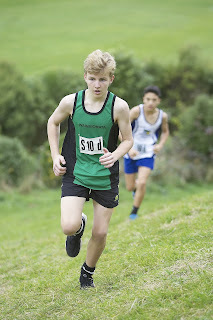 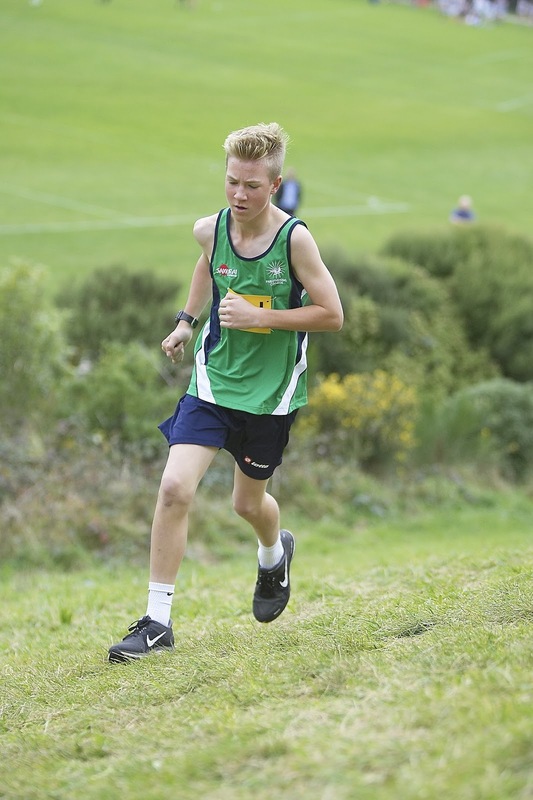 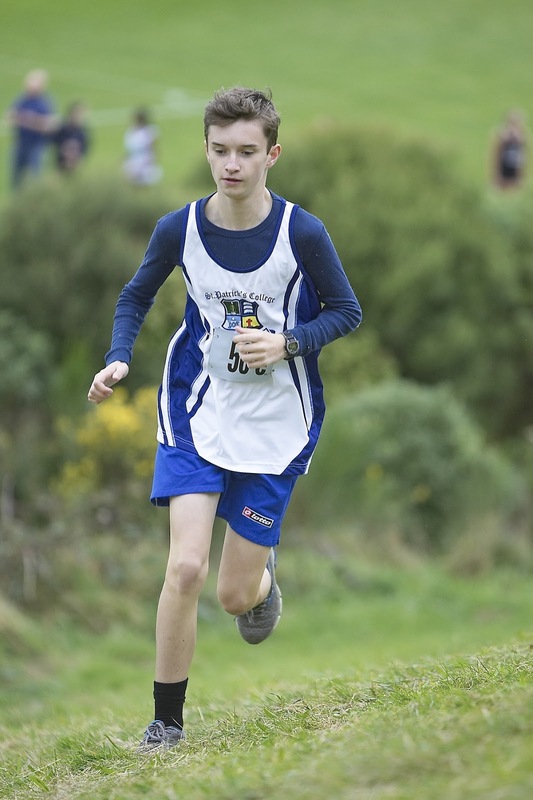 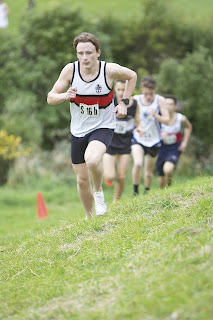 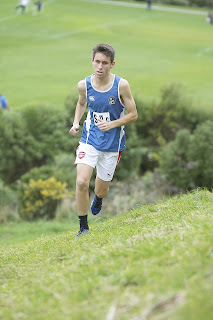 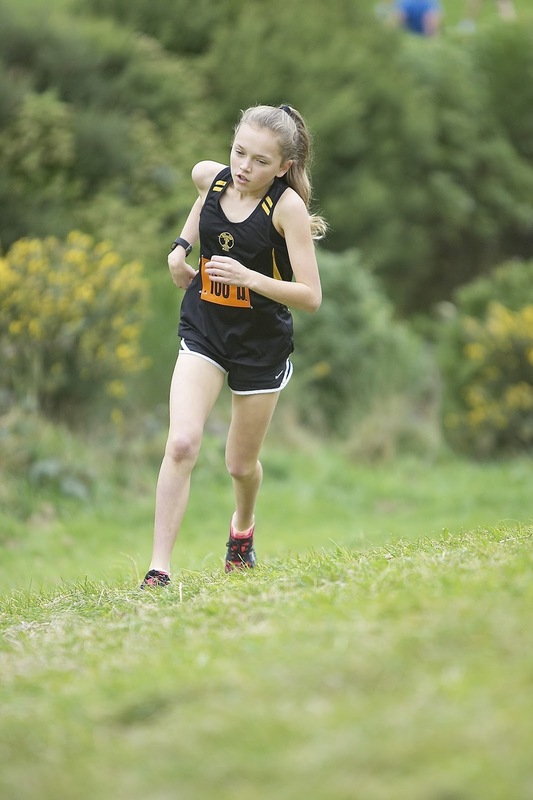 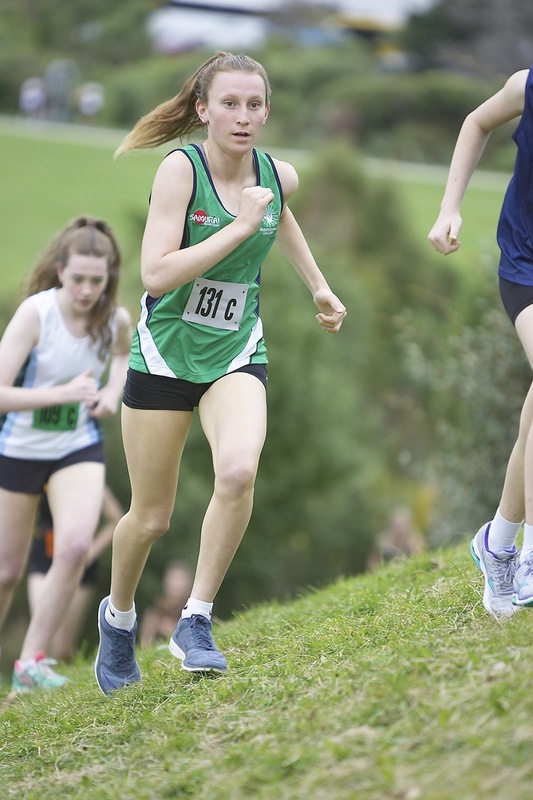 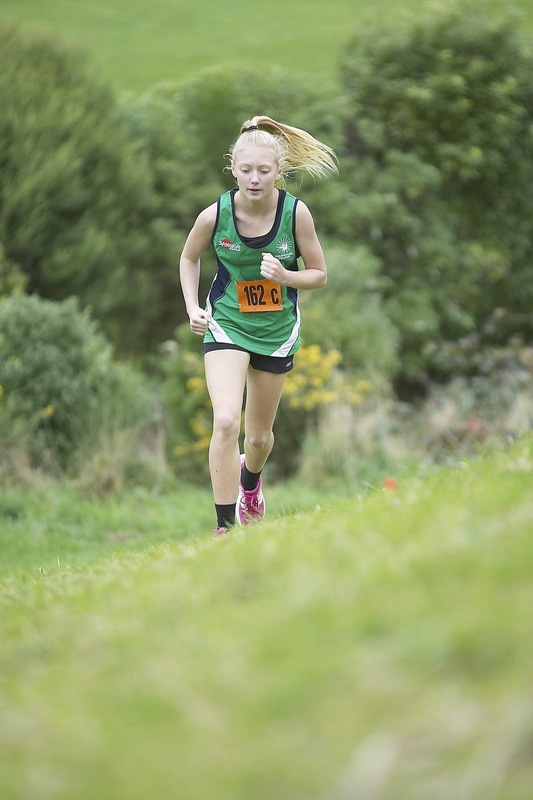 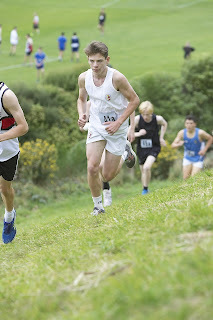 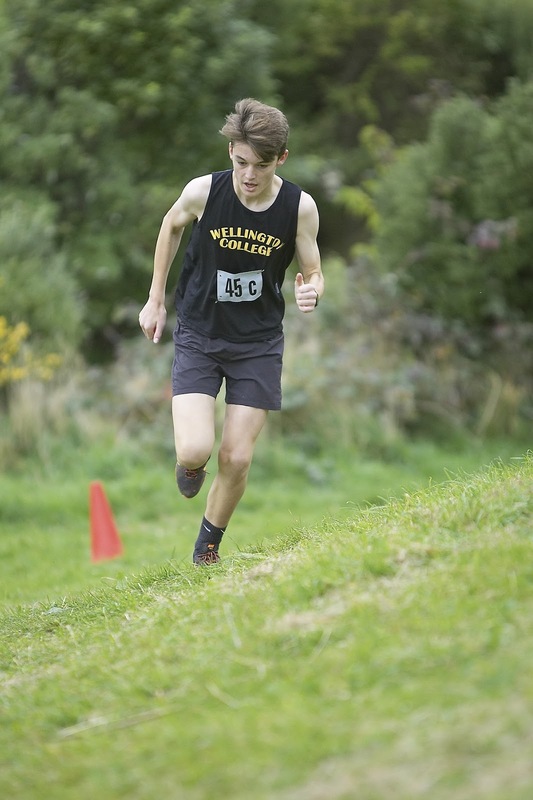 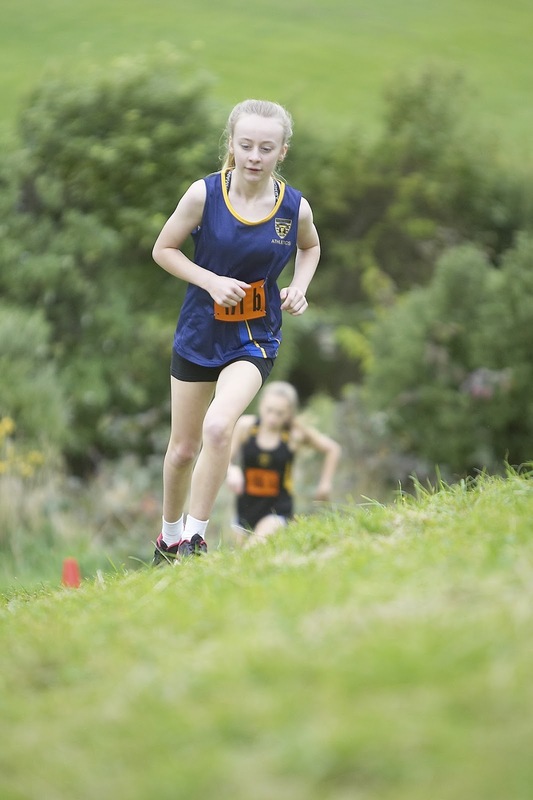 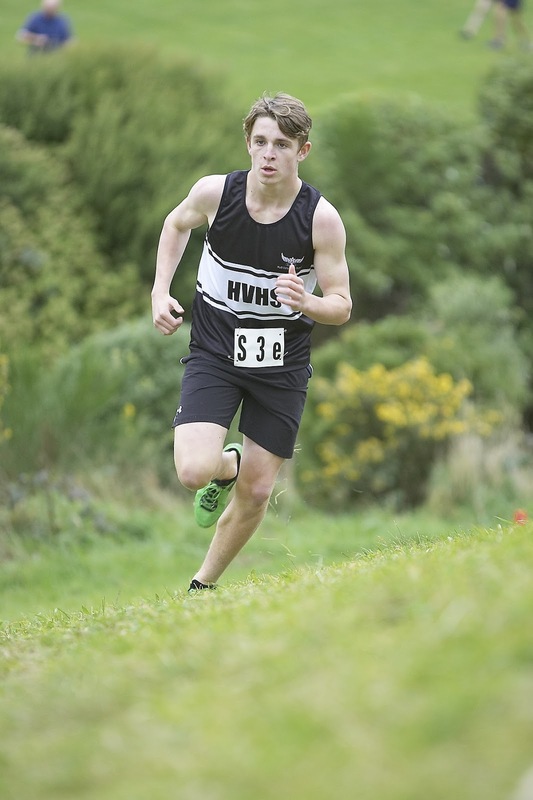 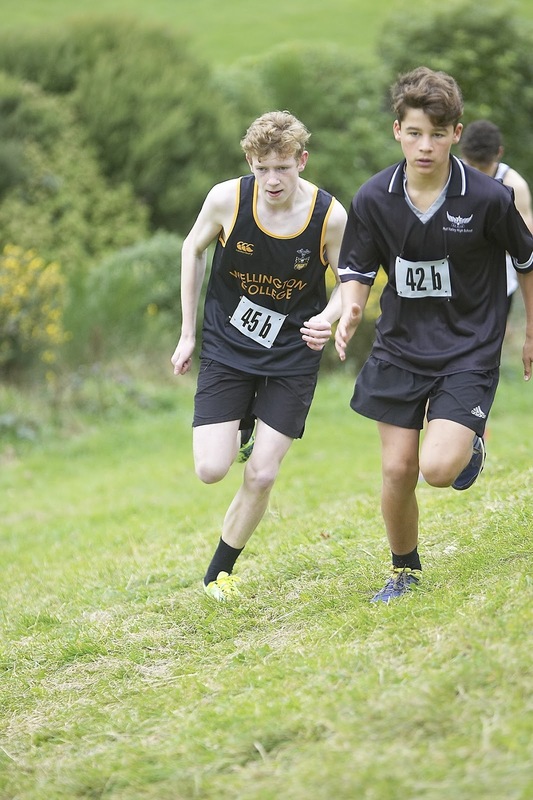 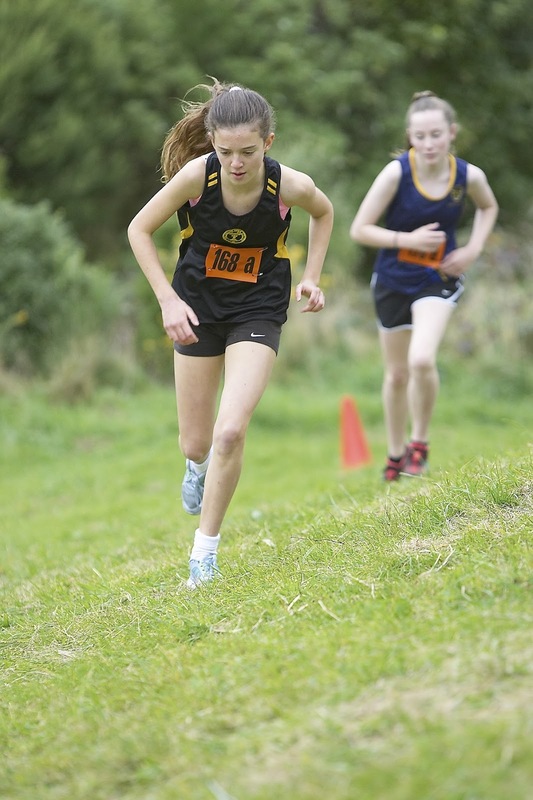 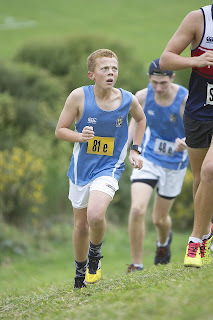 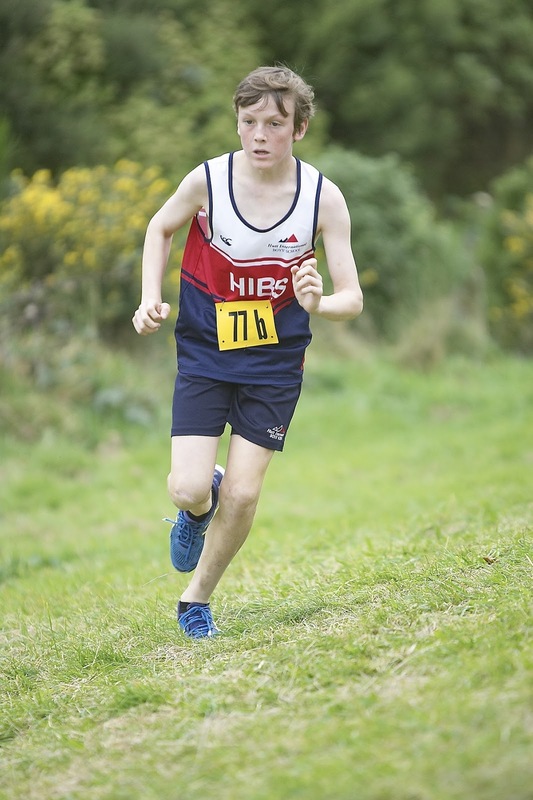 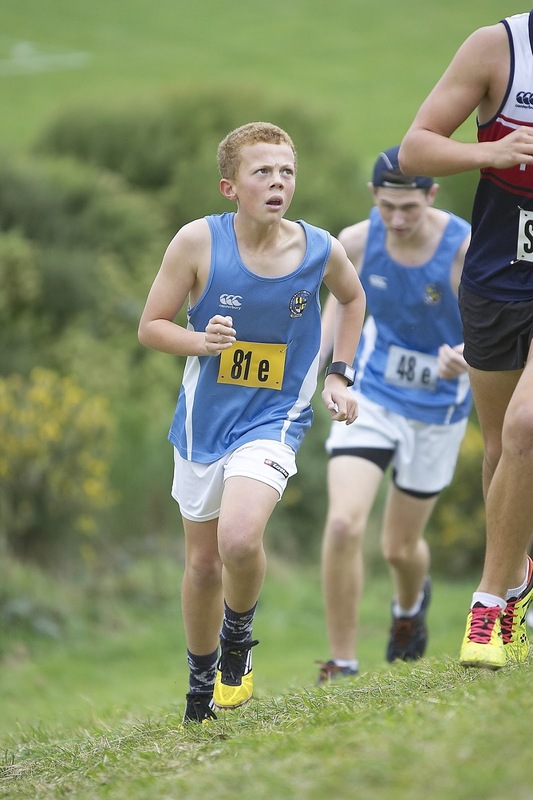 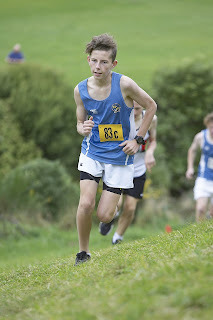 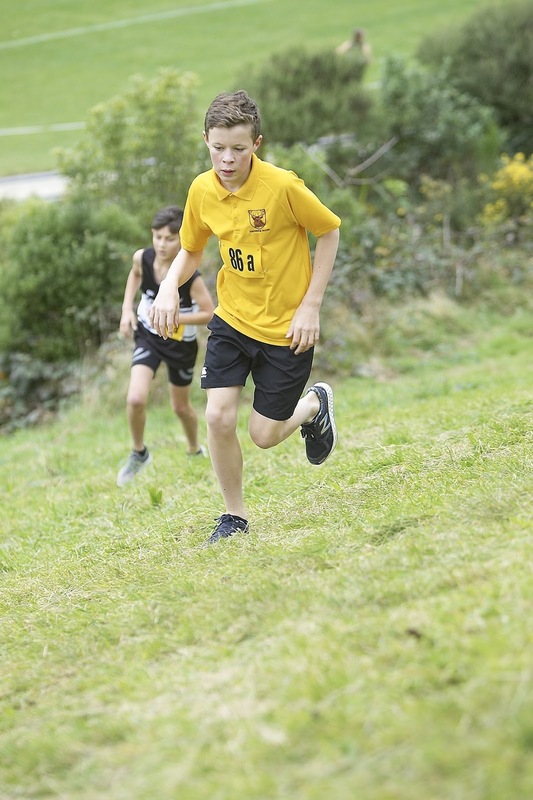 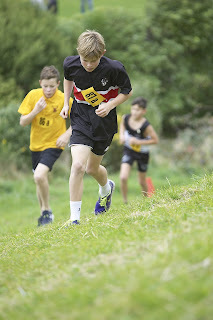 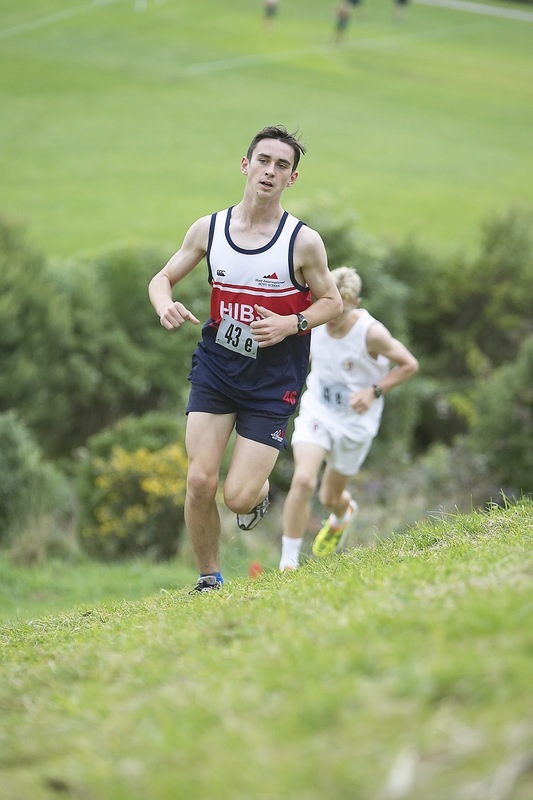 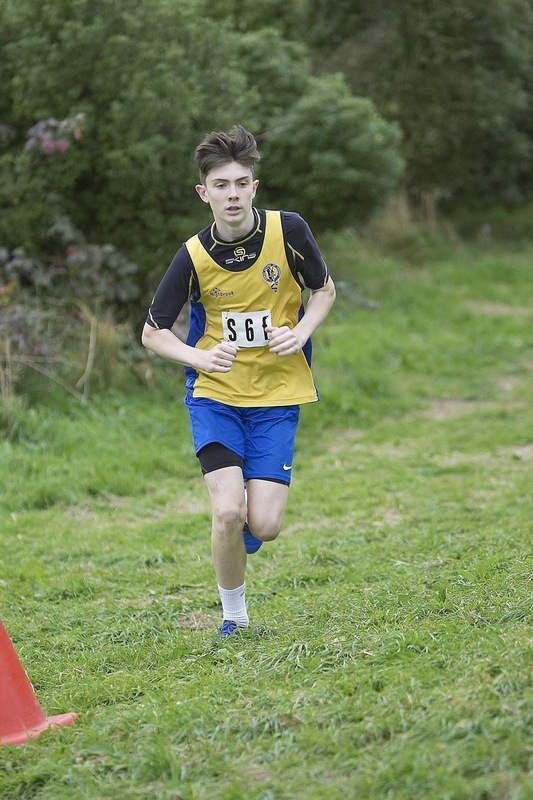 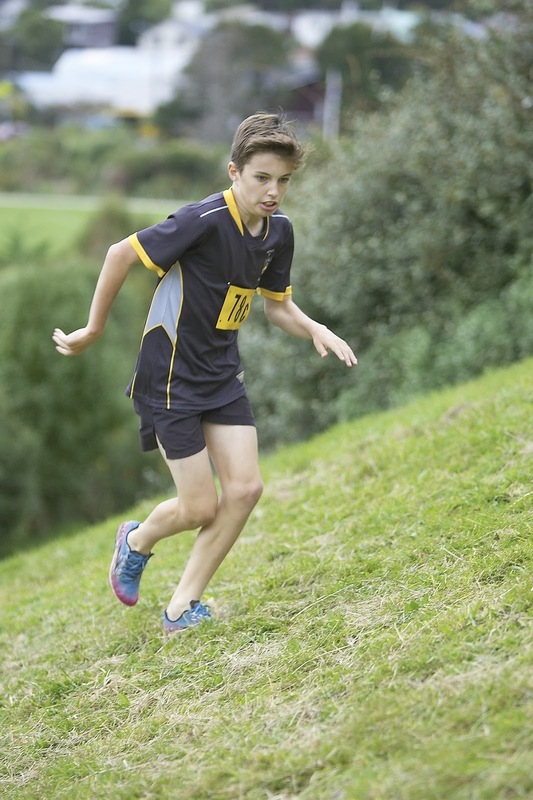 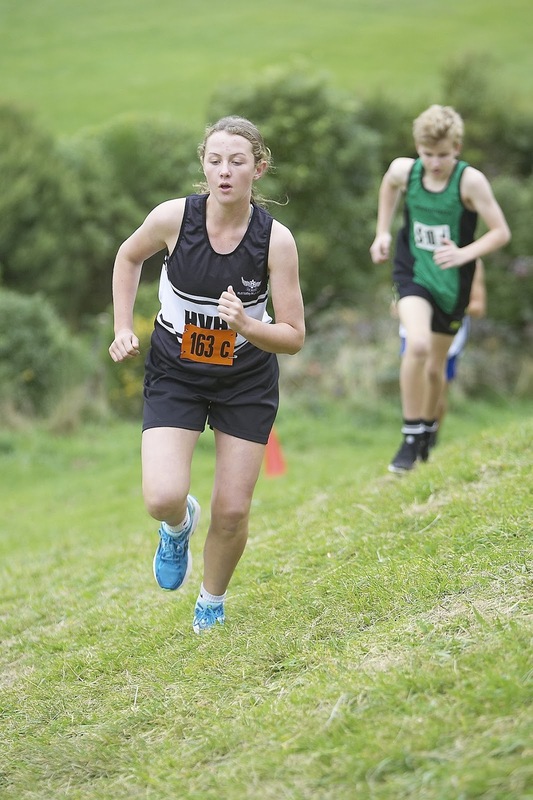 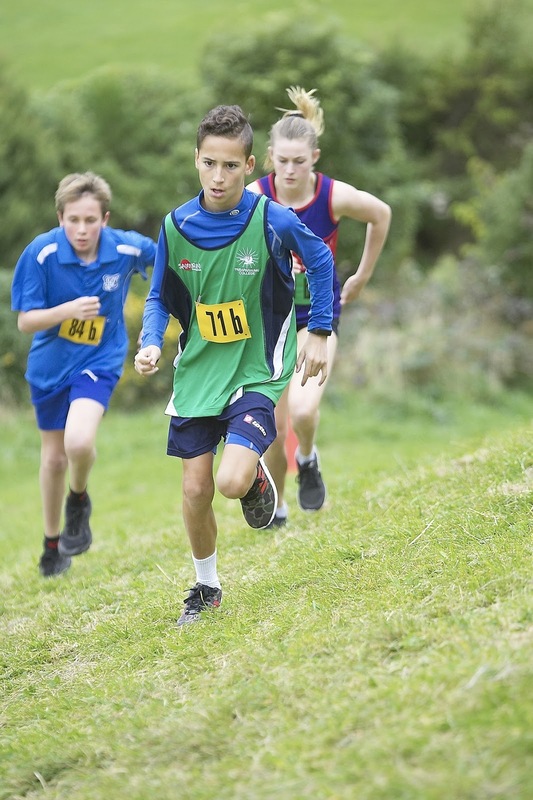 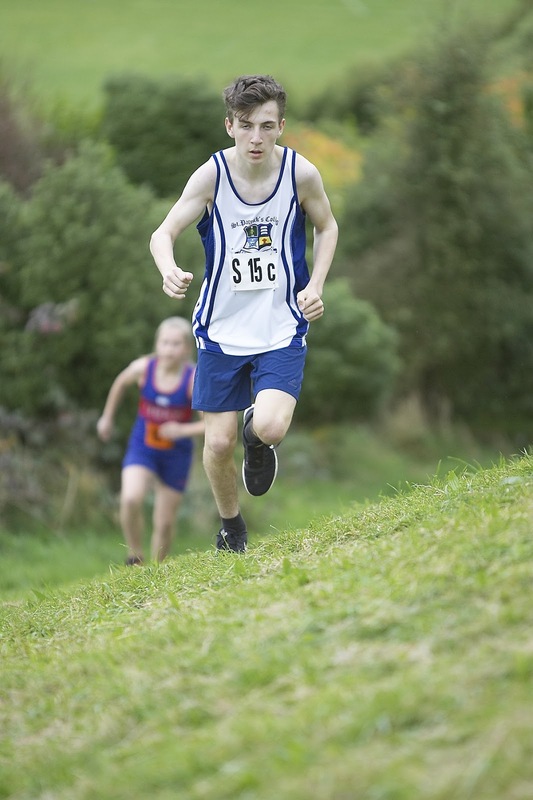 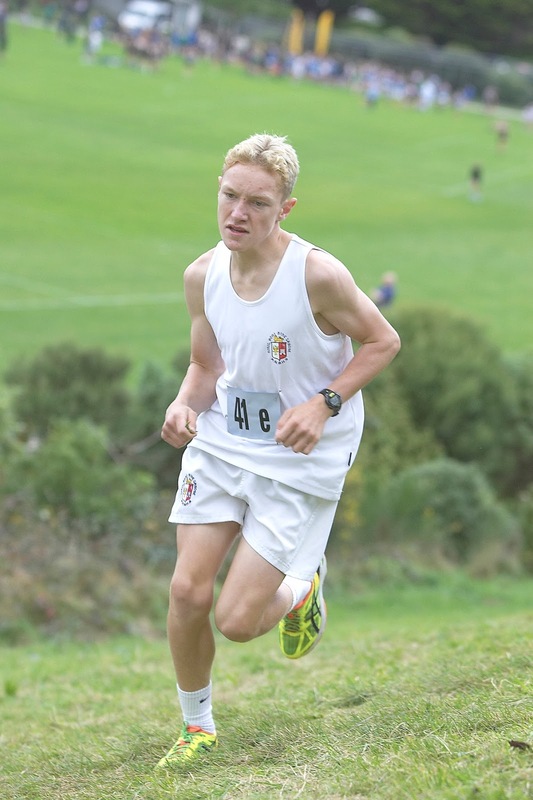 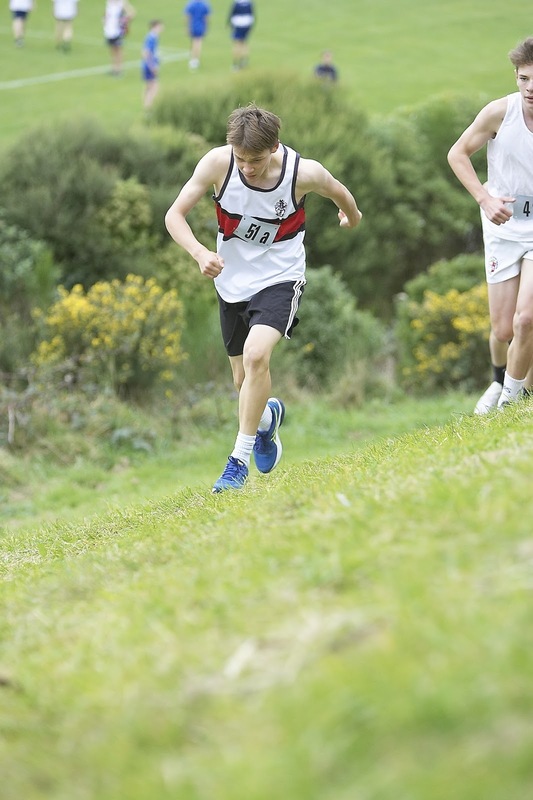 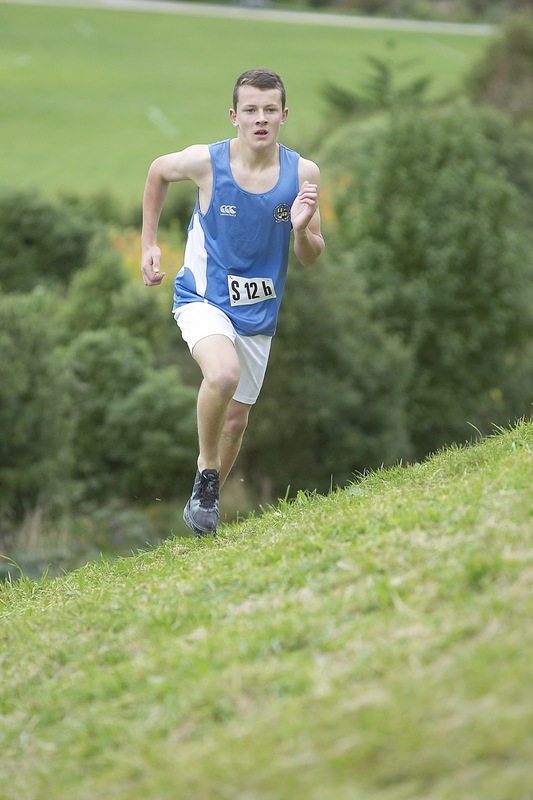 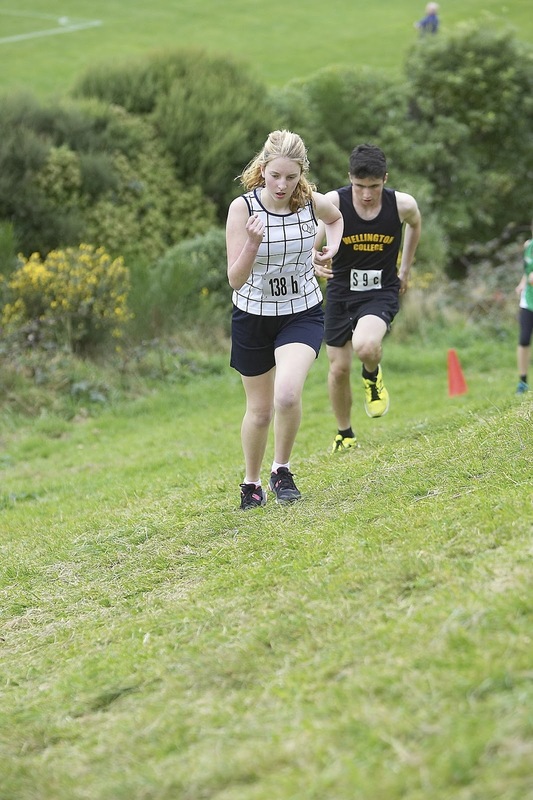 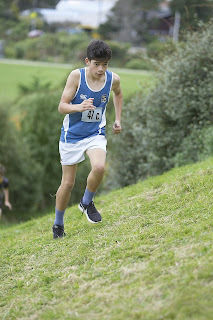 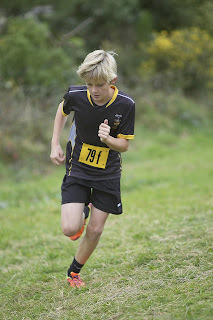 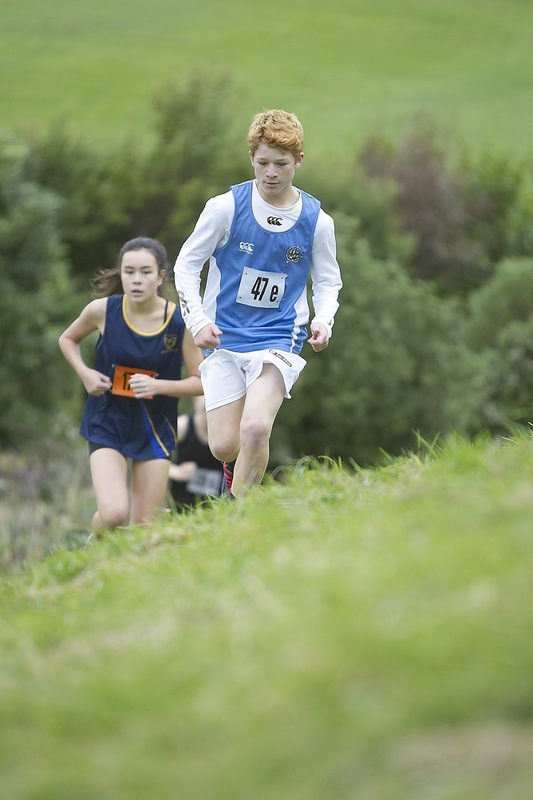 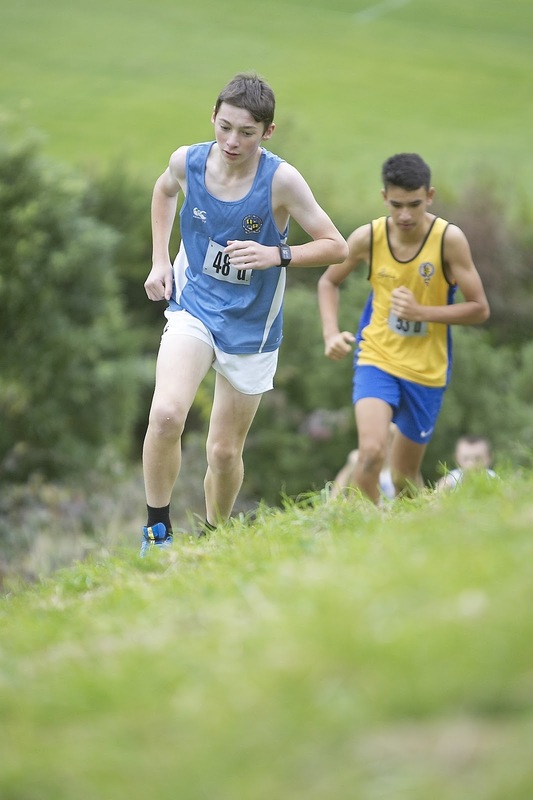 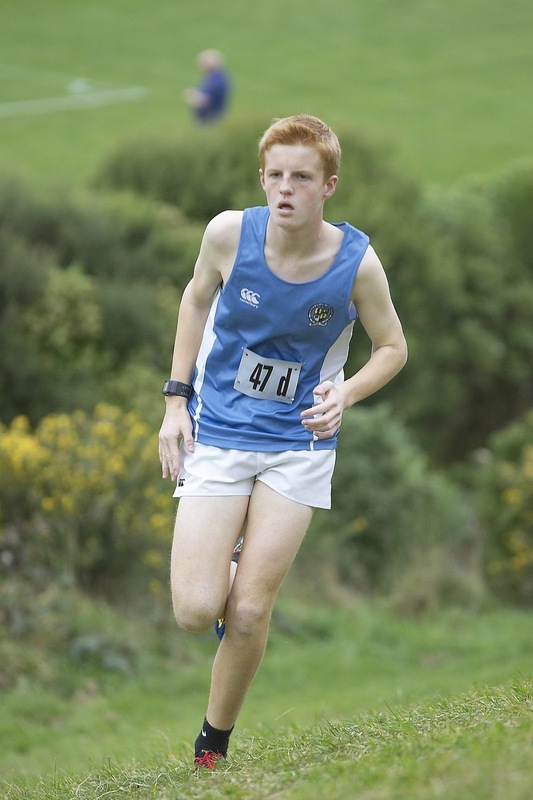 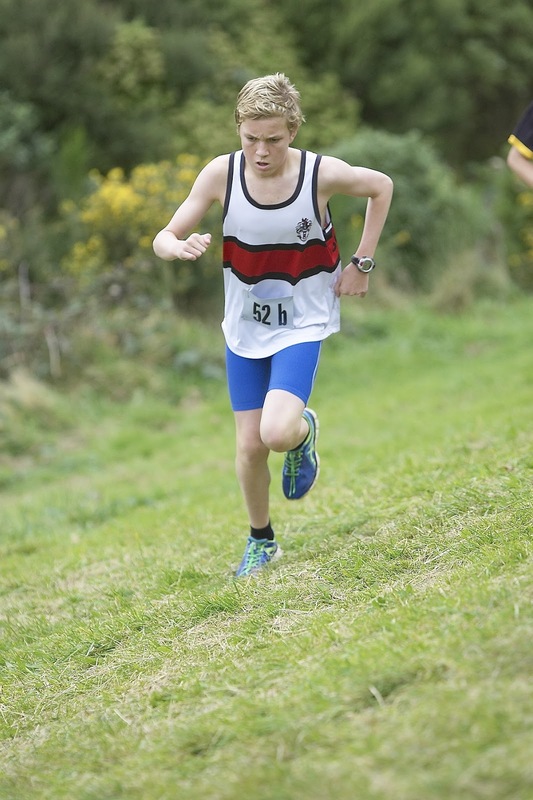 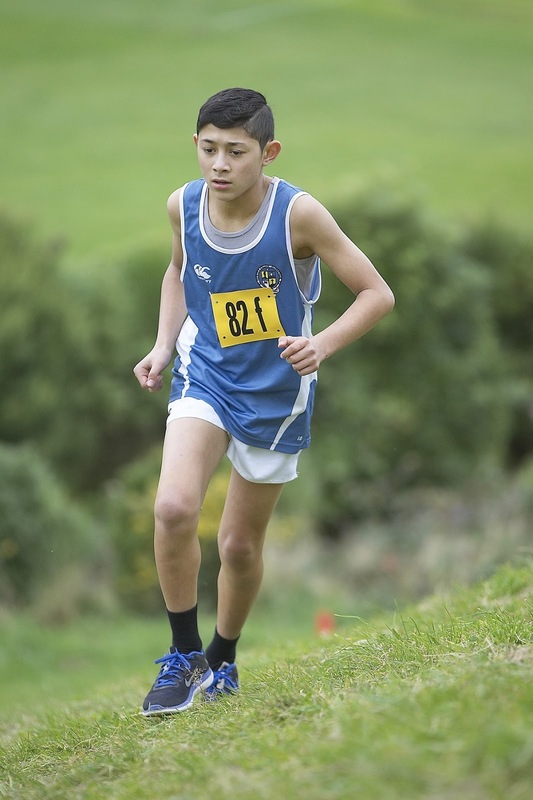 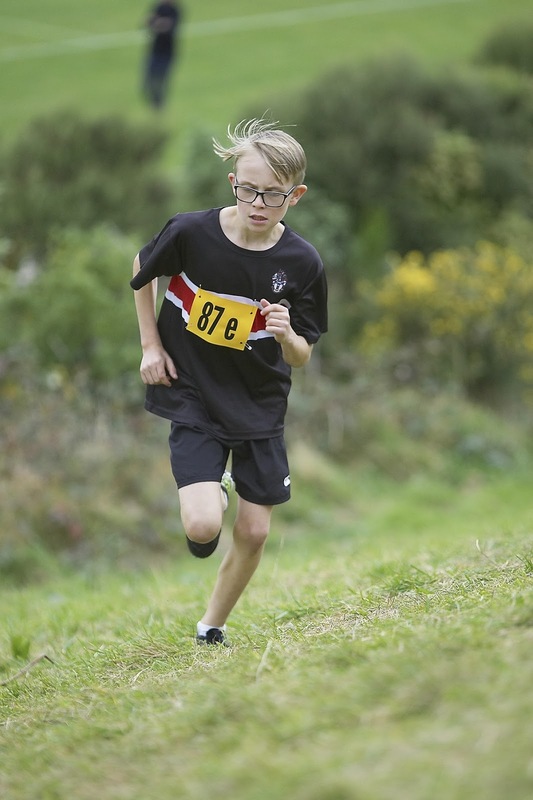 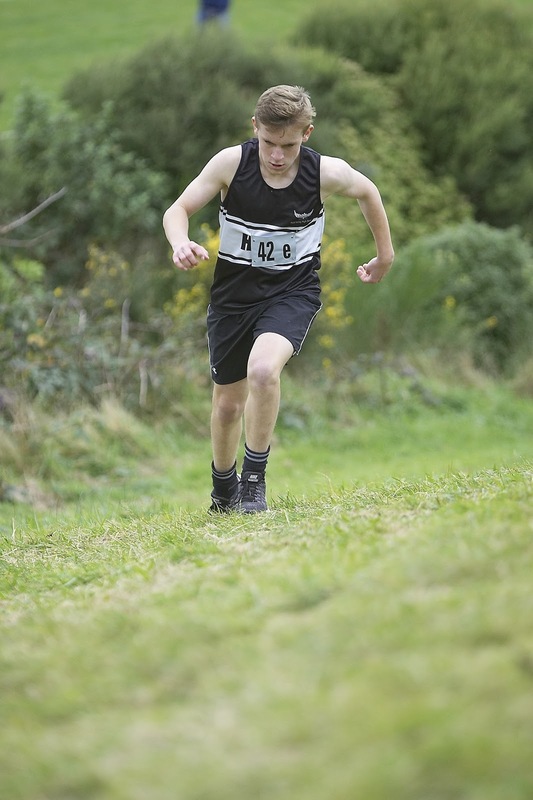 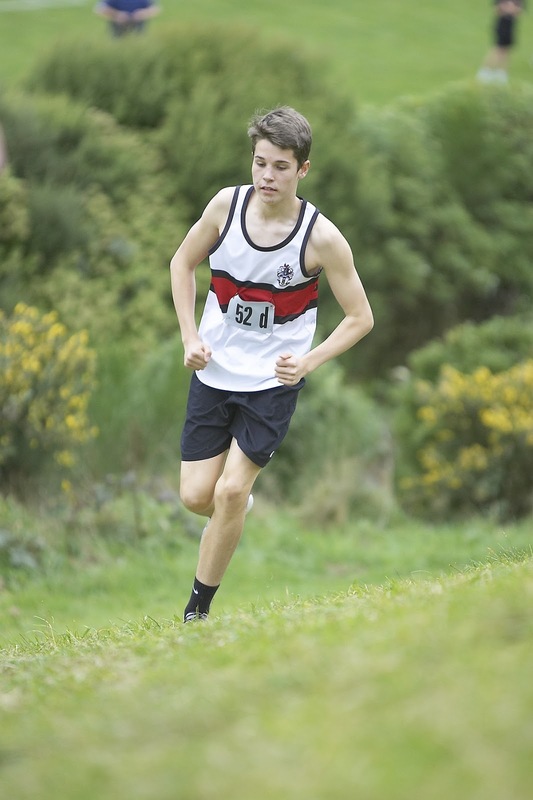 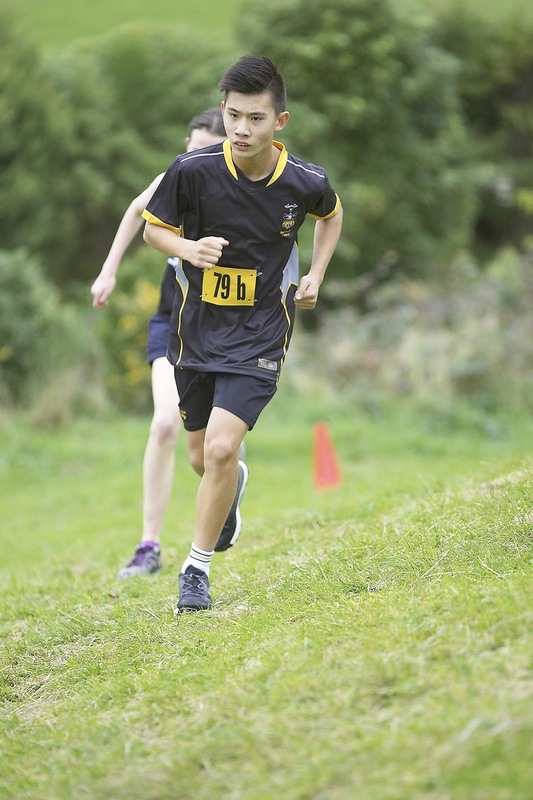 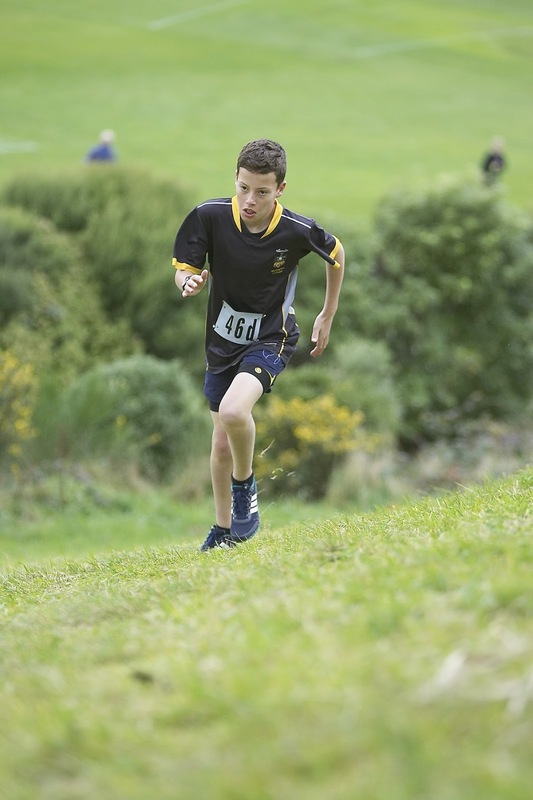 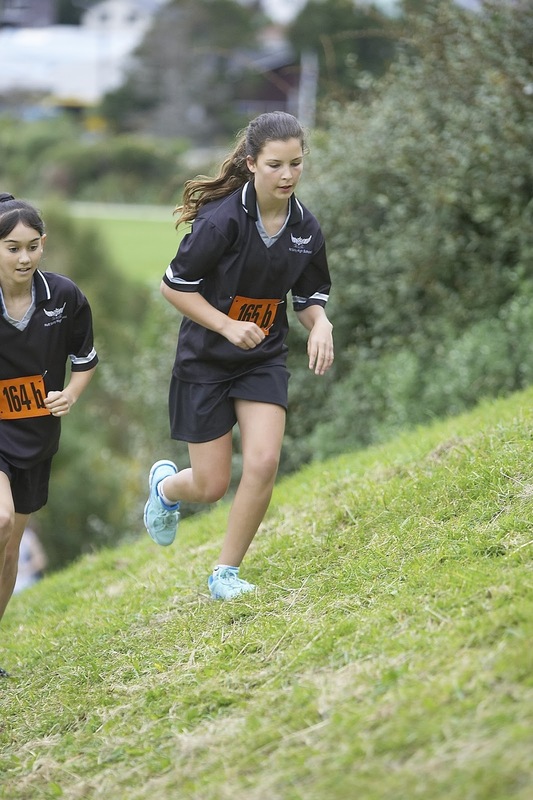 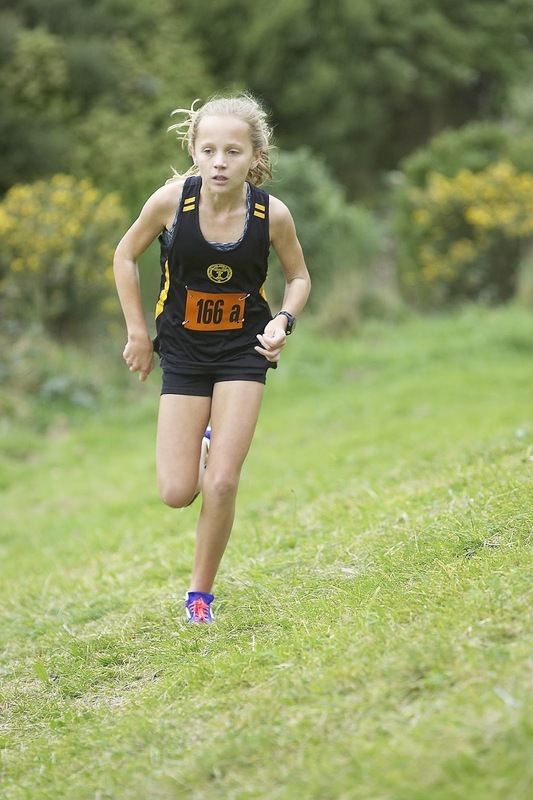 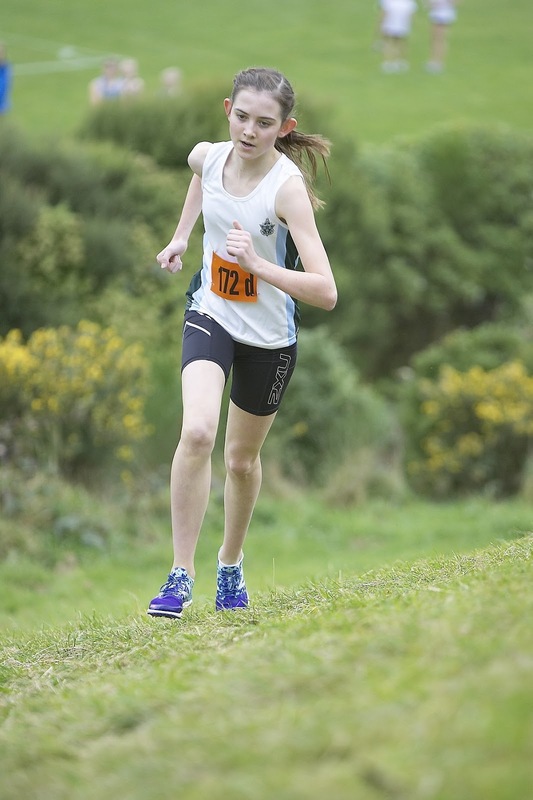 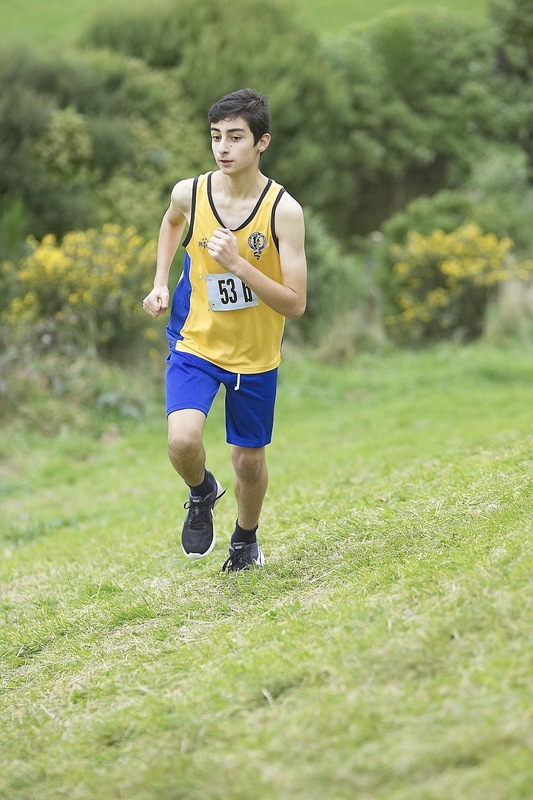 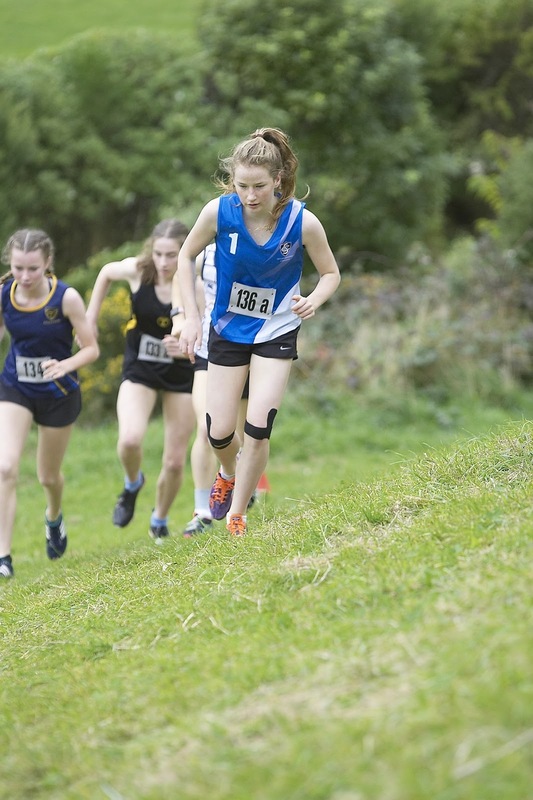 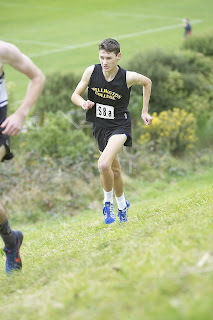 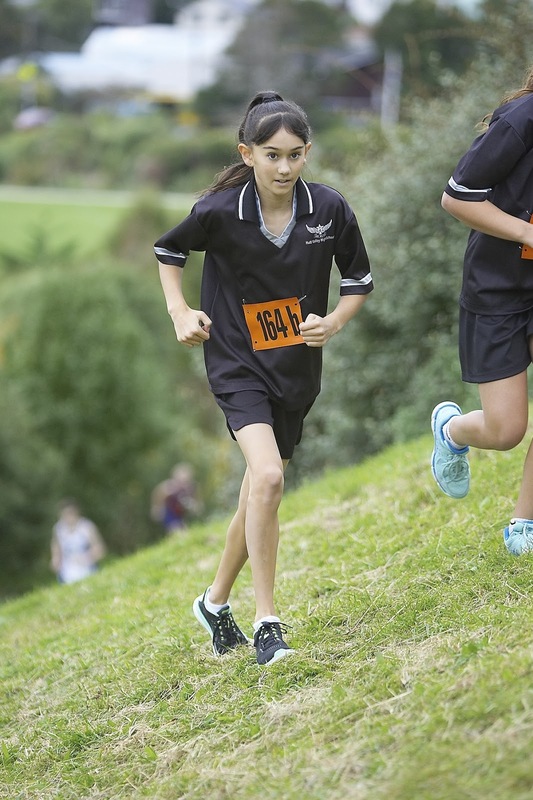 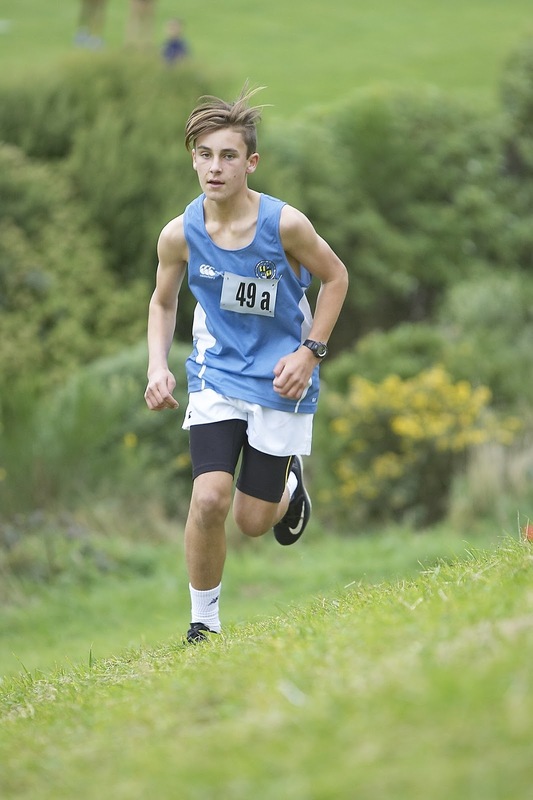 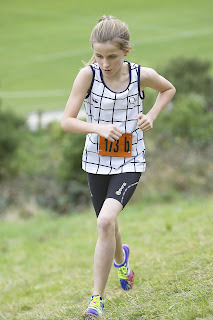 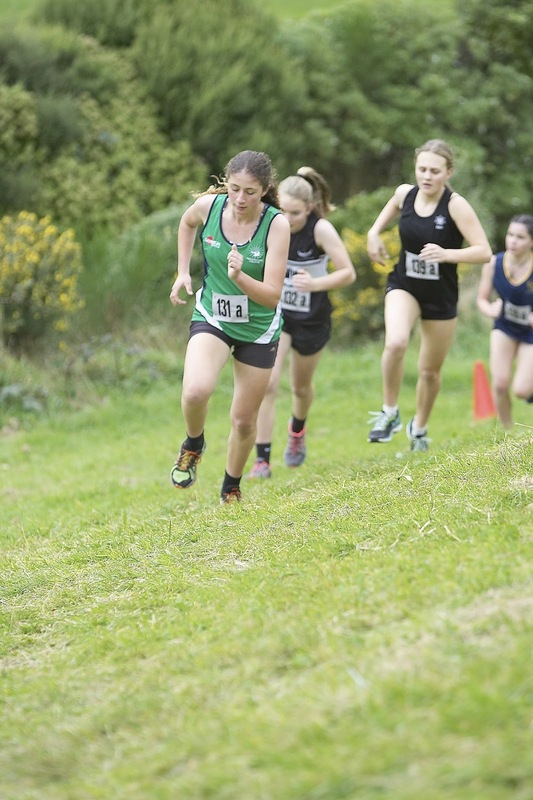 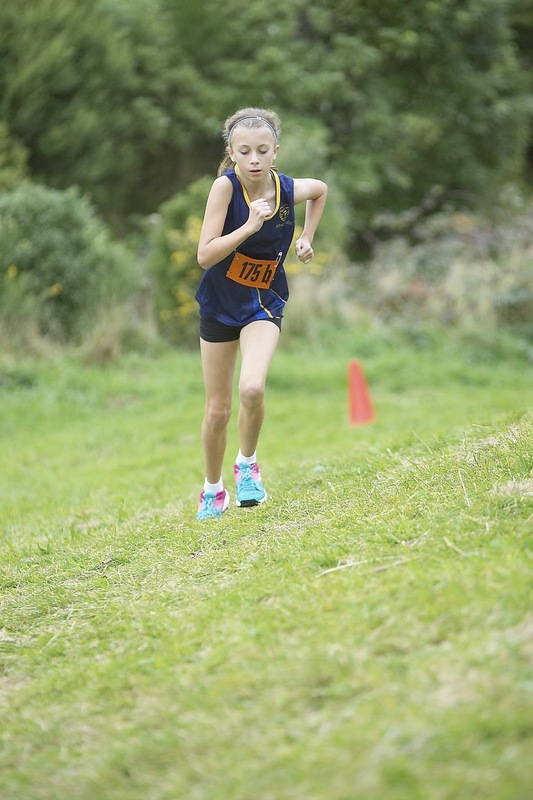 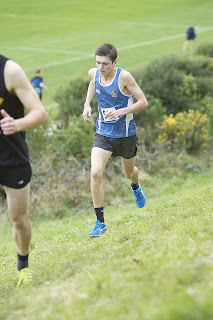 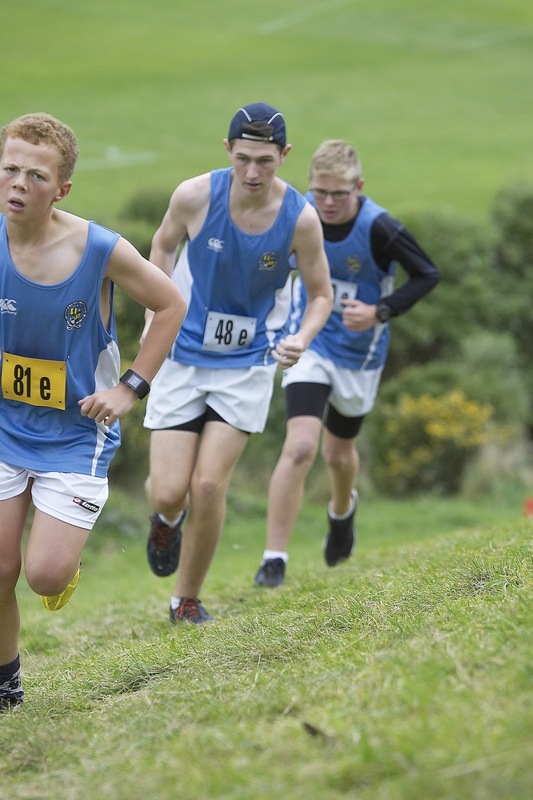 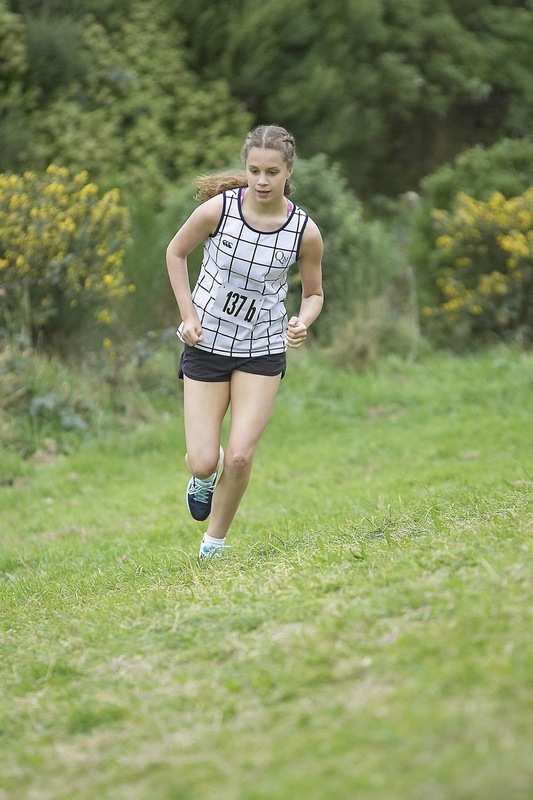 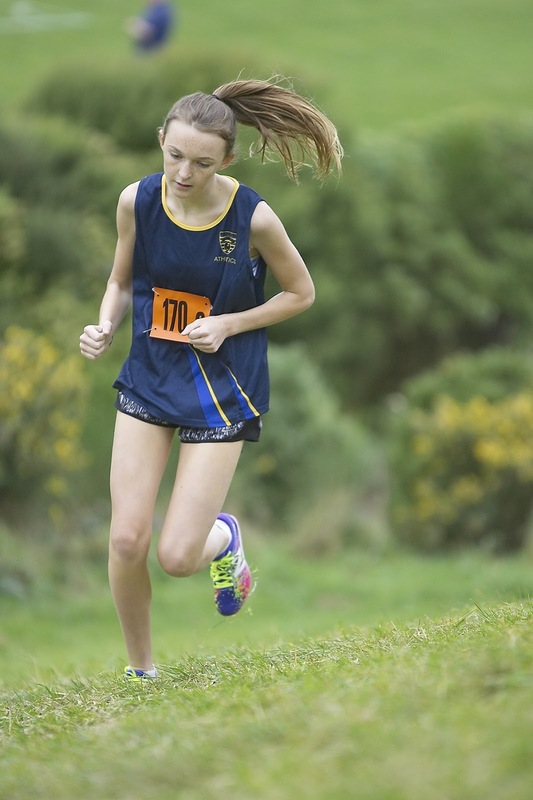 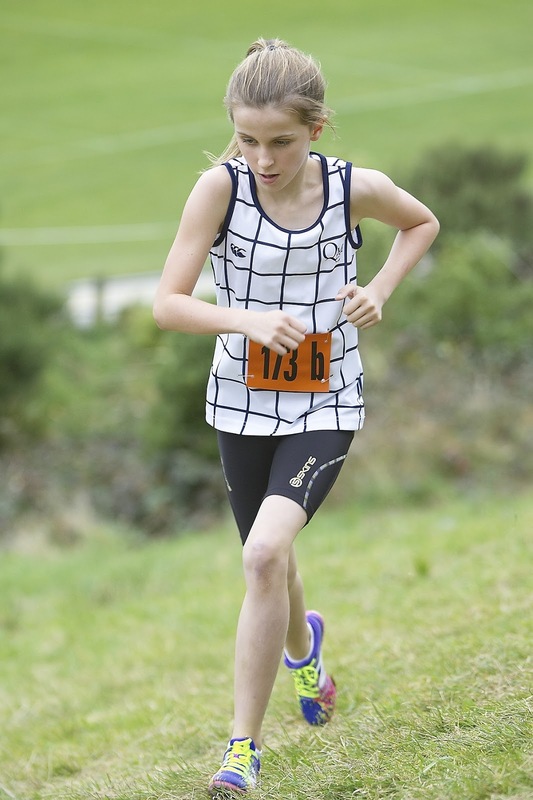 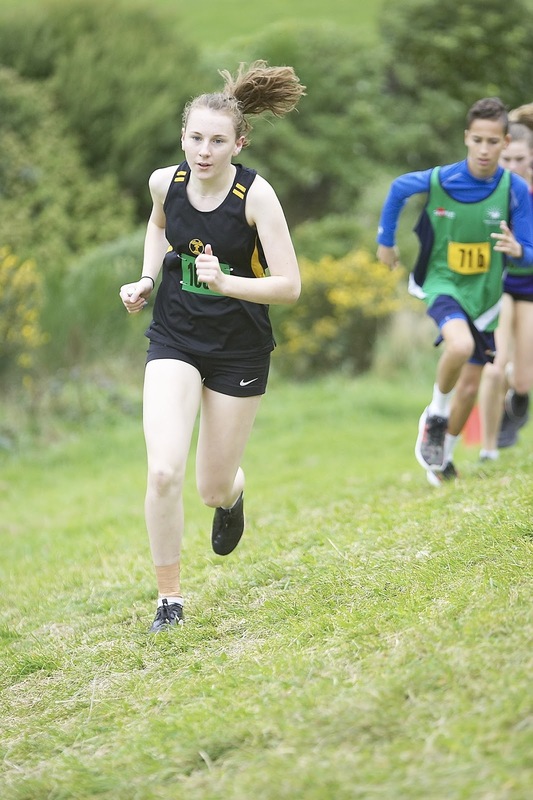 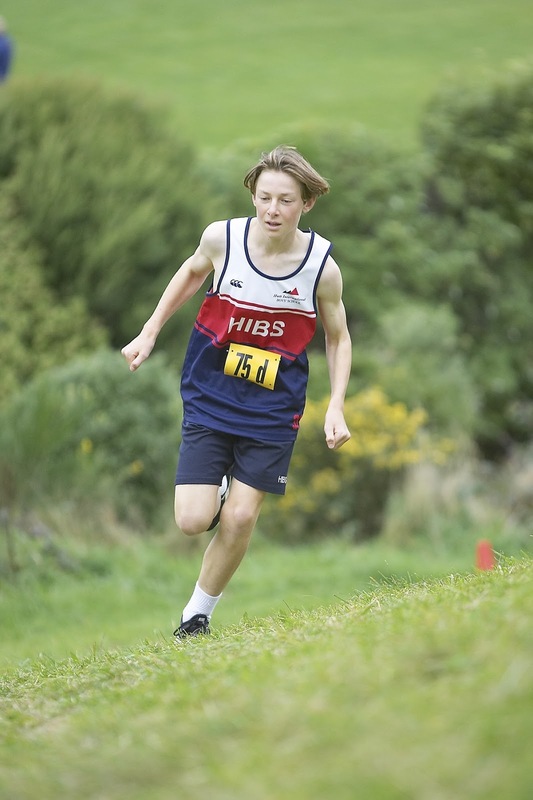 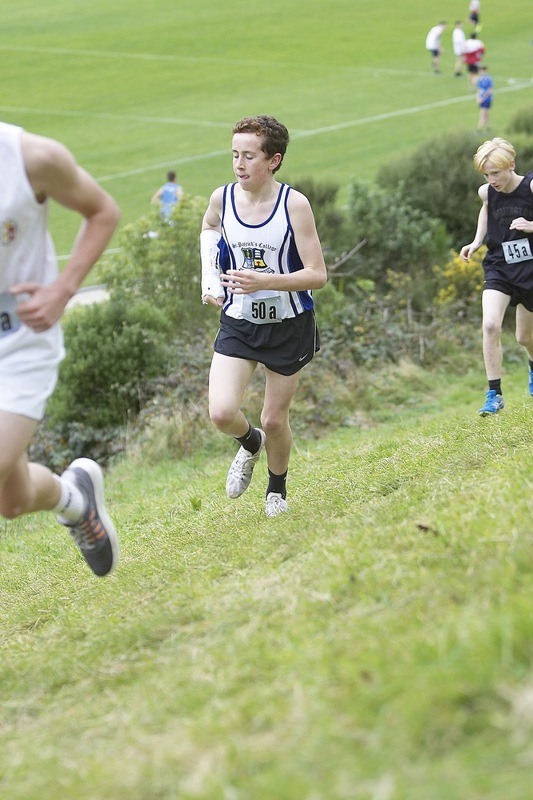 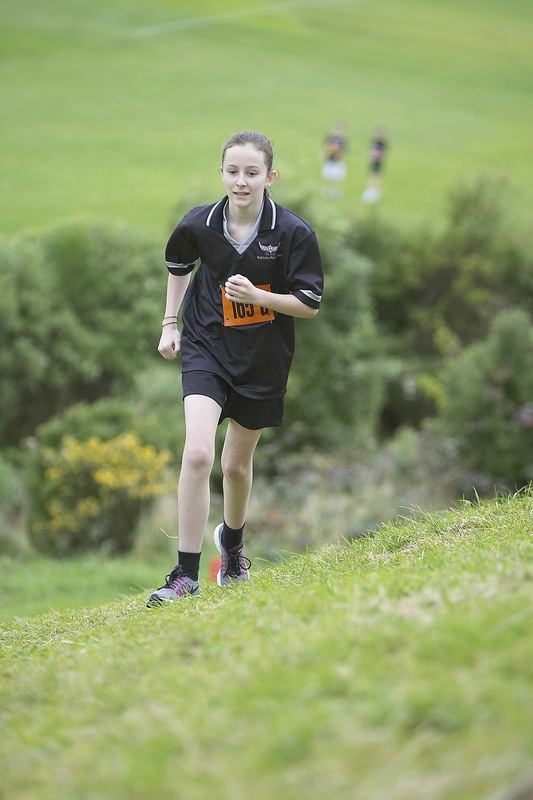 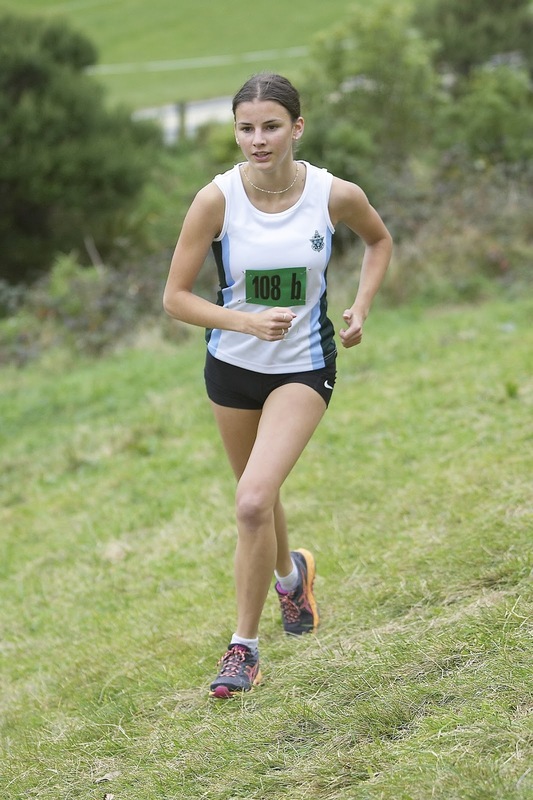 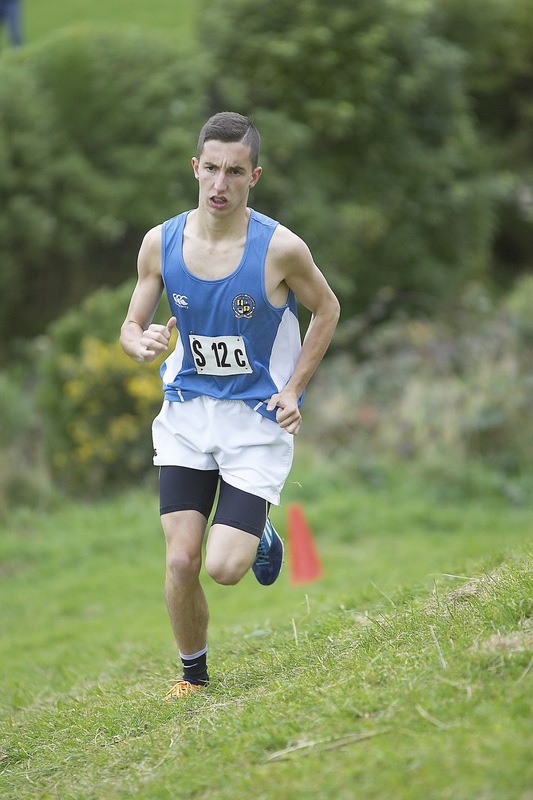 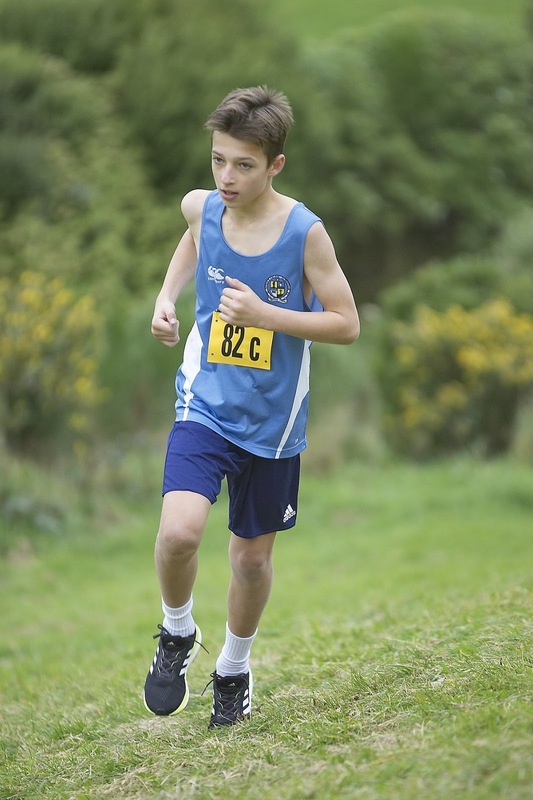 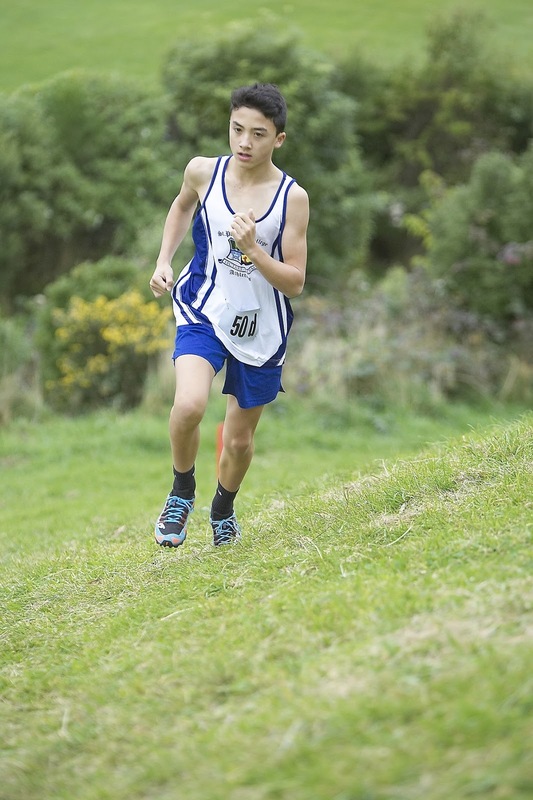 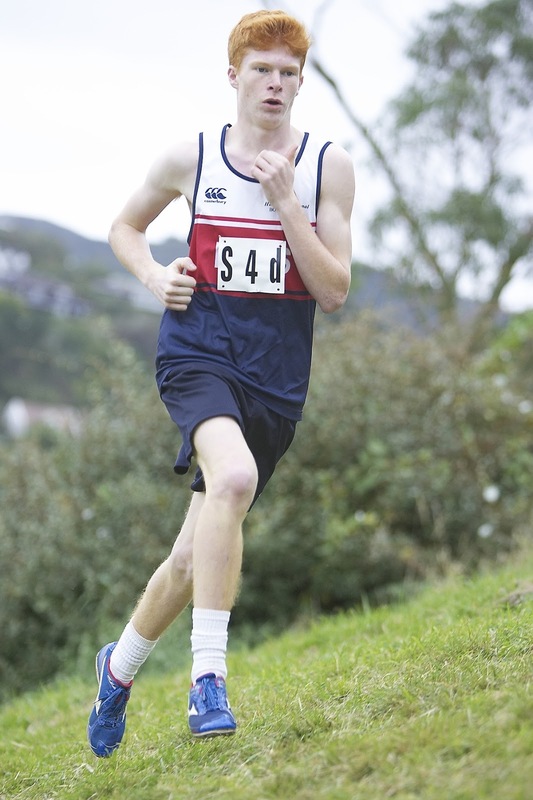 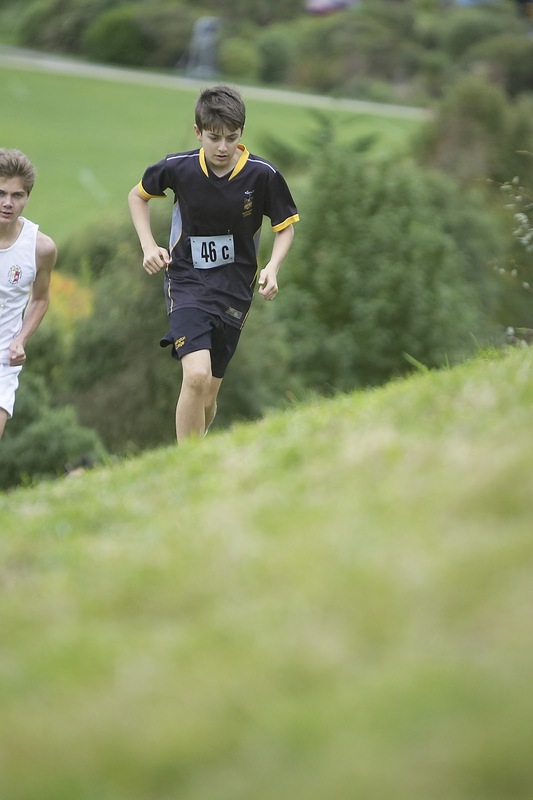 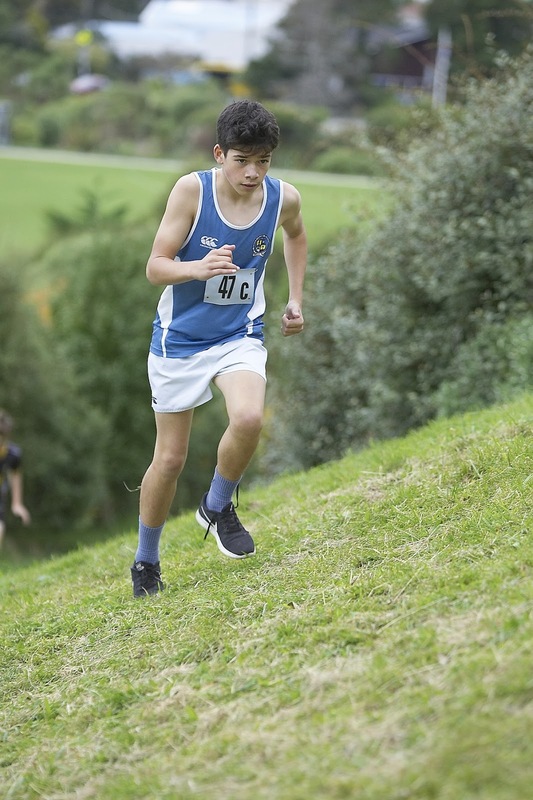 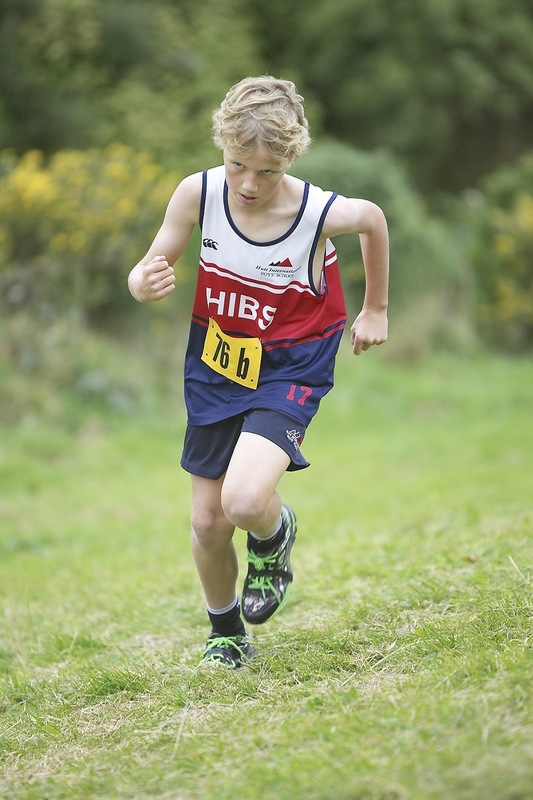 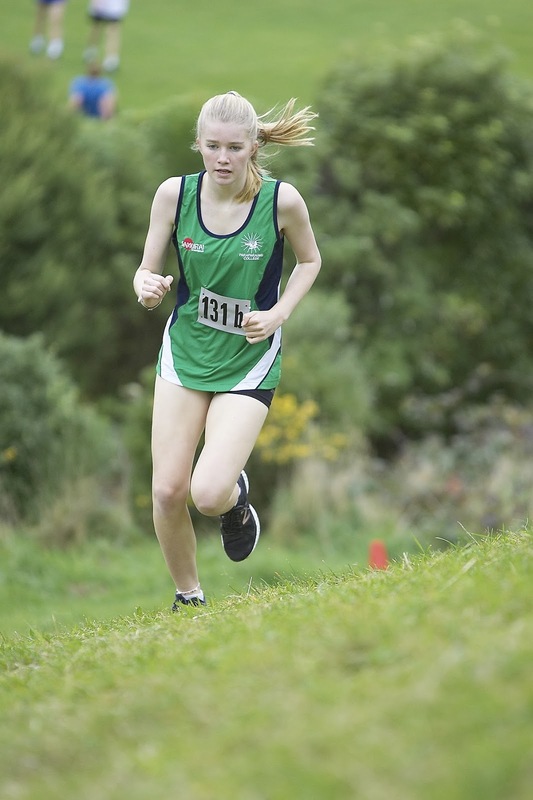 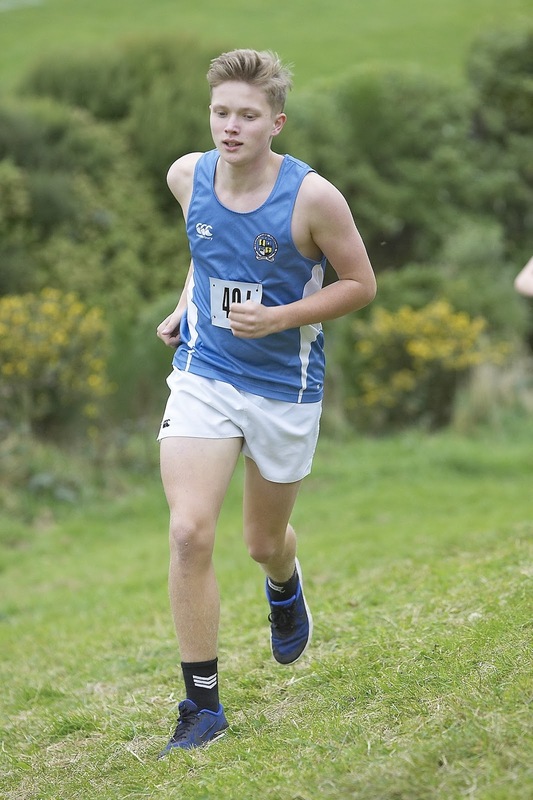 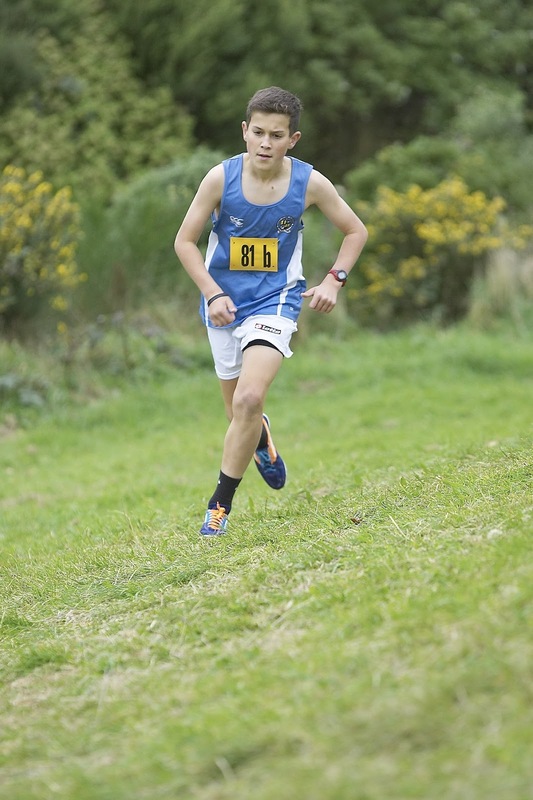 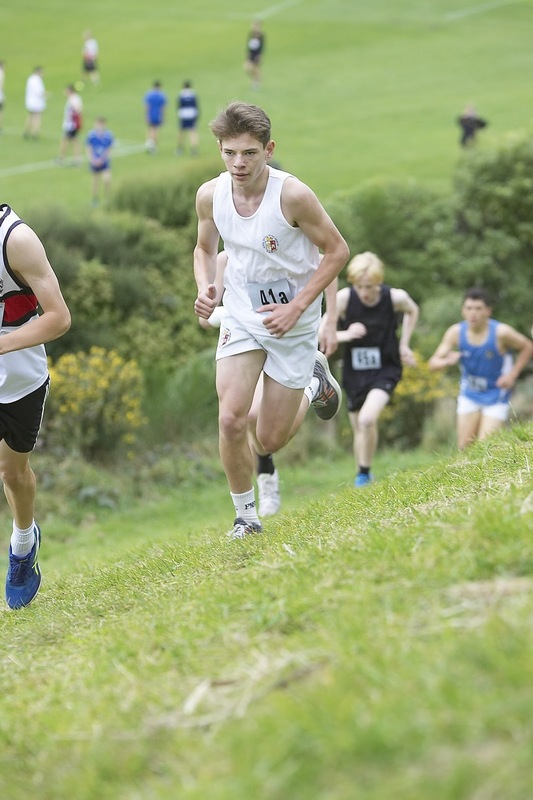 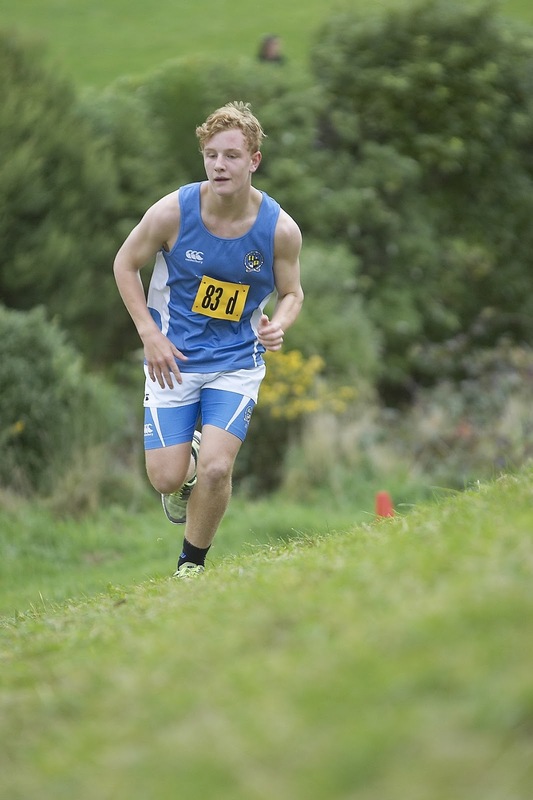 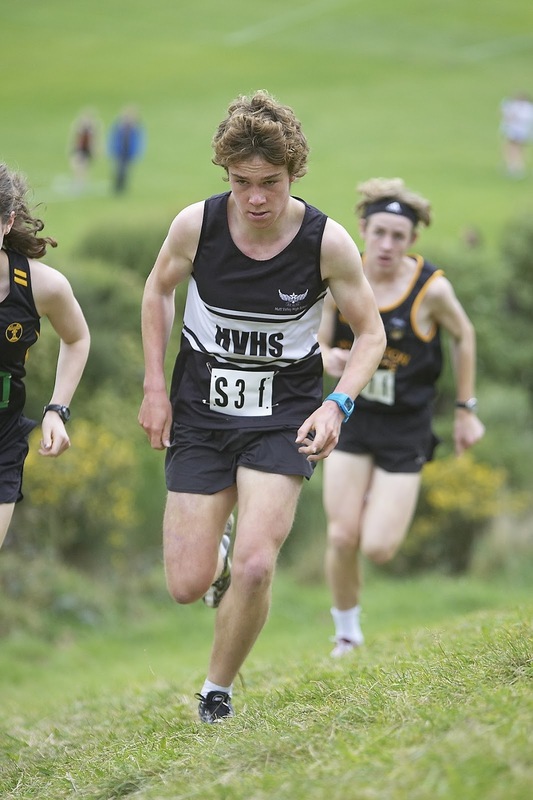 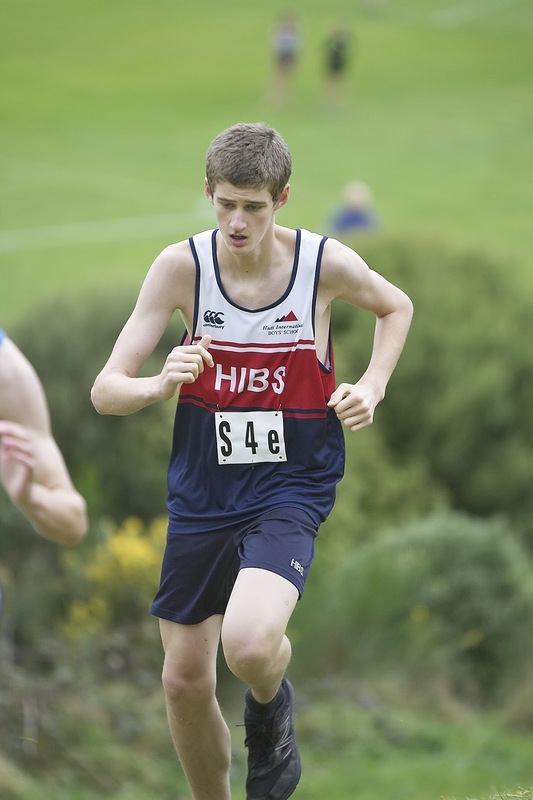 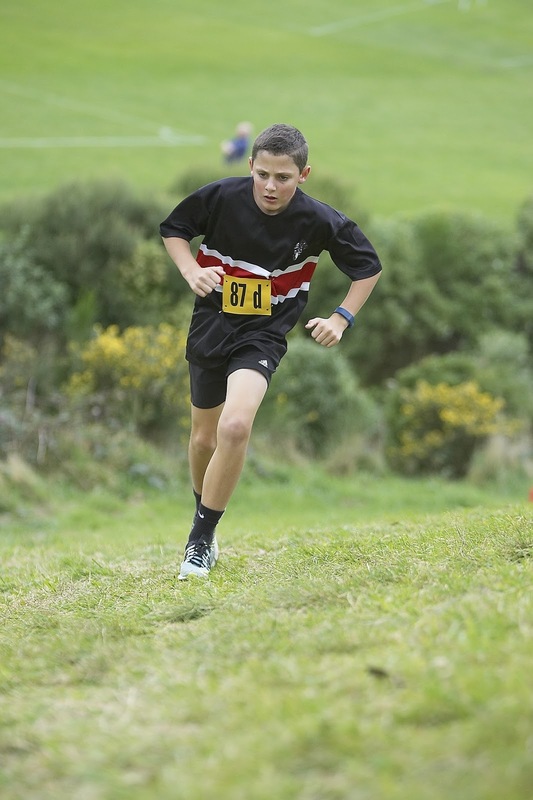 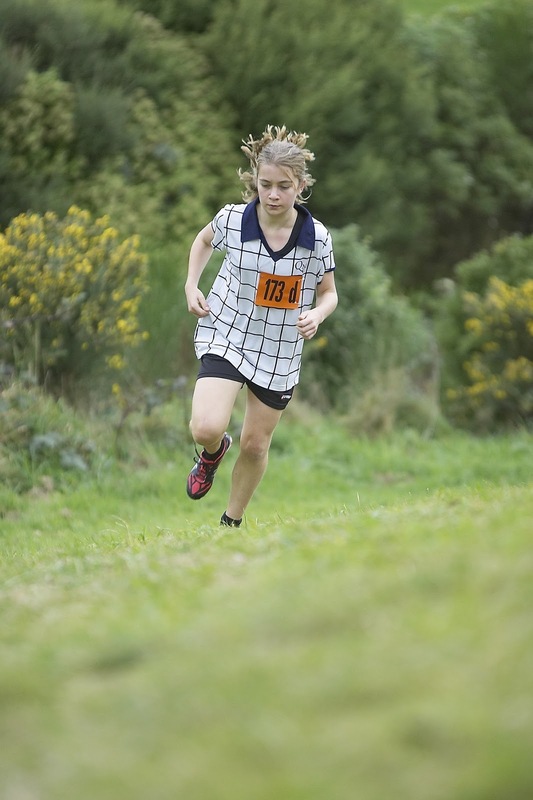 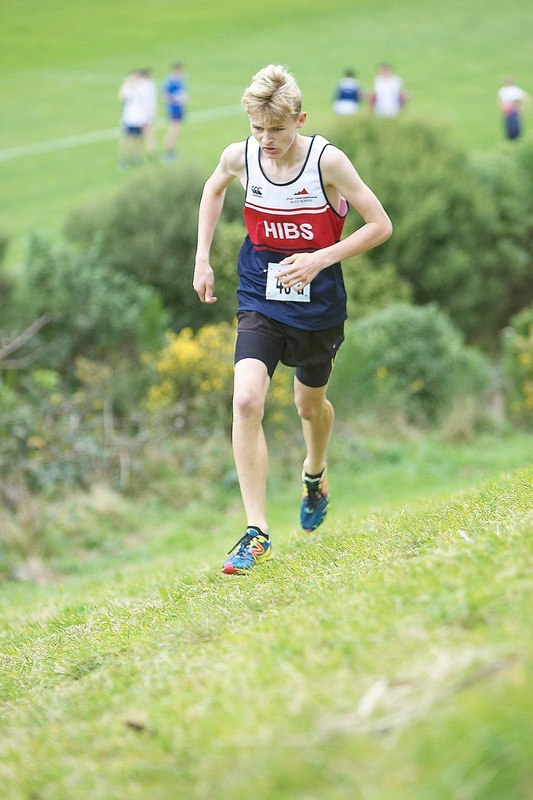 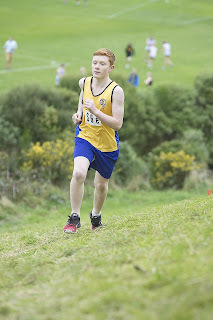 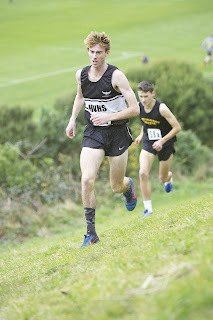 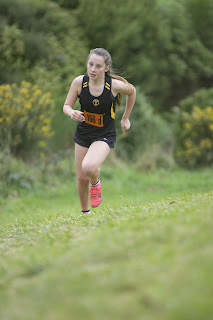 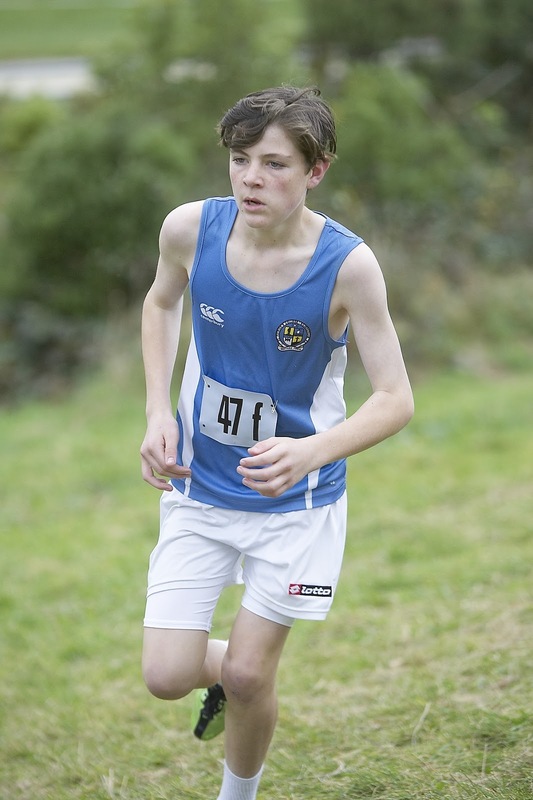 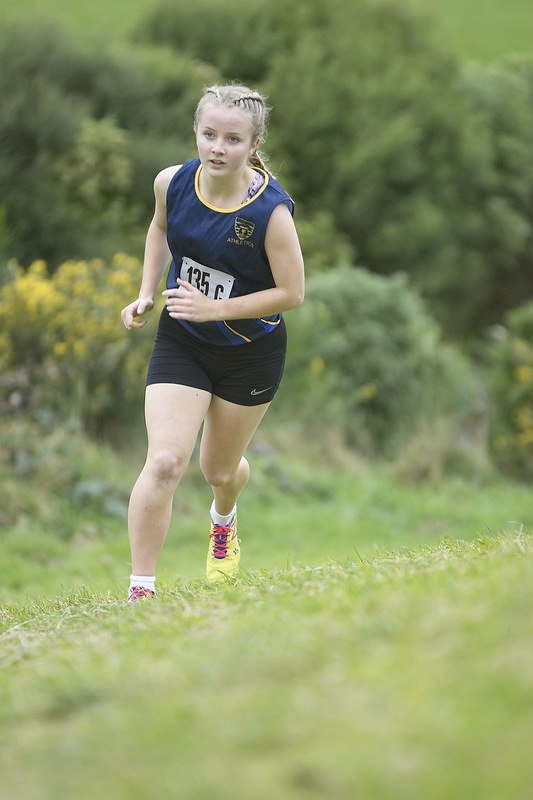 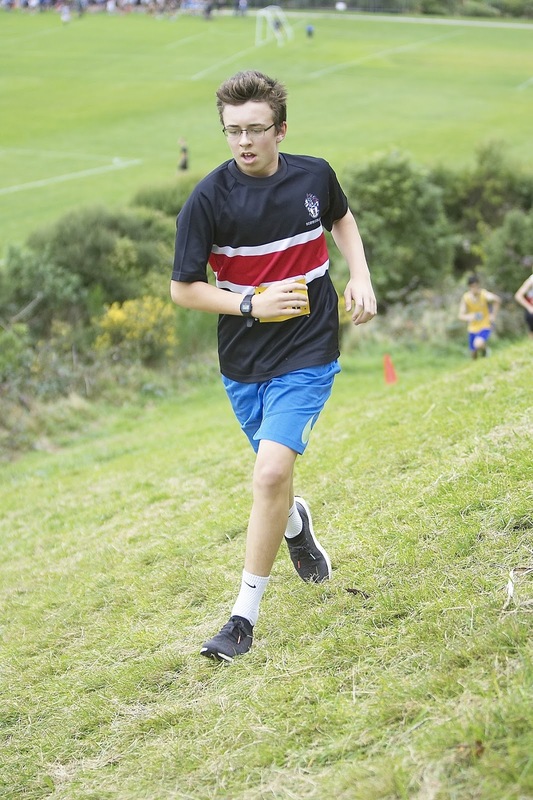 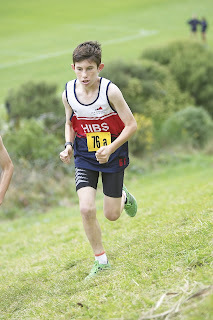 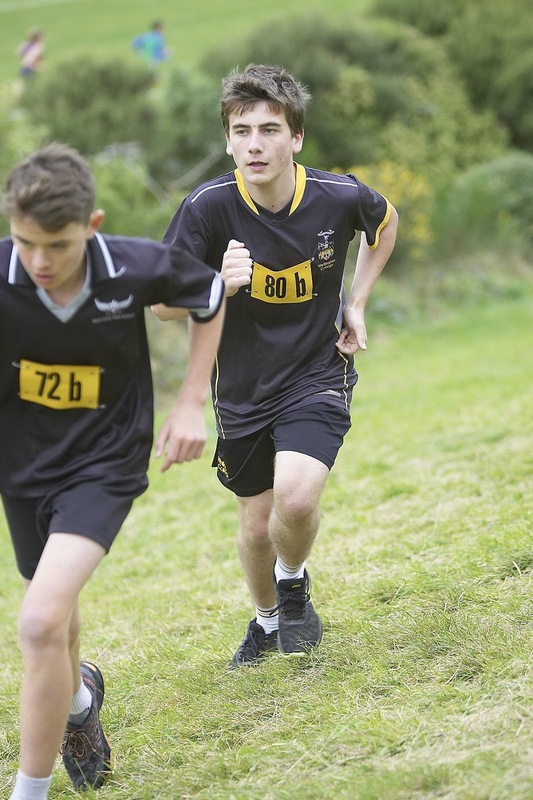 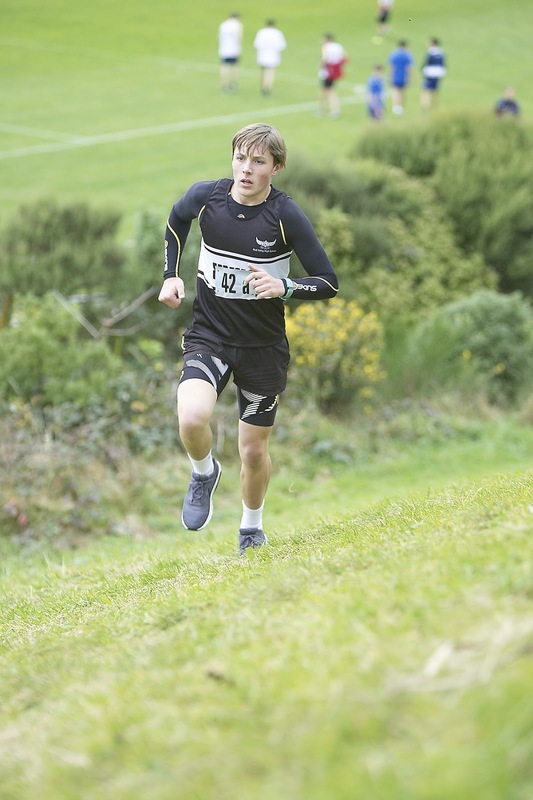 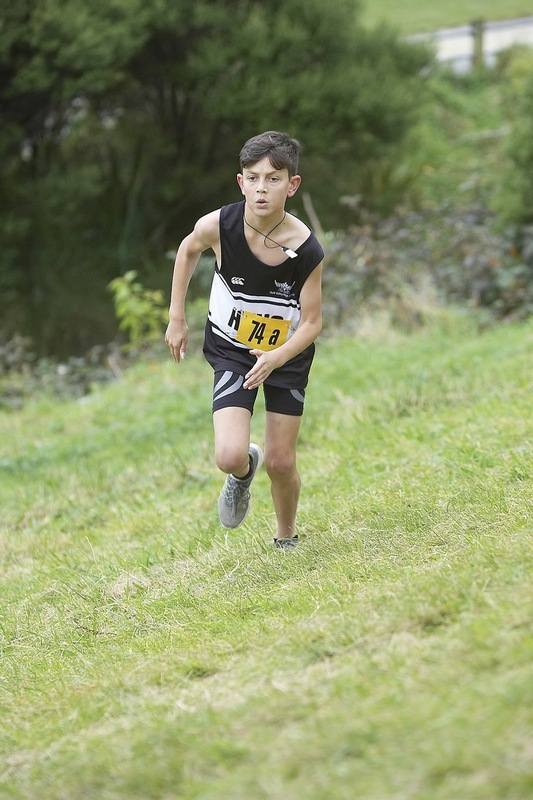 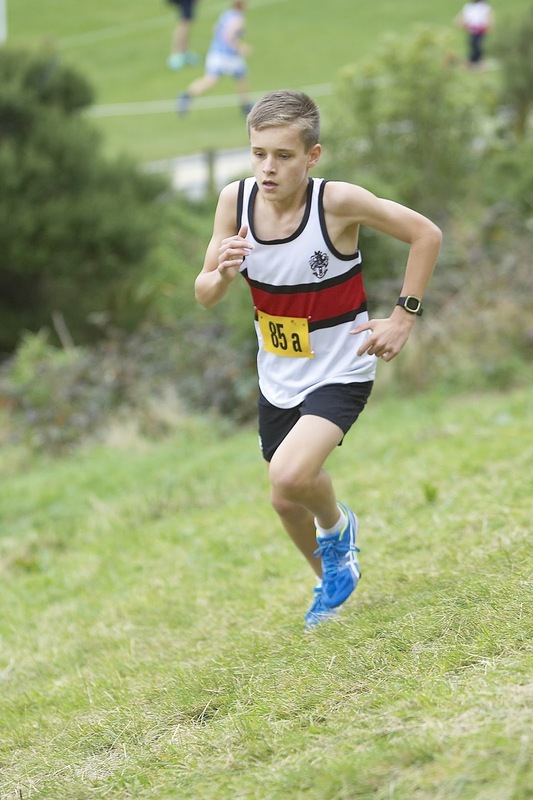 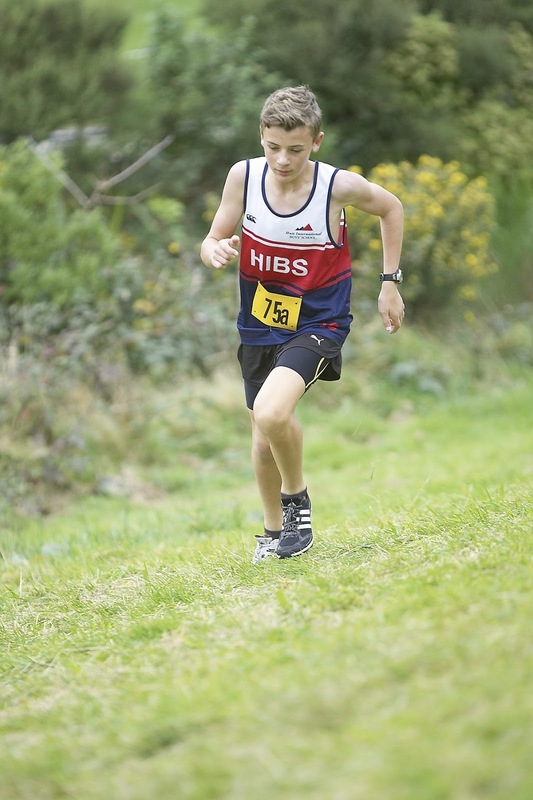 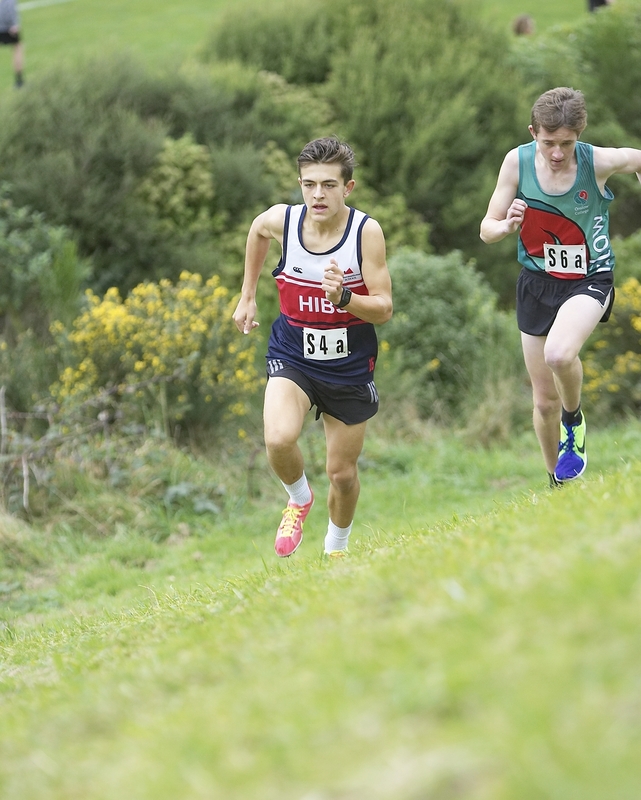 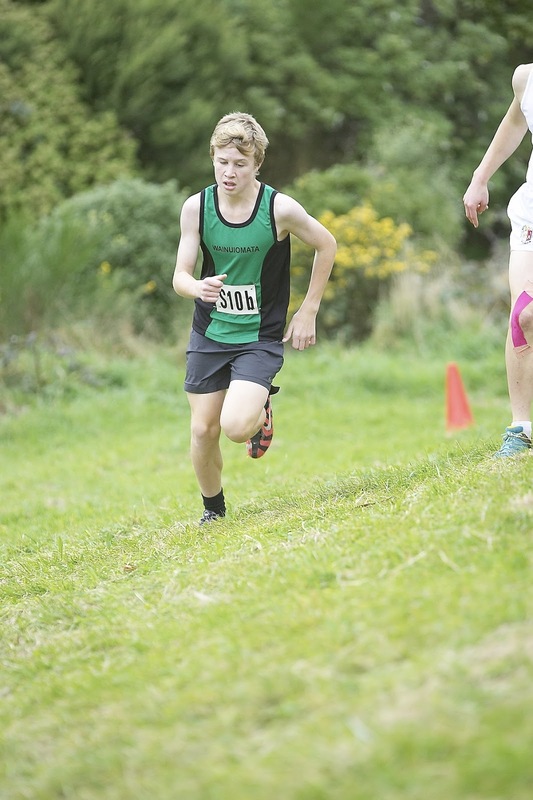 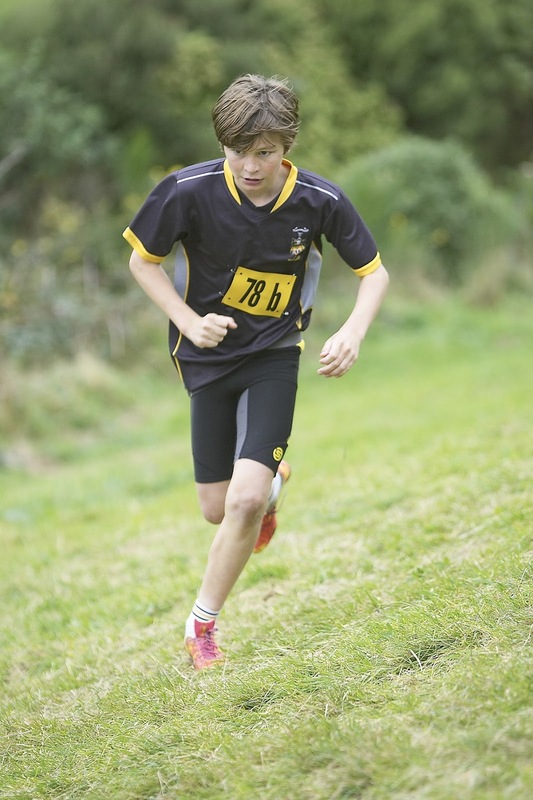 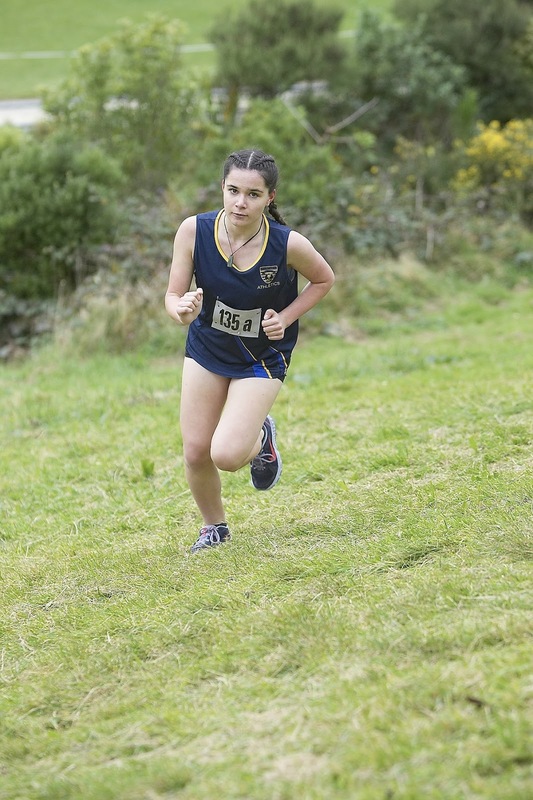 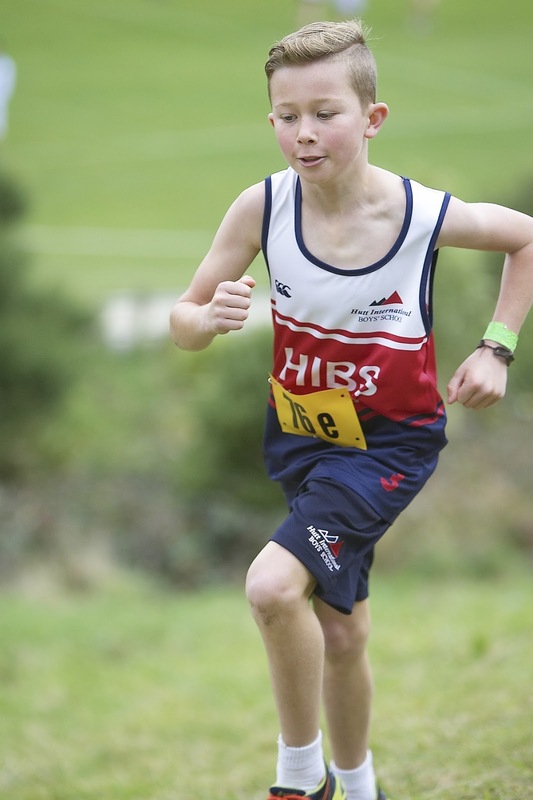 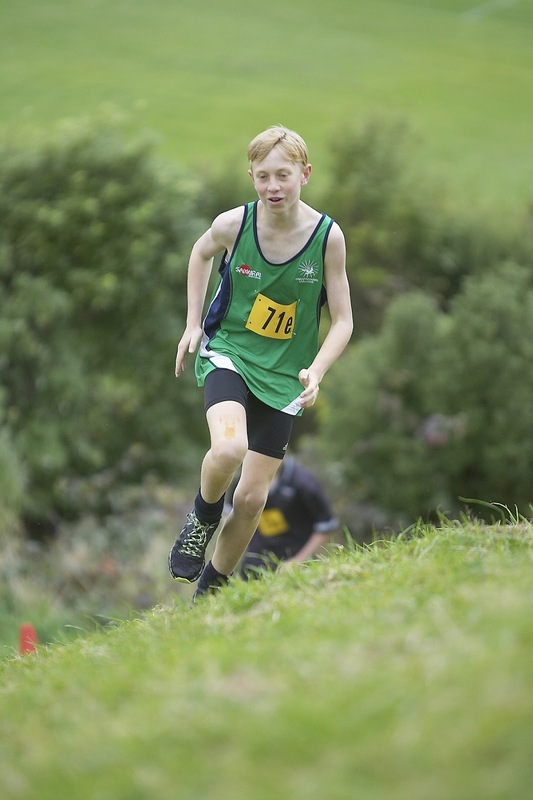 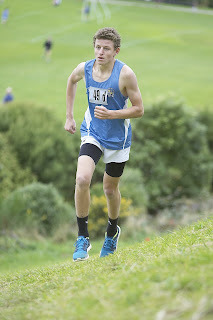 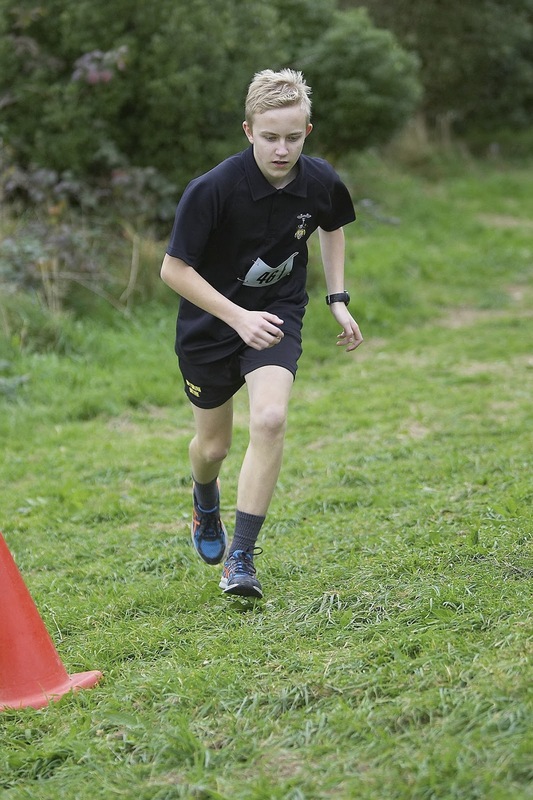 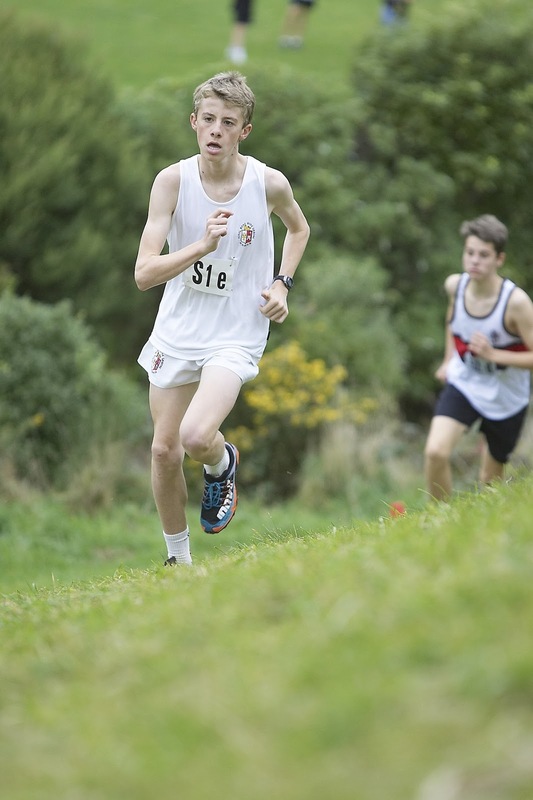 Most regional schools are represented as it provides much needed racing practice ahead of the National Secondary Schools XC Champs held in June and because relays are just fun. 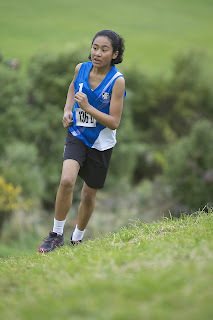 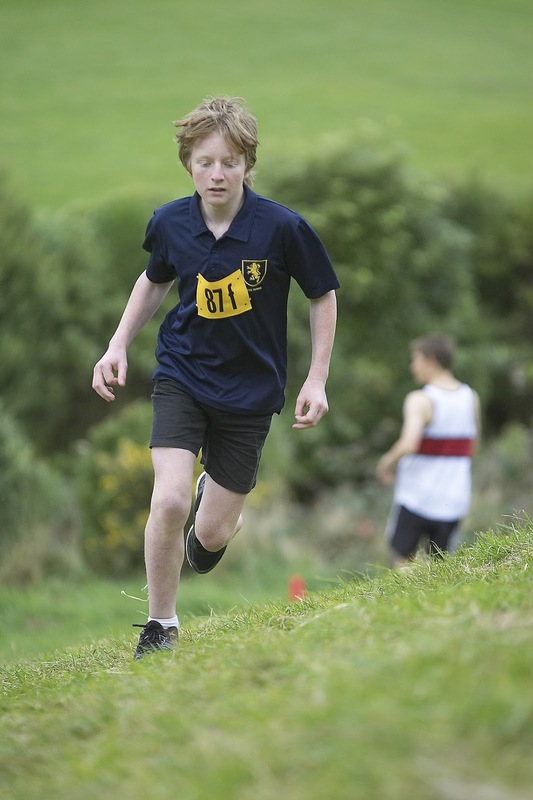 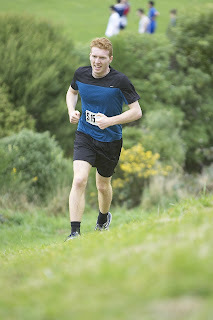 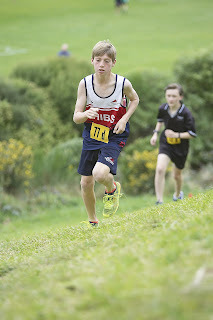 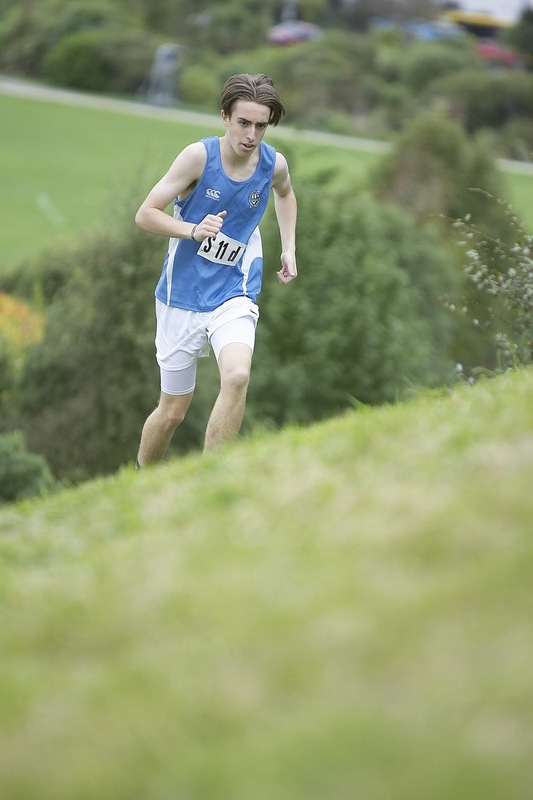 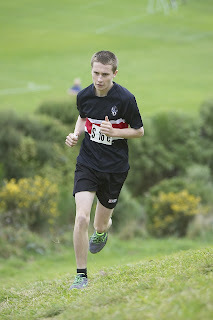 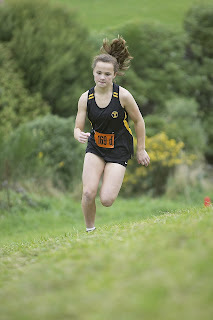 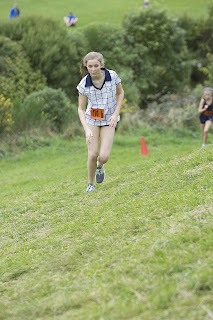 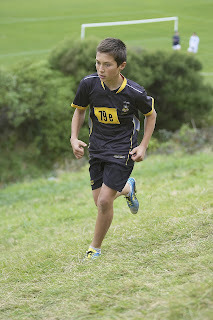 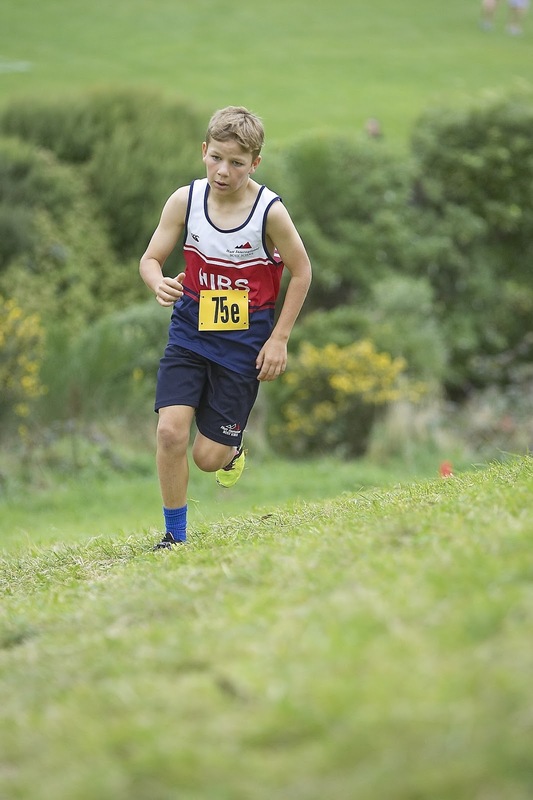 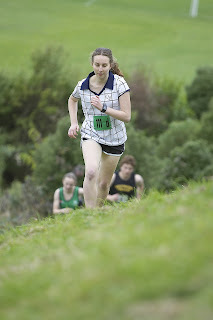 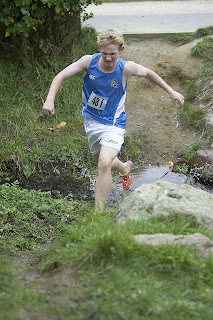 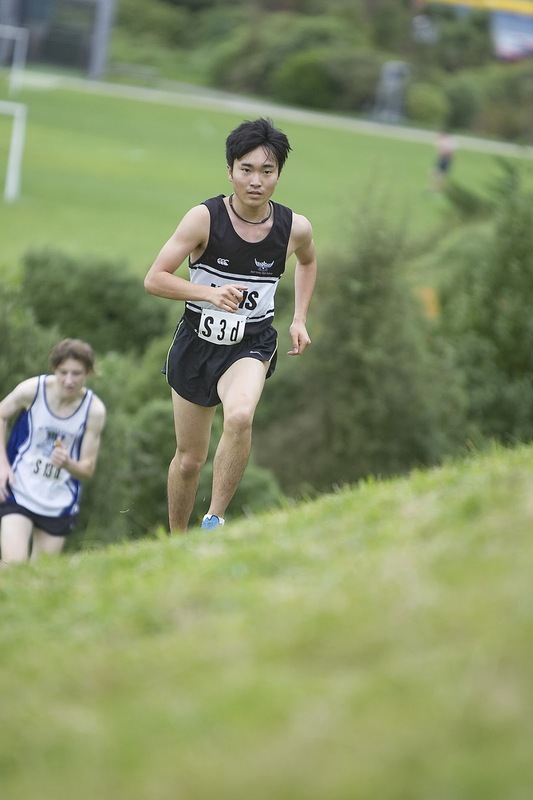 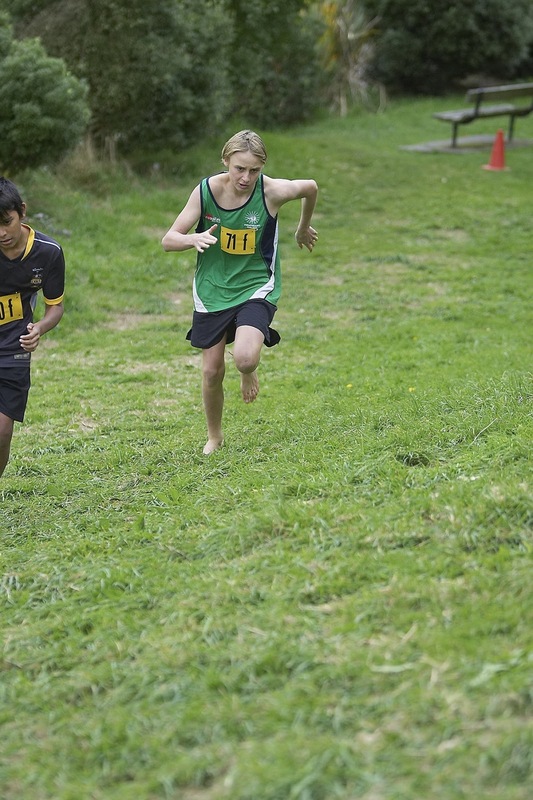 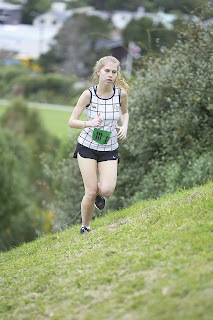 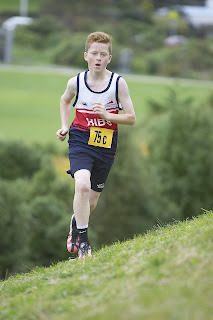 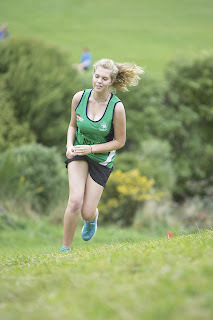 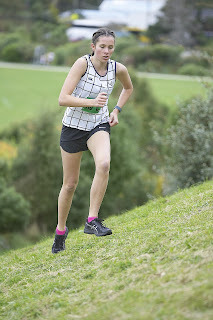 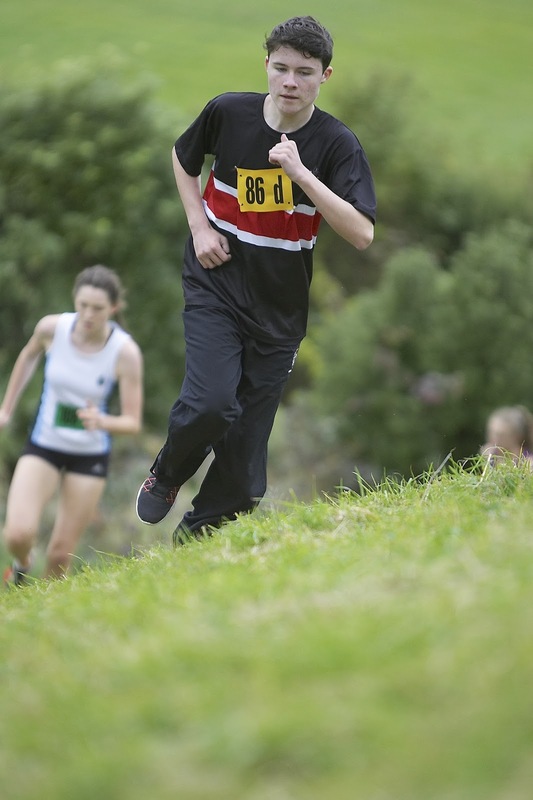 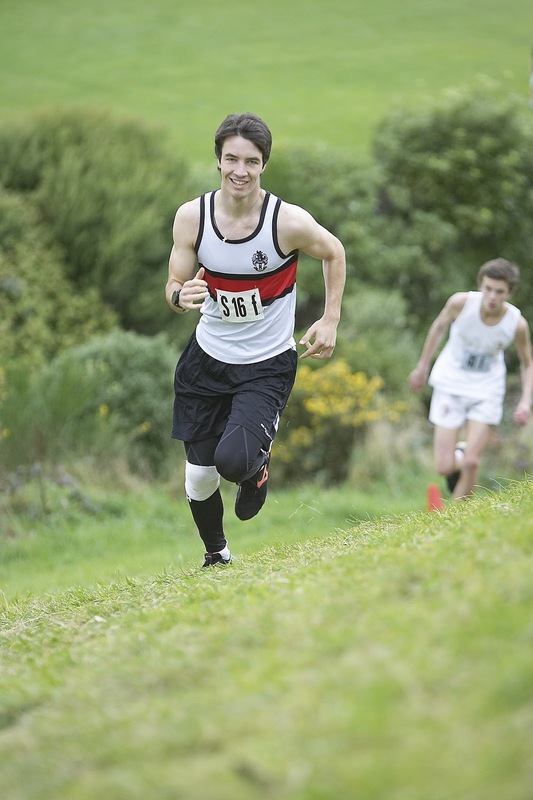 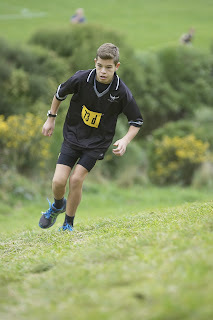 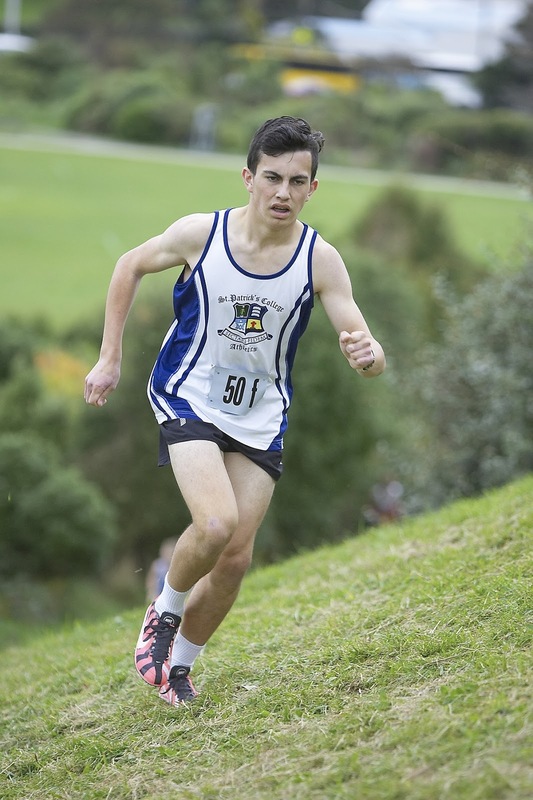 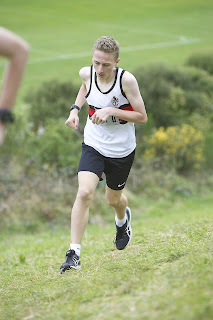 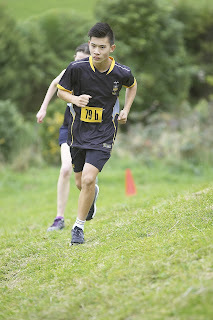 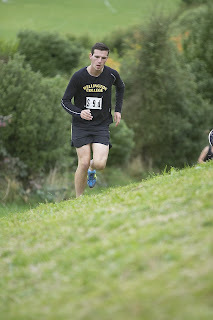 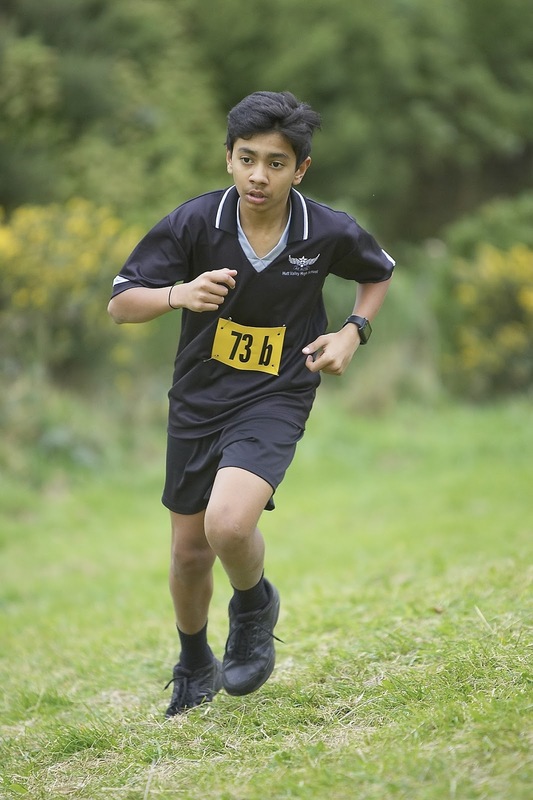 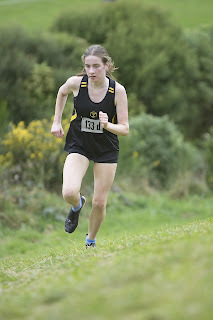 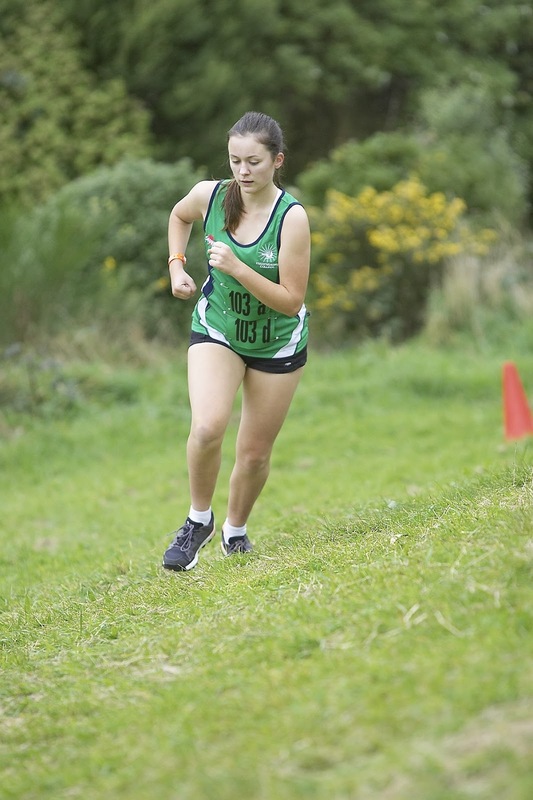 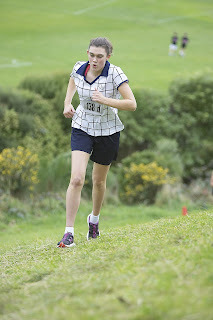 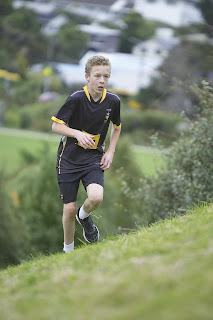 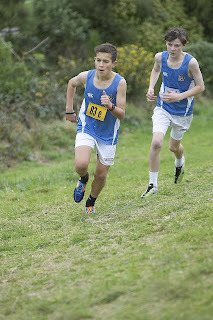 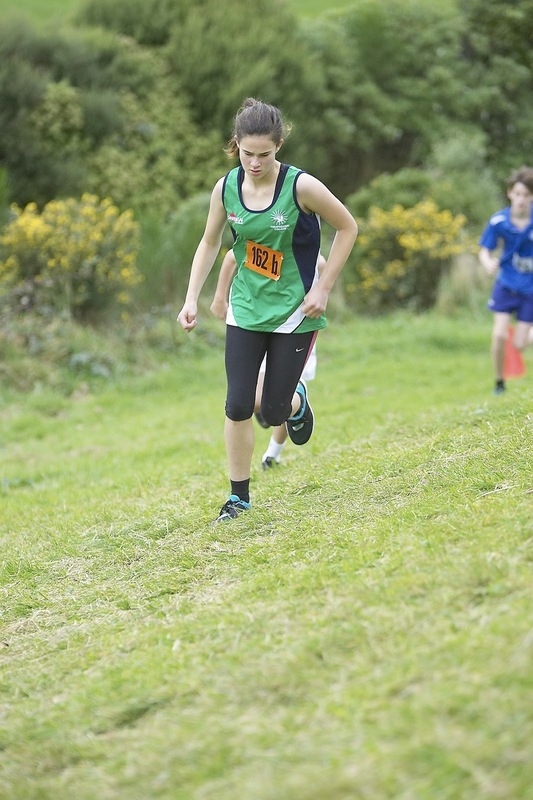 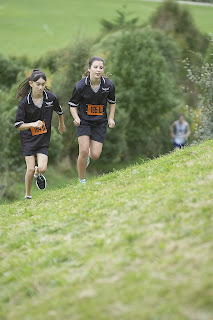 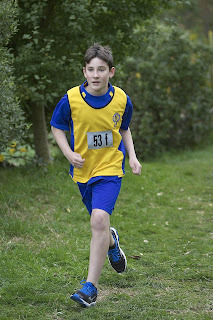 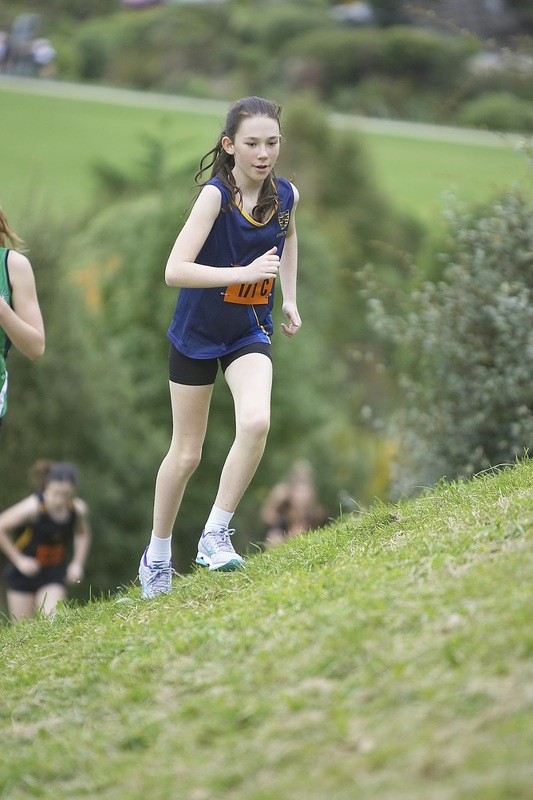 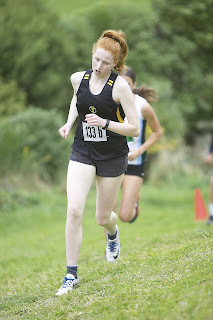 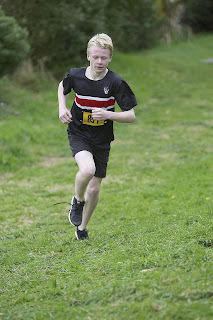 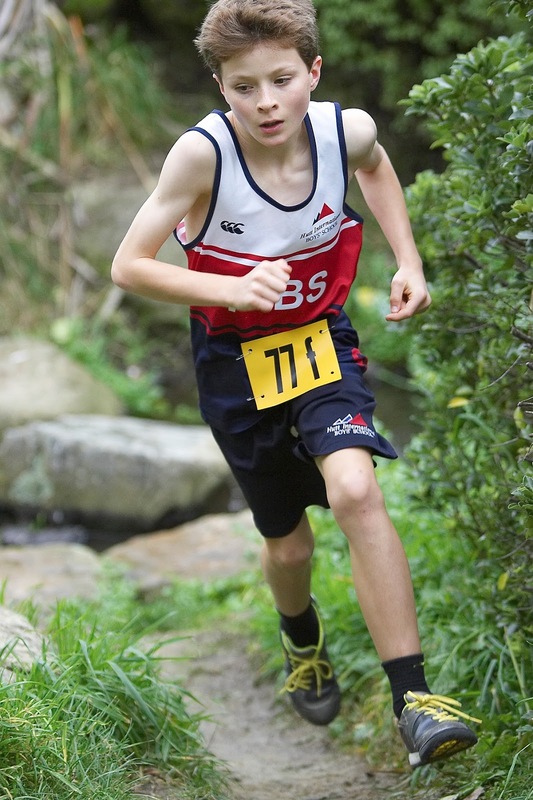 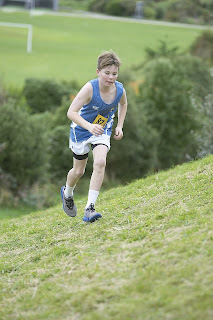 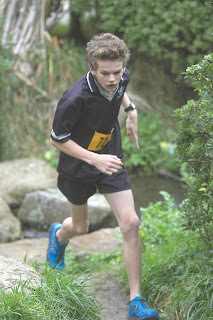 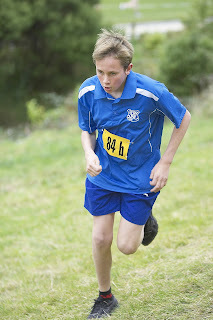 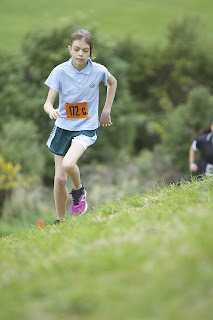 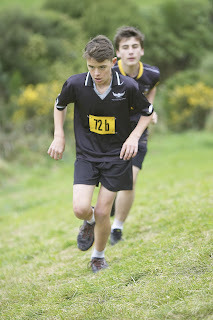 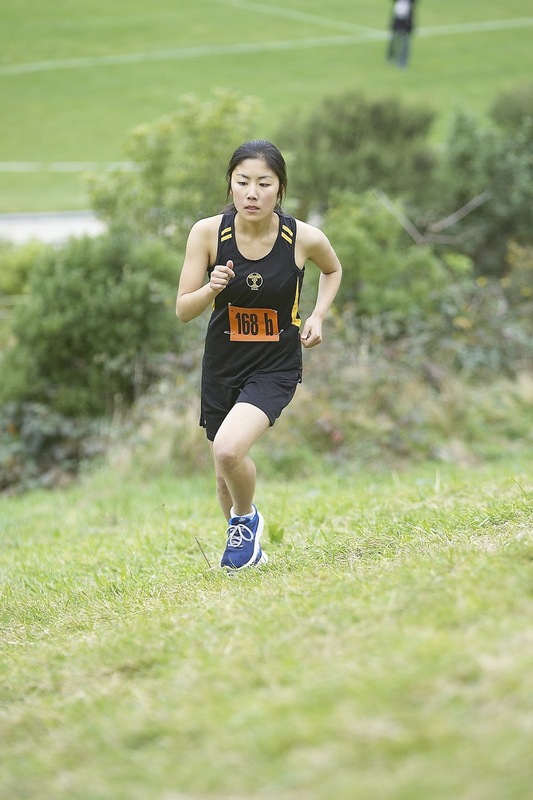 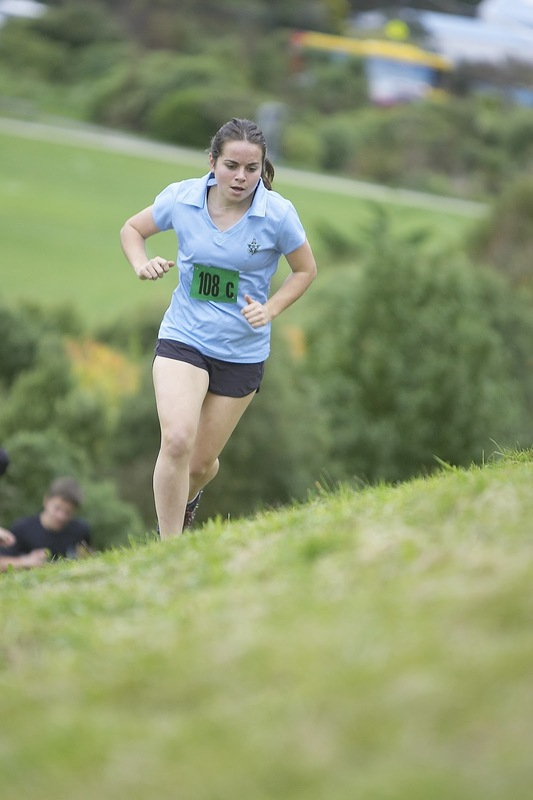 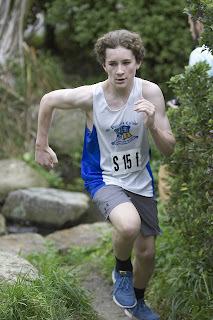 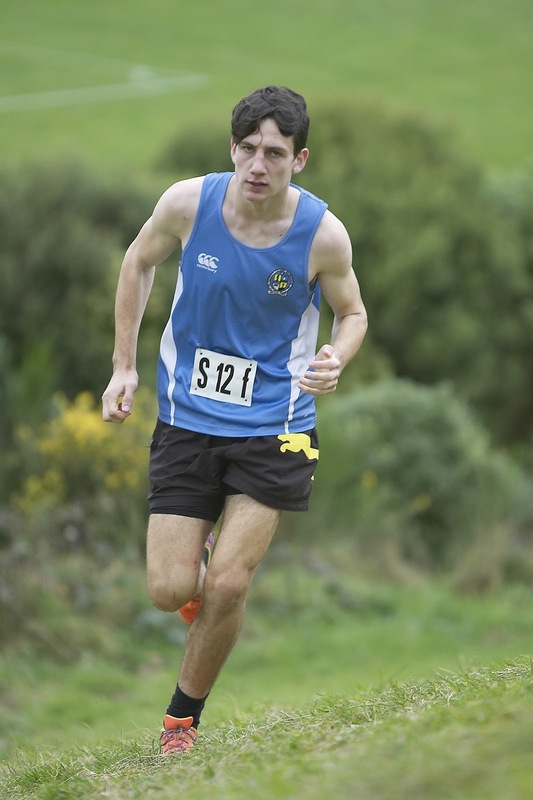 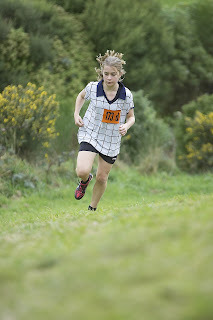 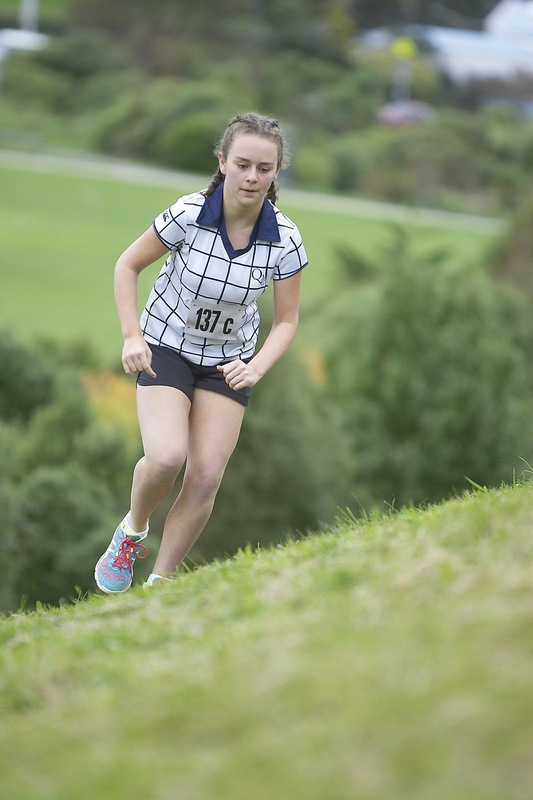 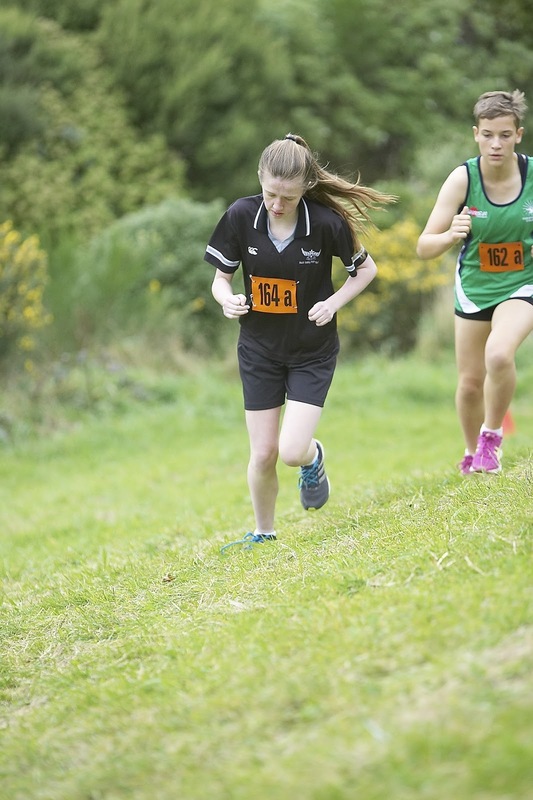 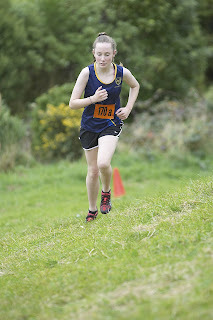 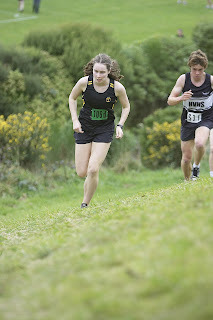 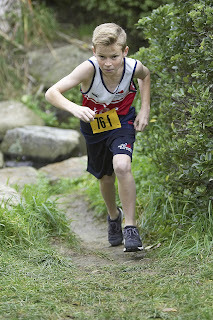 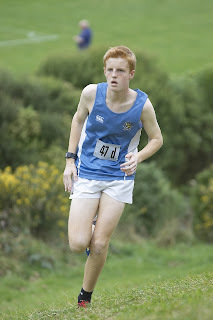 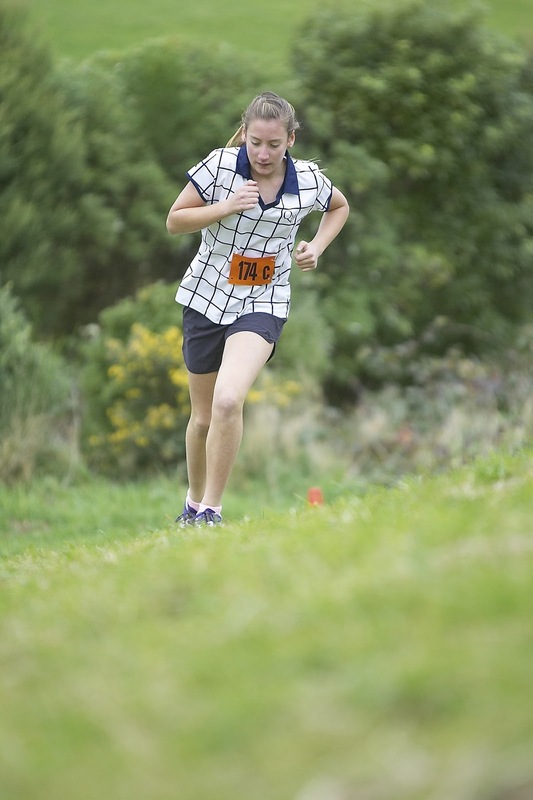 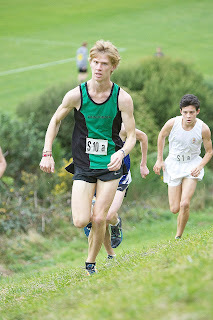 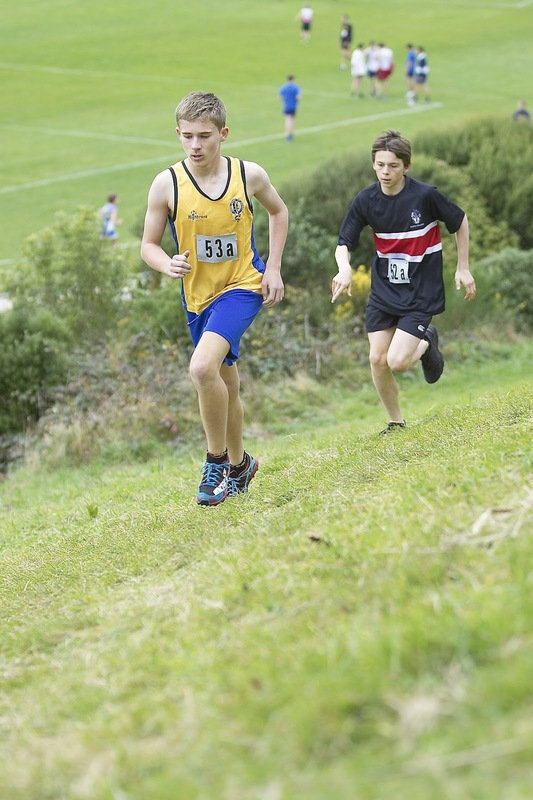 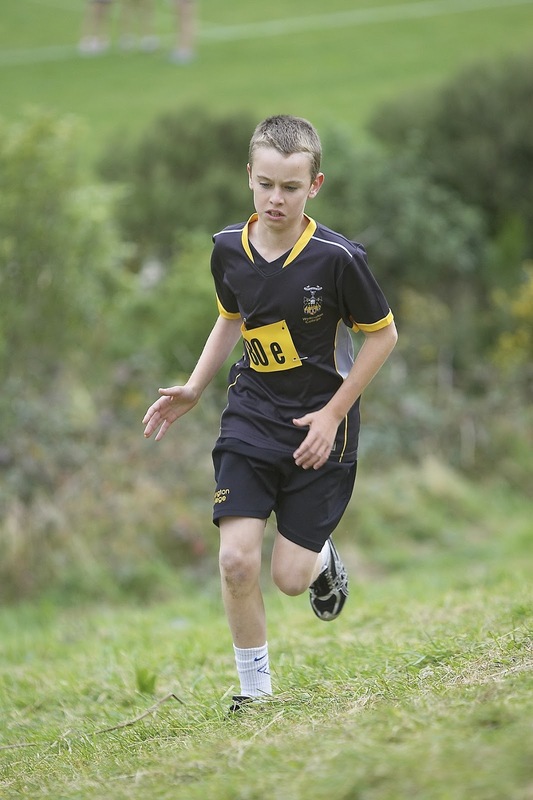 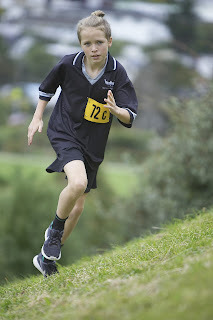 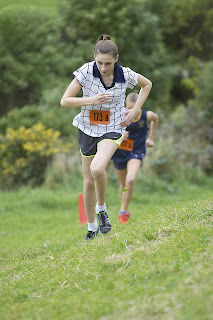 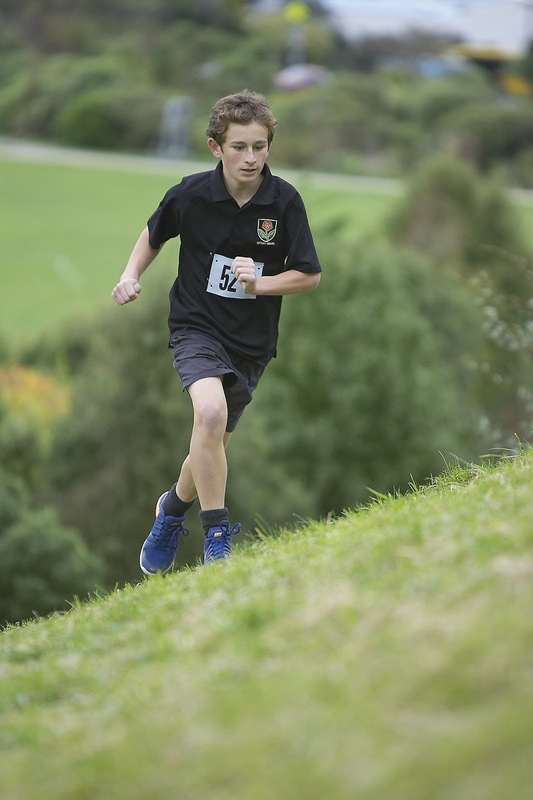 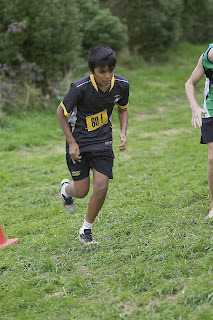 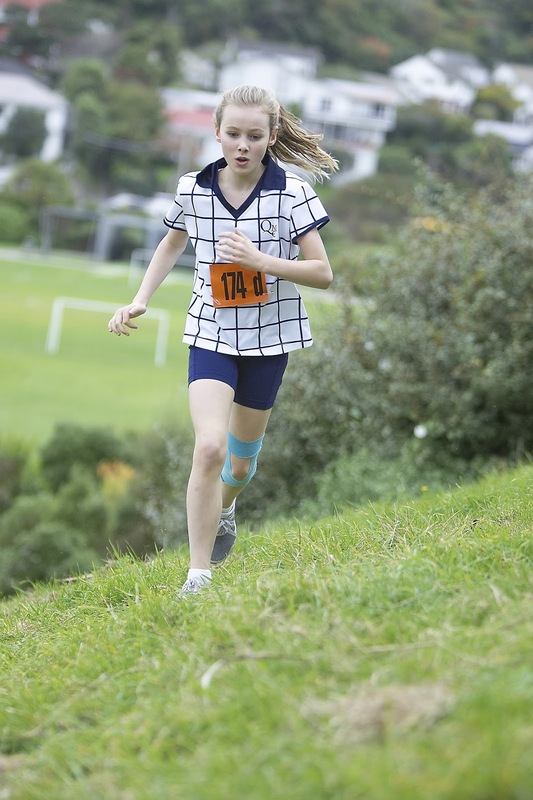 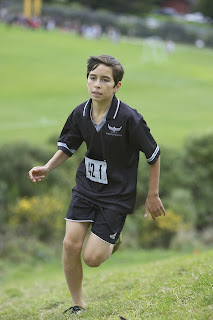 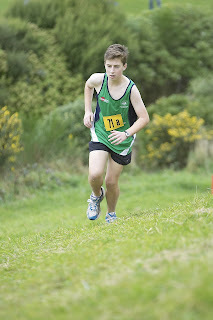 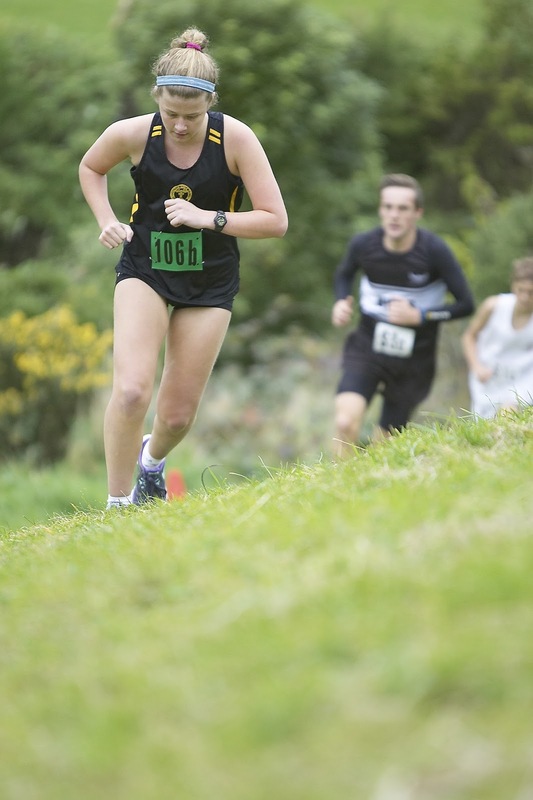 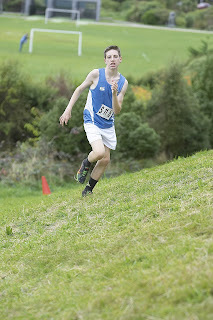 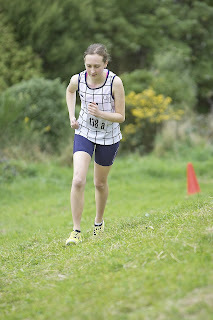 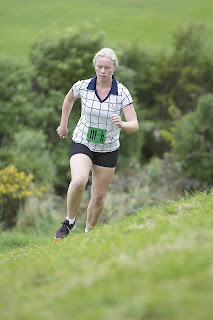 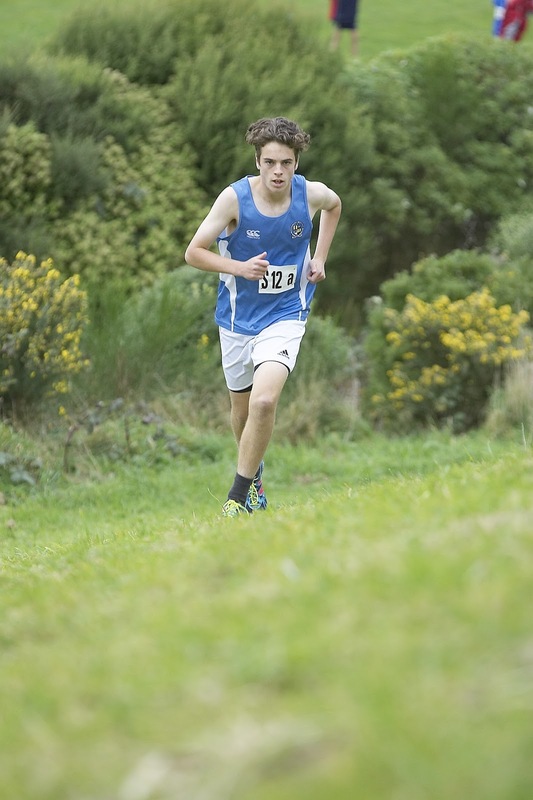 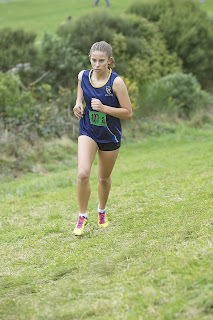 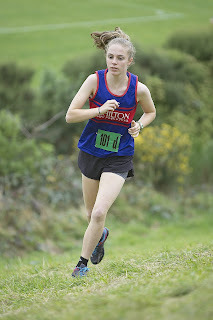 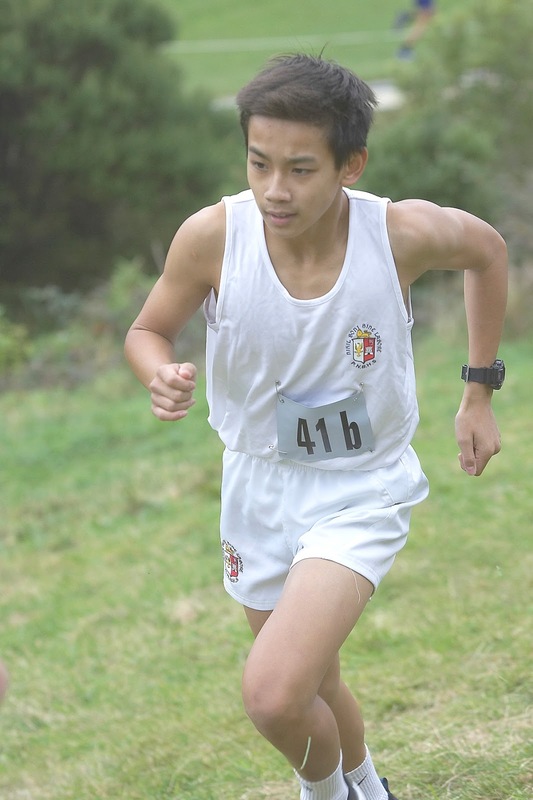 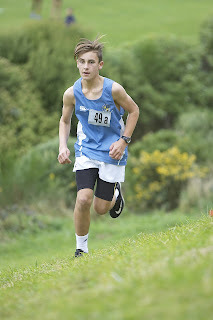 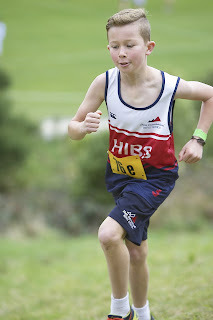 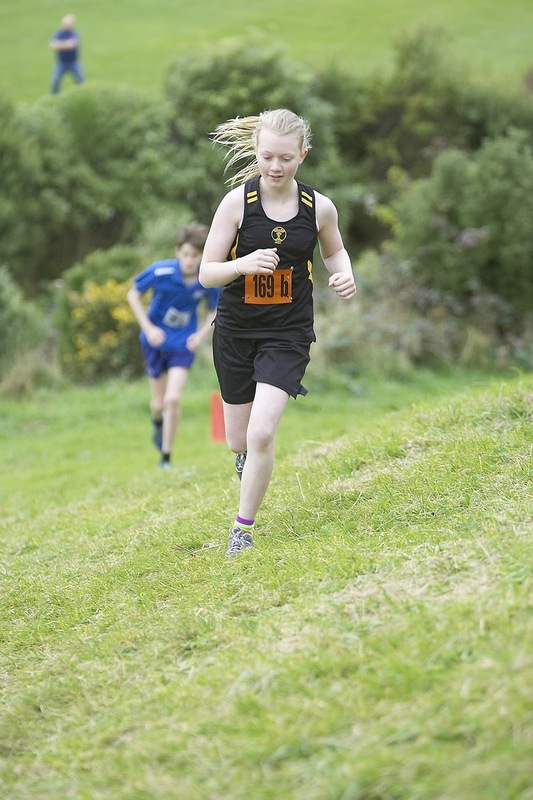 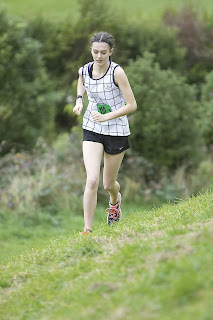 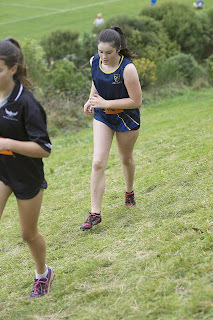 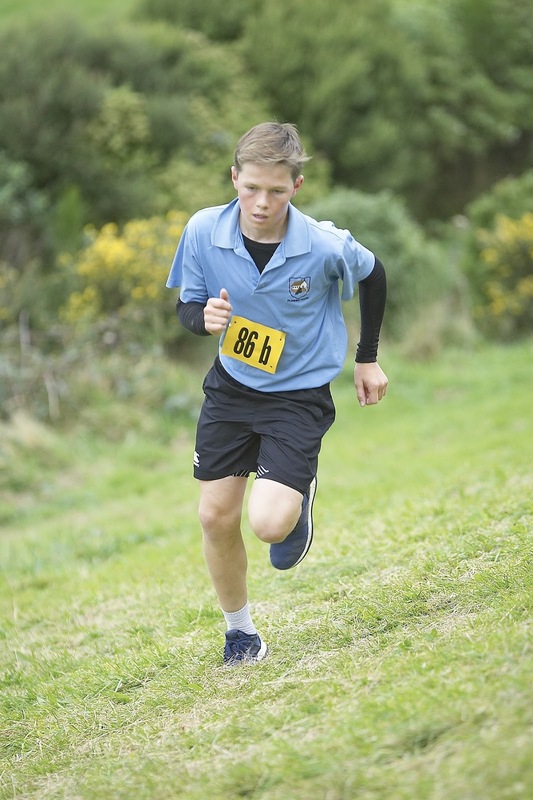 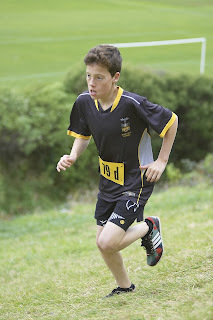 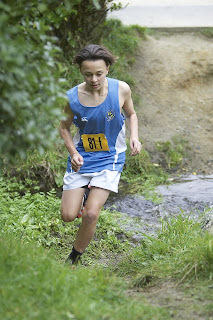 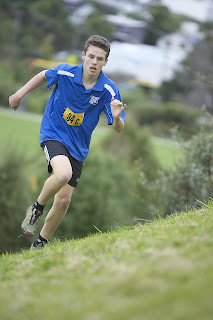 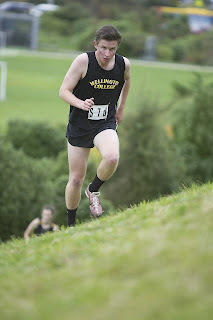 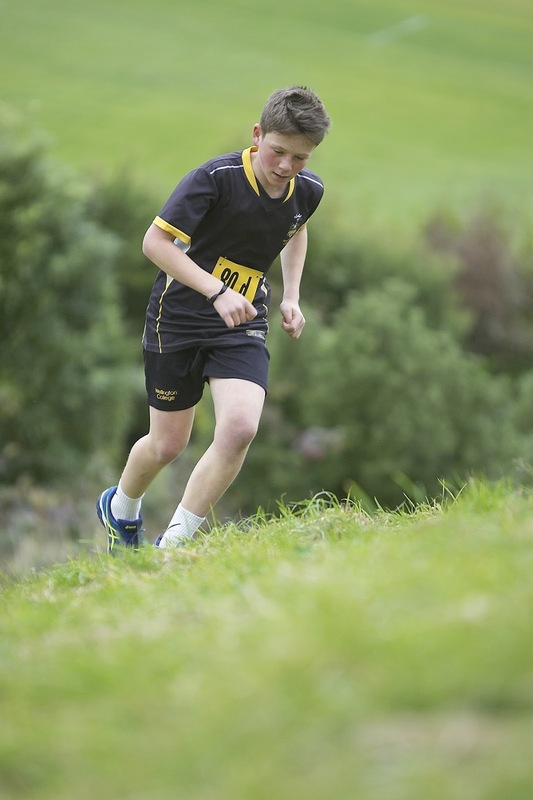 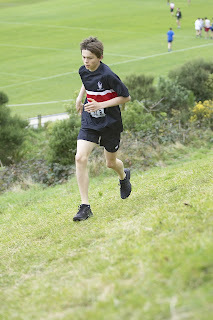 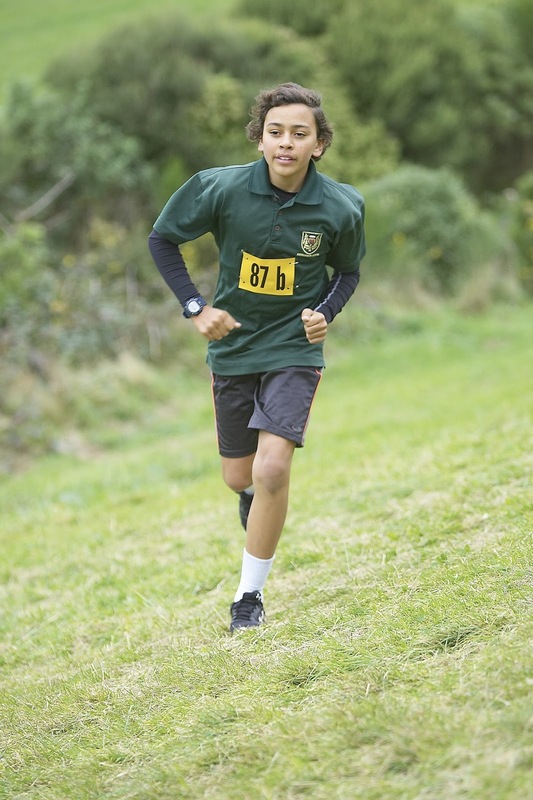 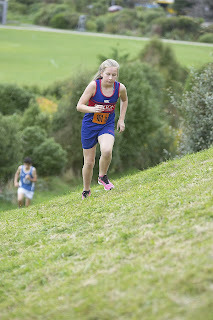 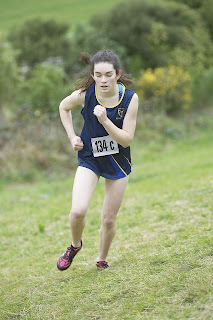 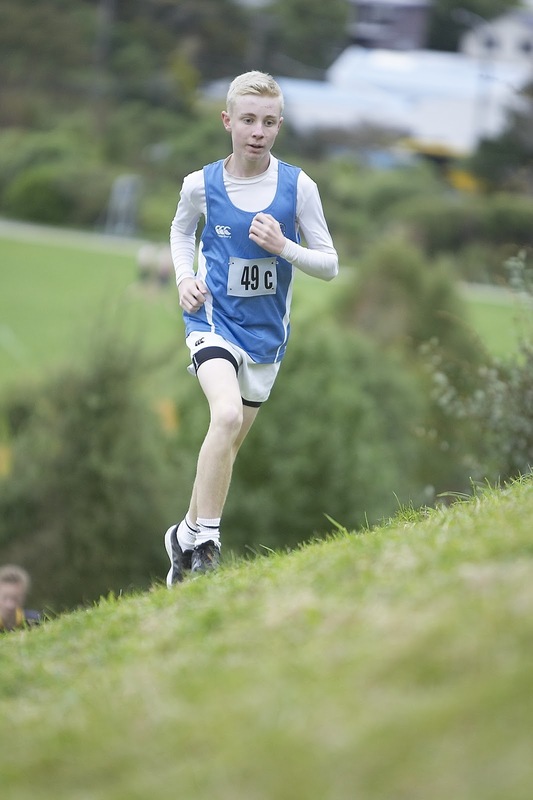 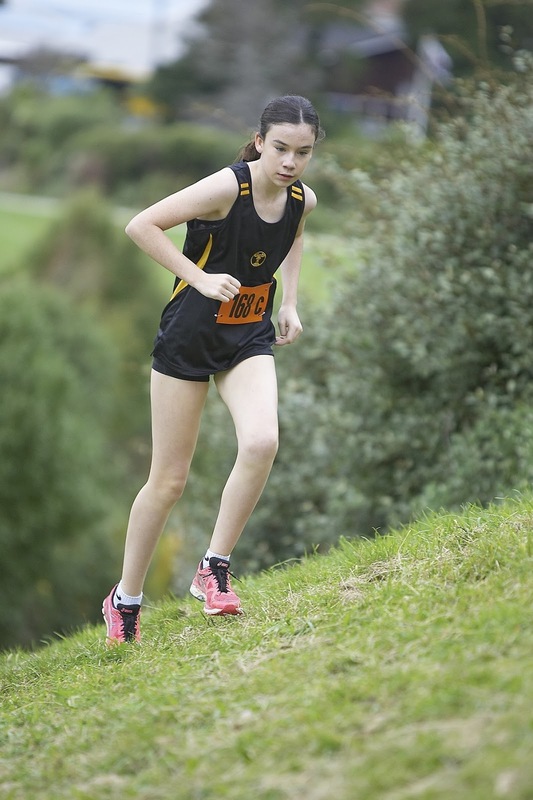 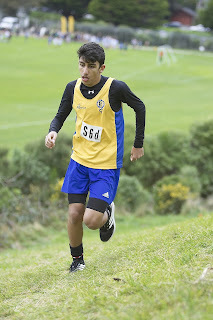 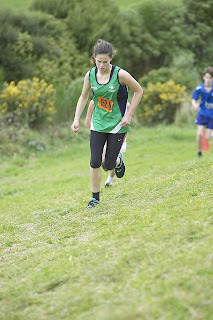 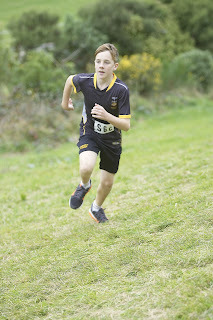 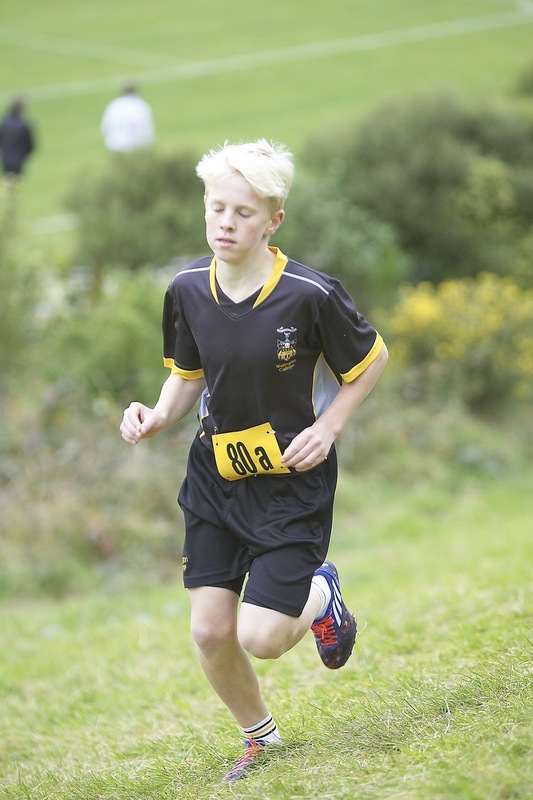 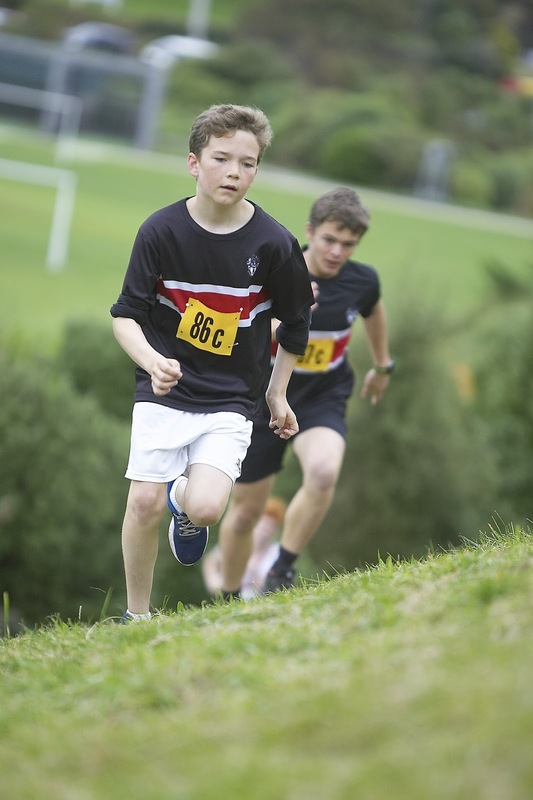 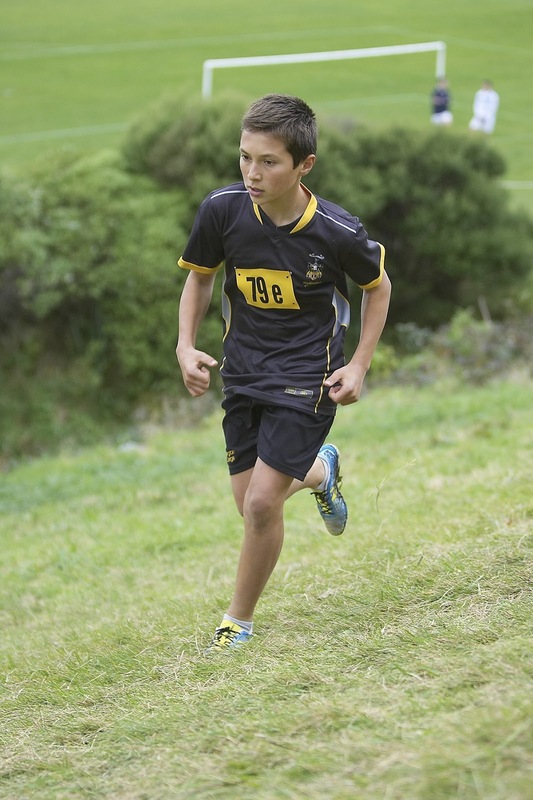 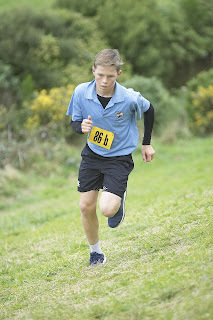 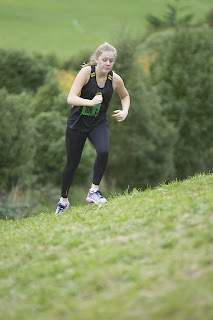 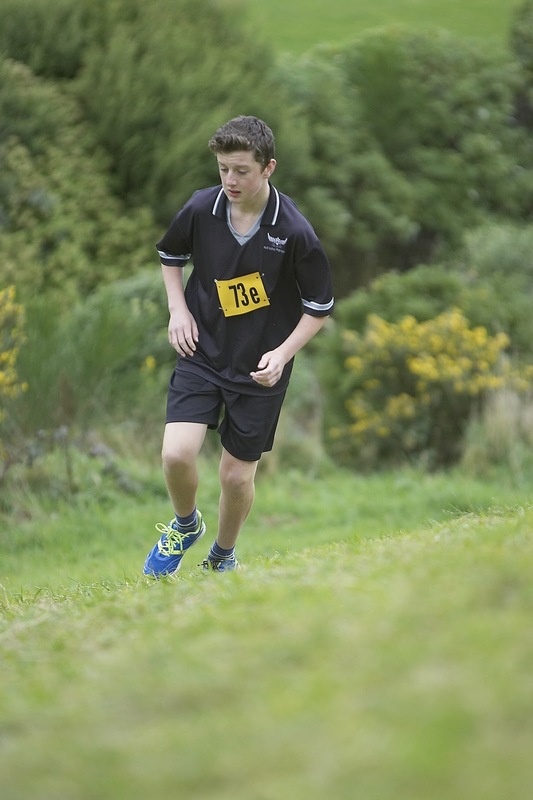 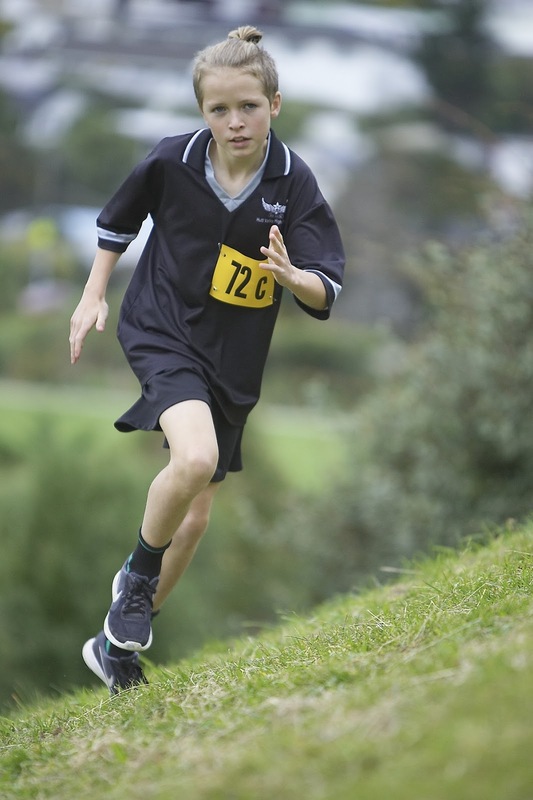 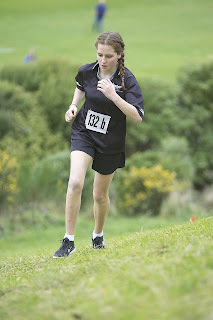 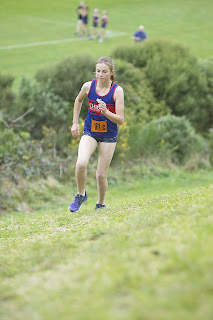 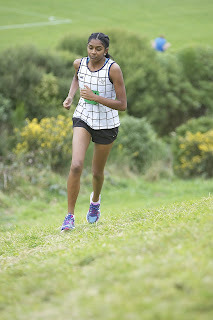 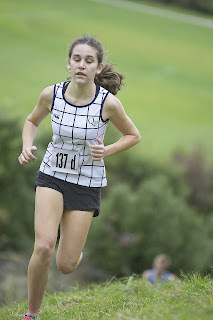 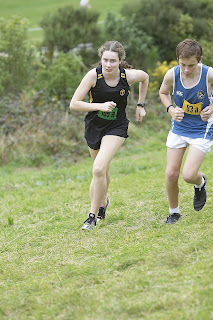 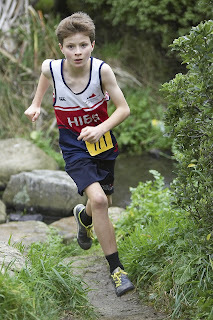 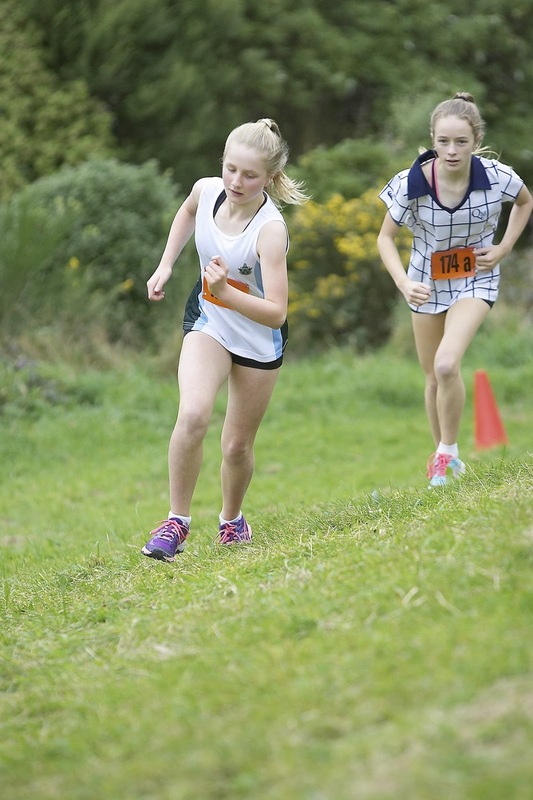 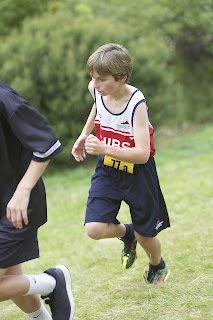 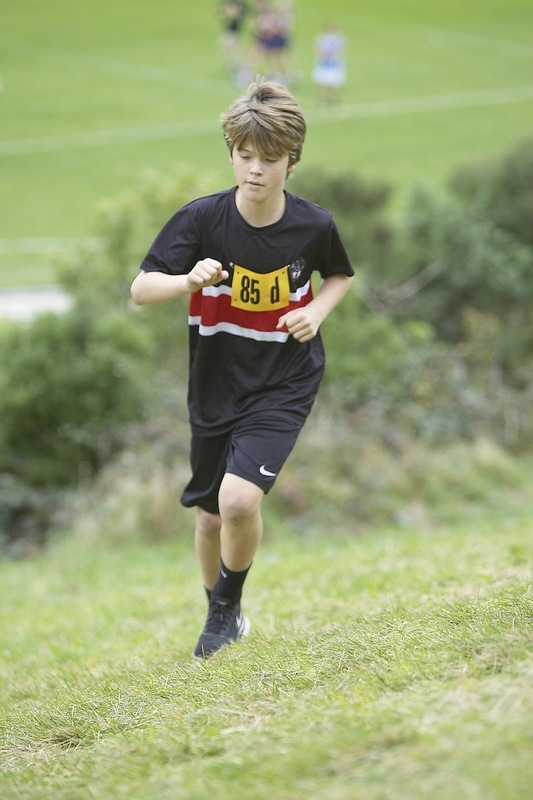 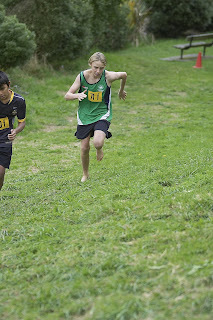 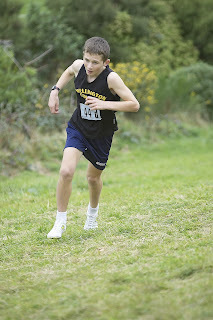 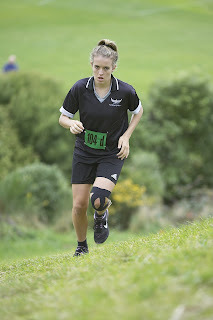 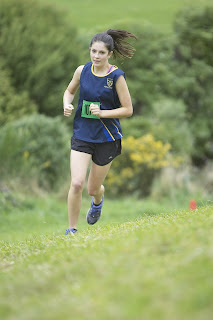 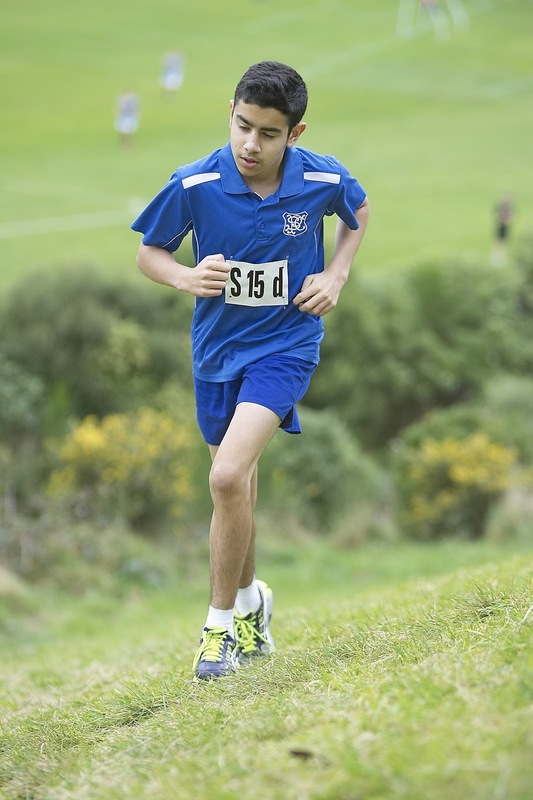 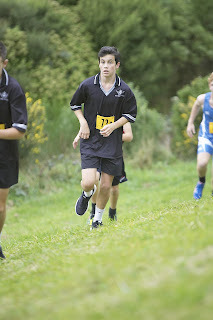 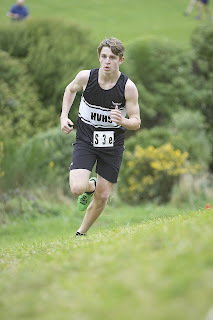 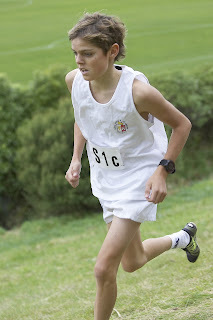 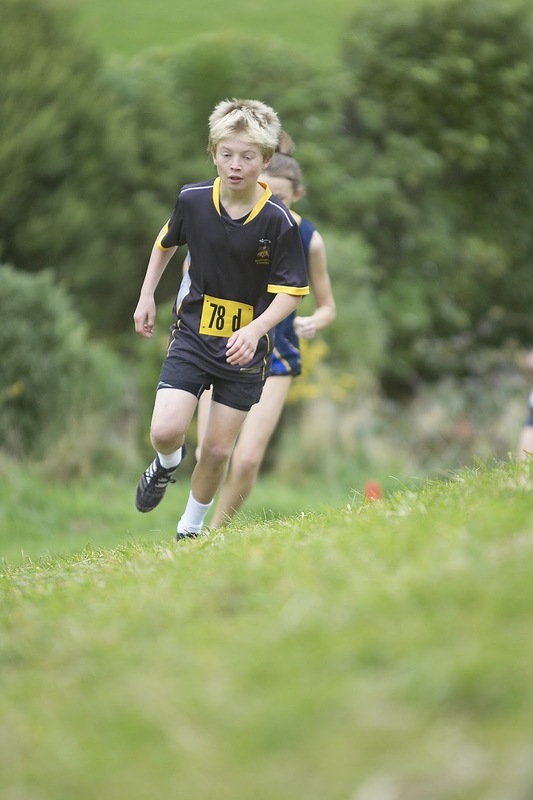 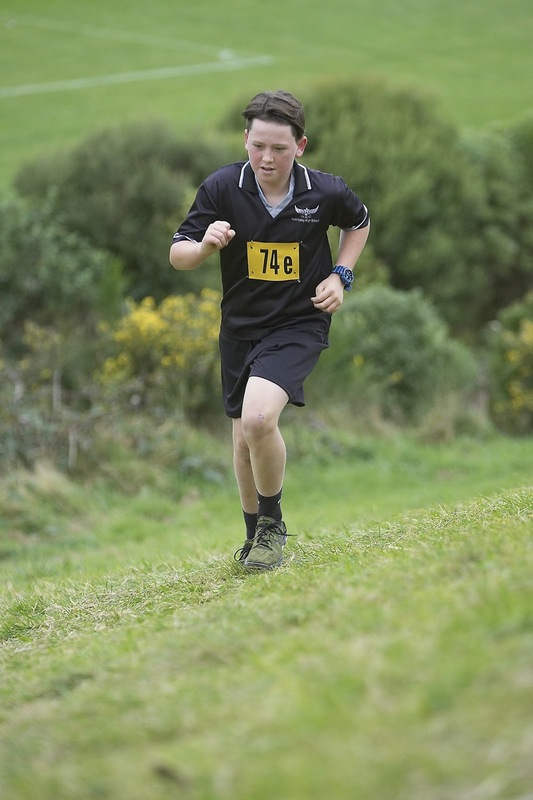 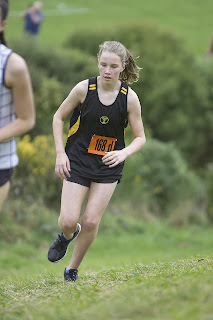 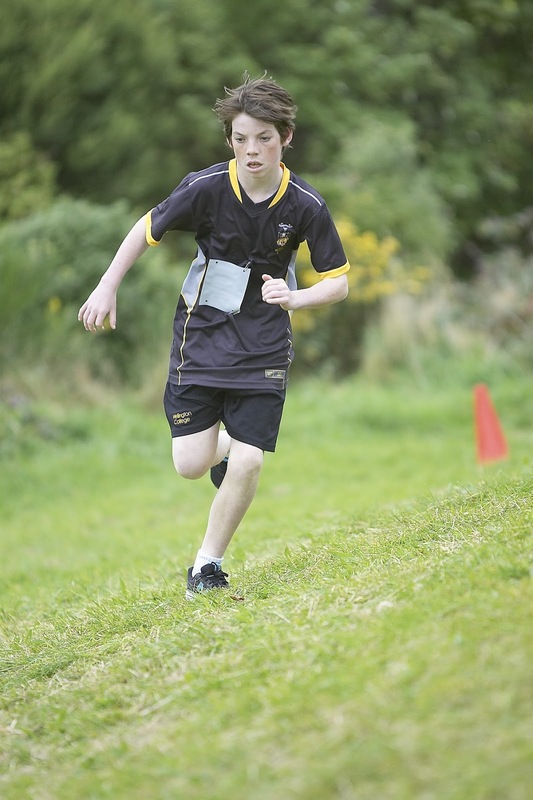 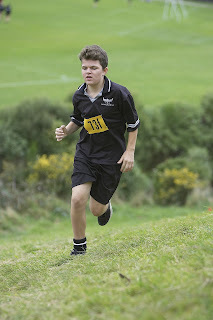 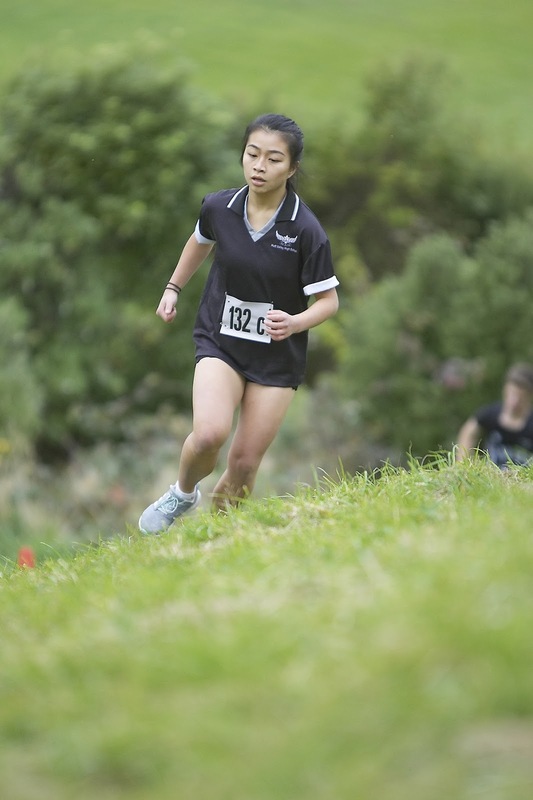 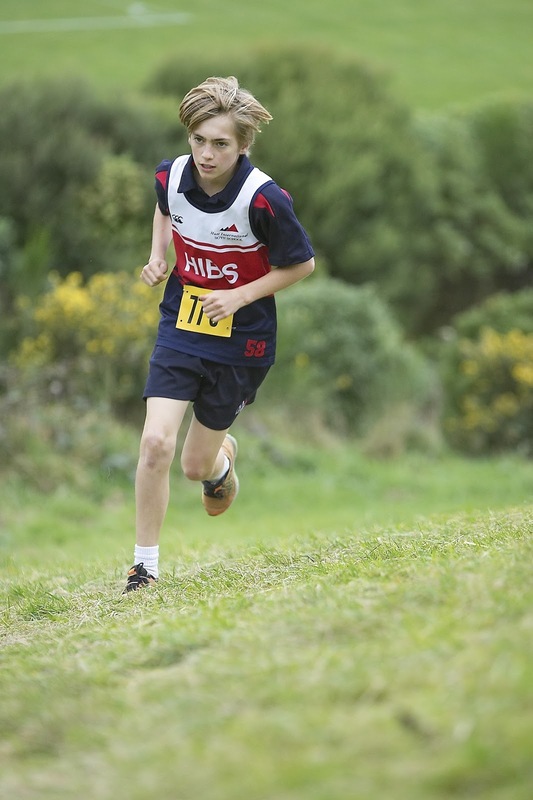 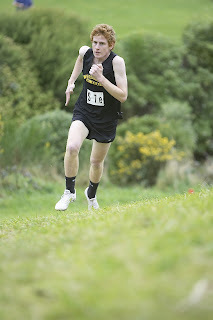 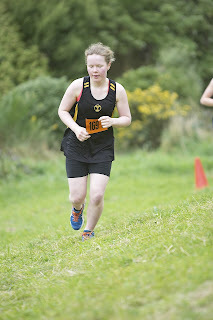 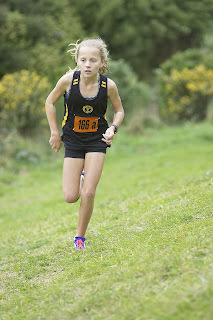 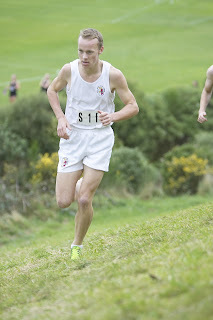 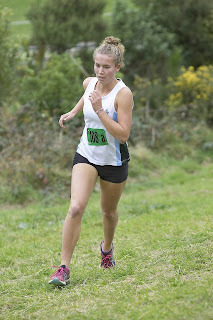 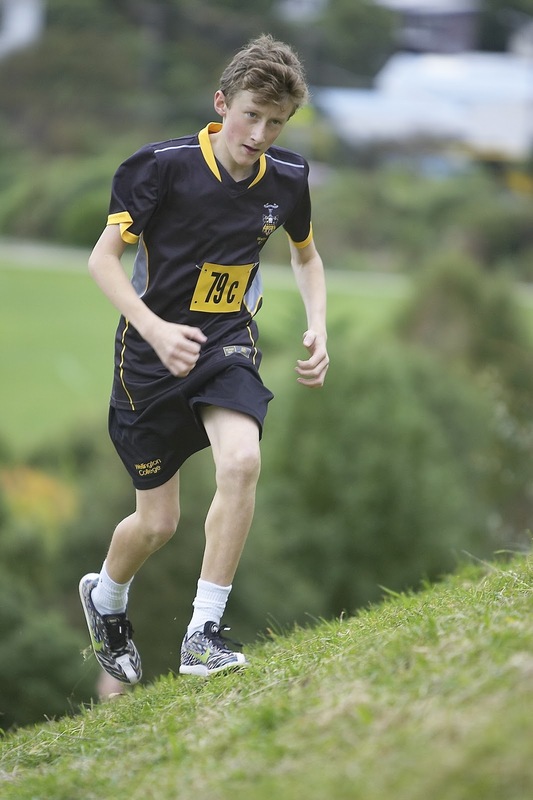 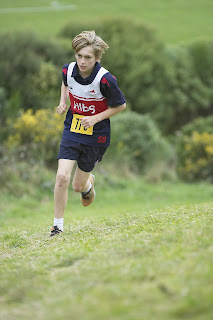 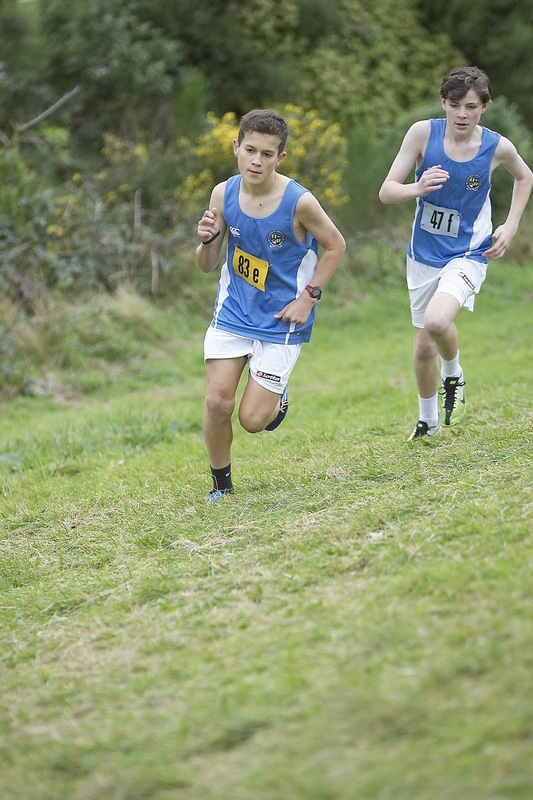 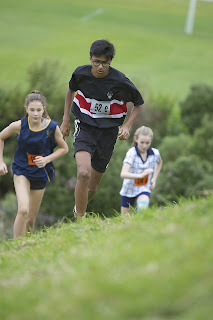 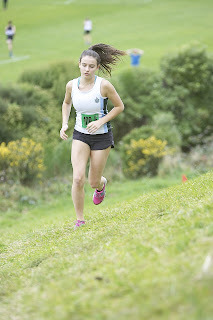 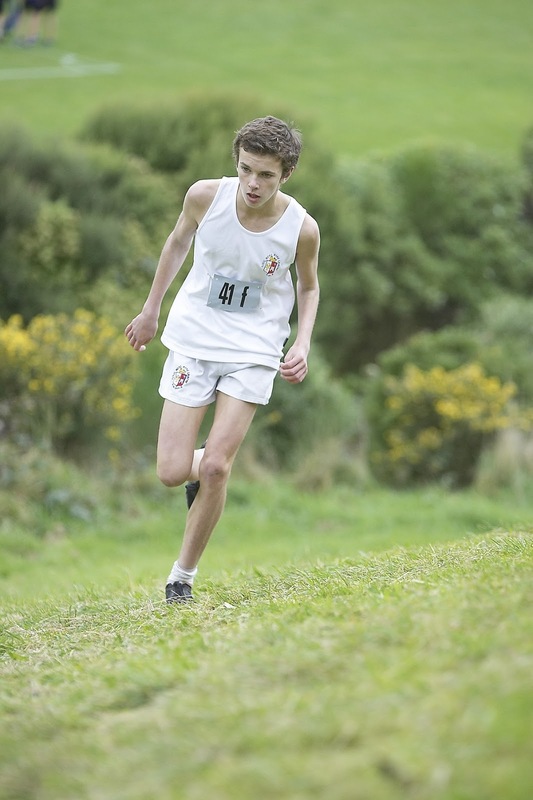 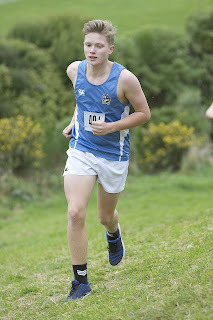 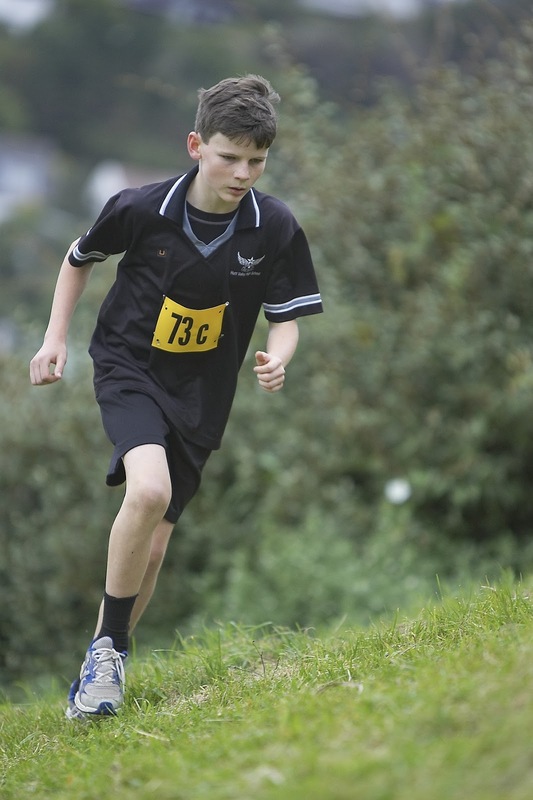 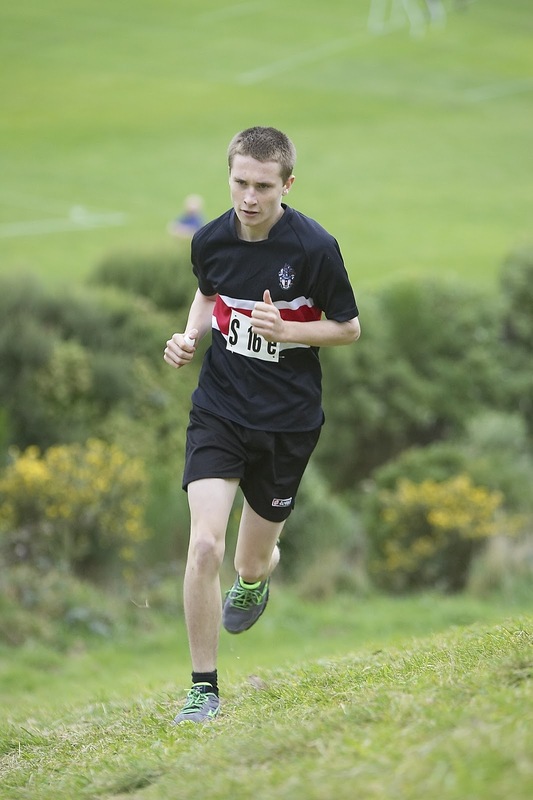 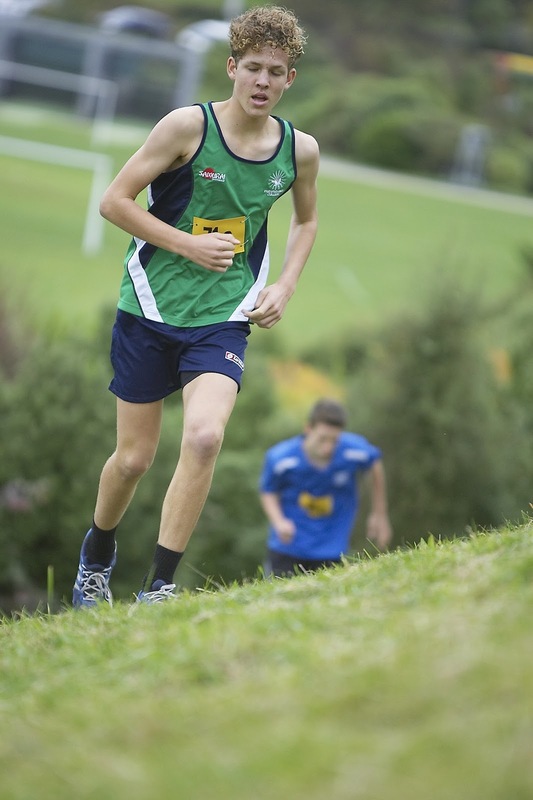 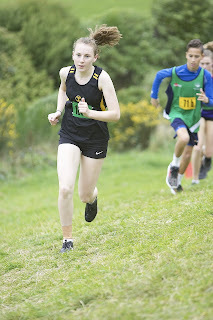 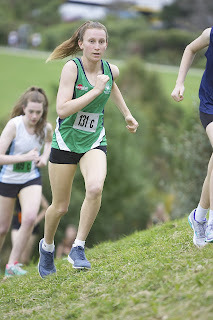 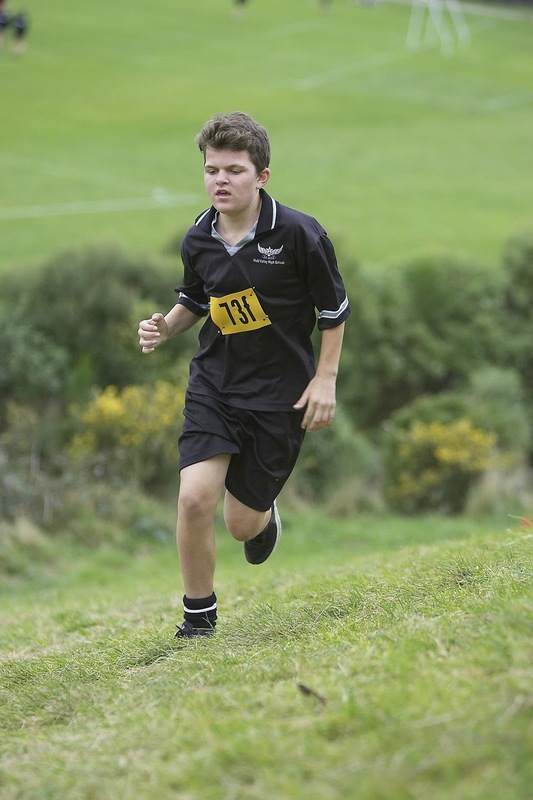 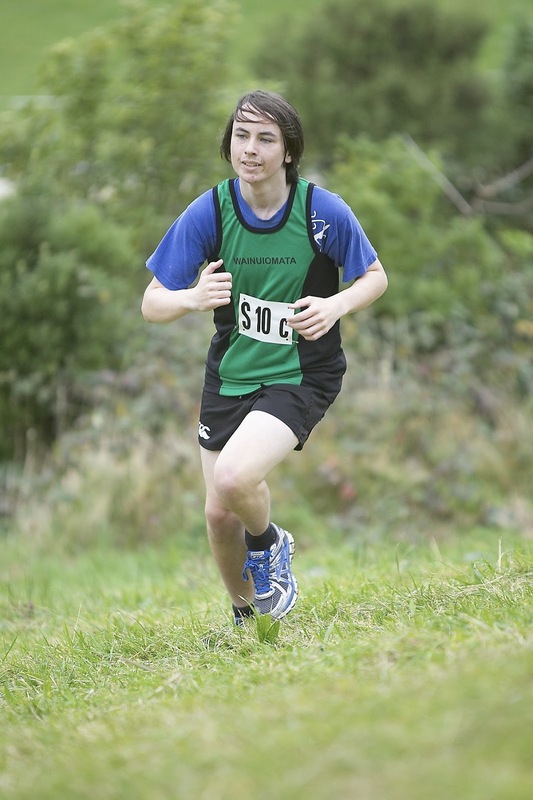 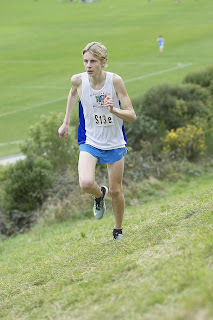 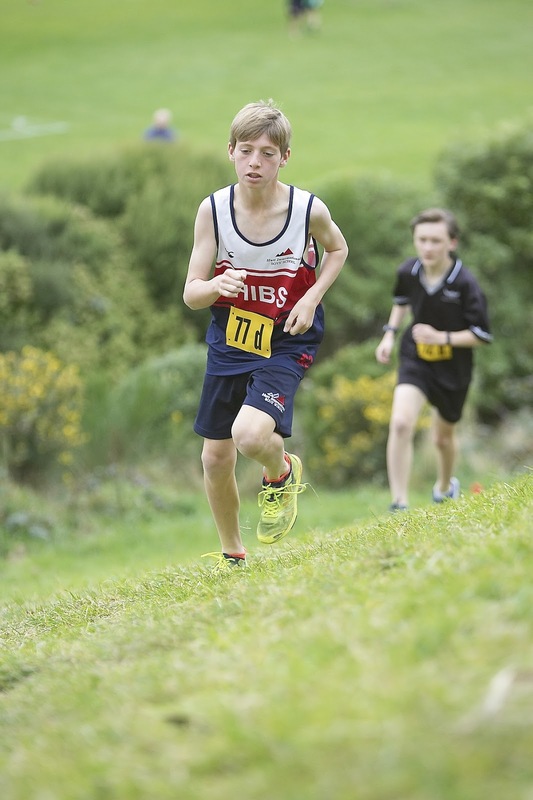 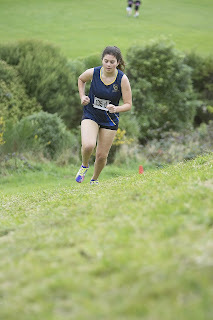 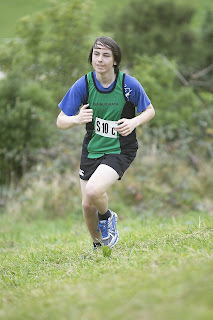 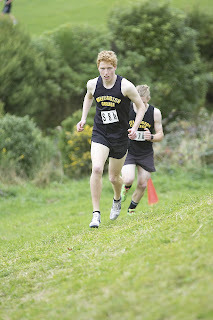 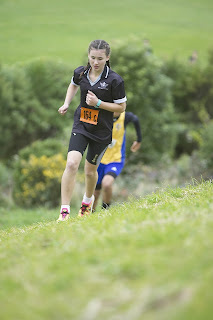 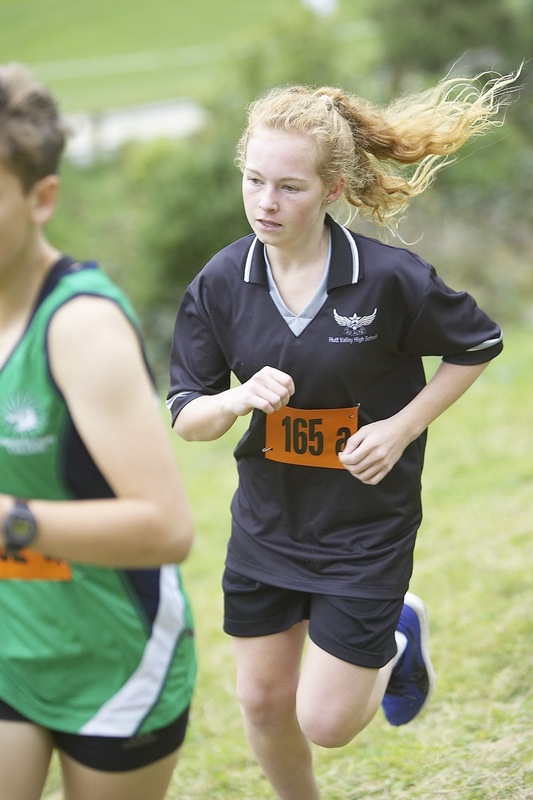 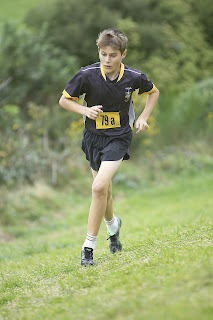 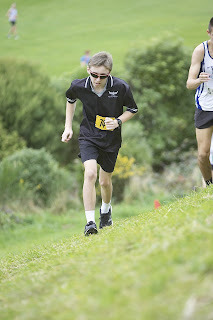 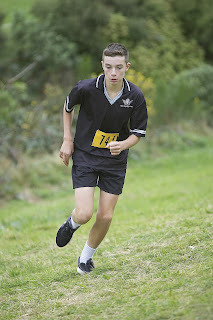 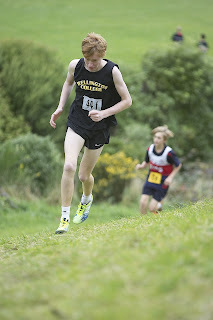 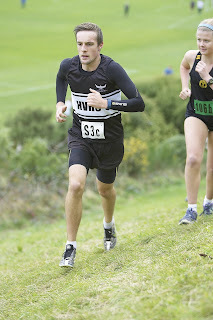 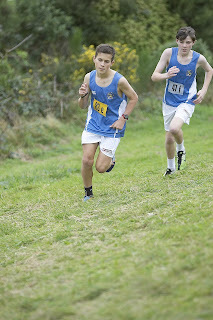 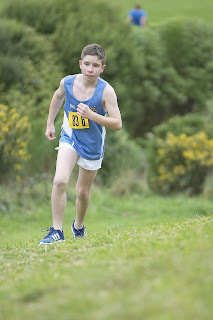 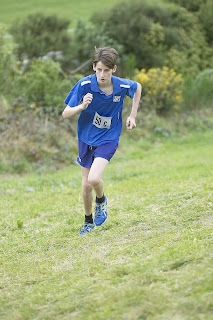 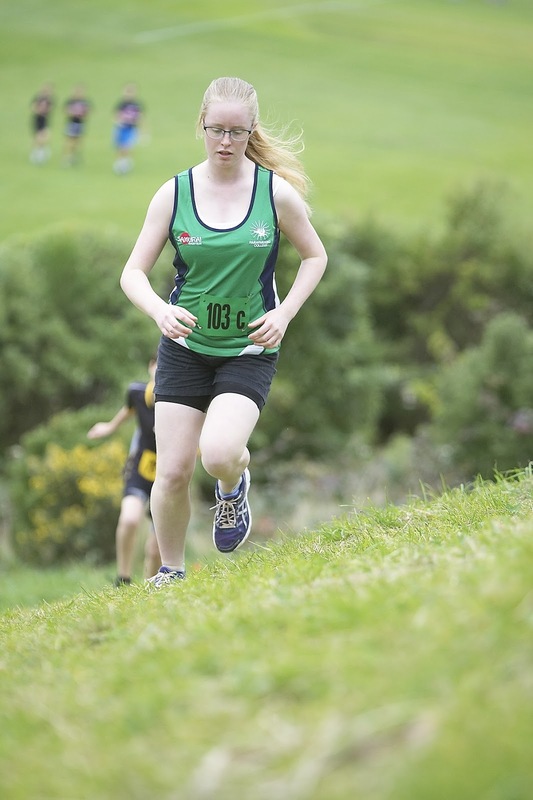 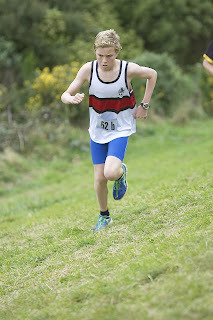 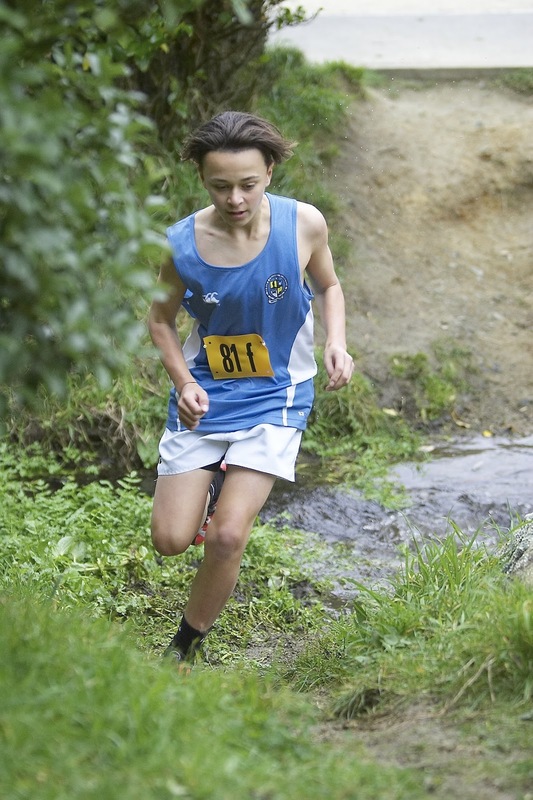 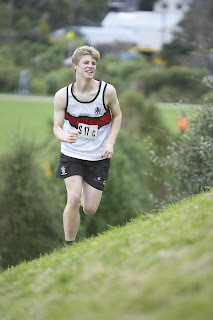 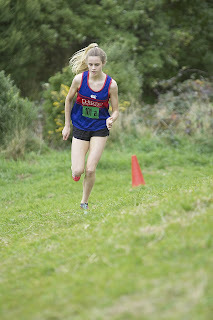 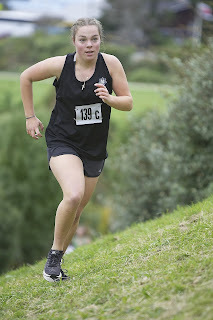 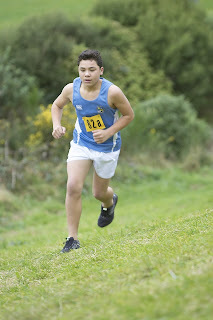 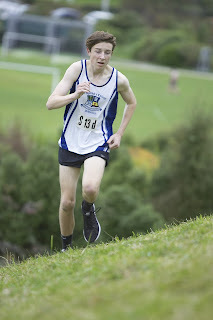 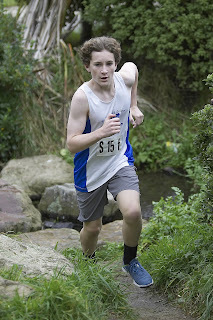 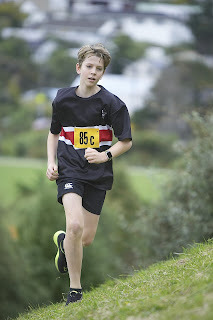 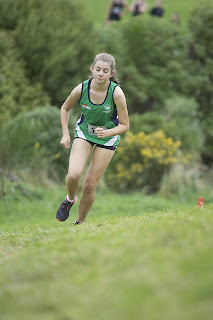 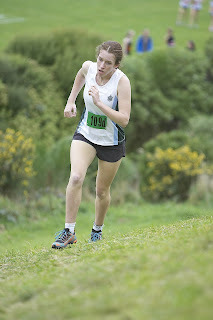 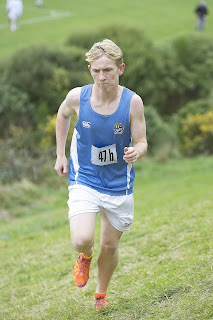 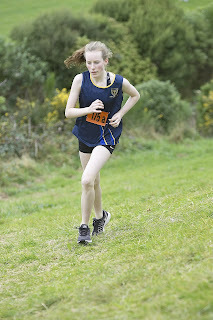 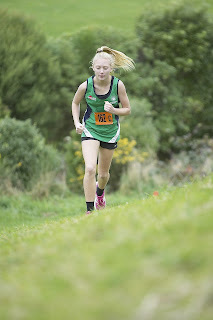 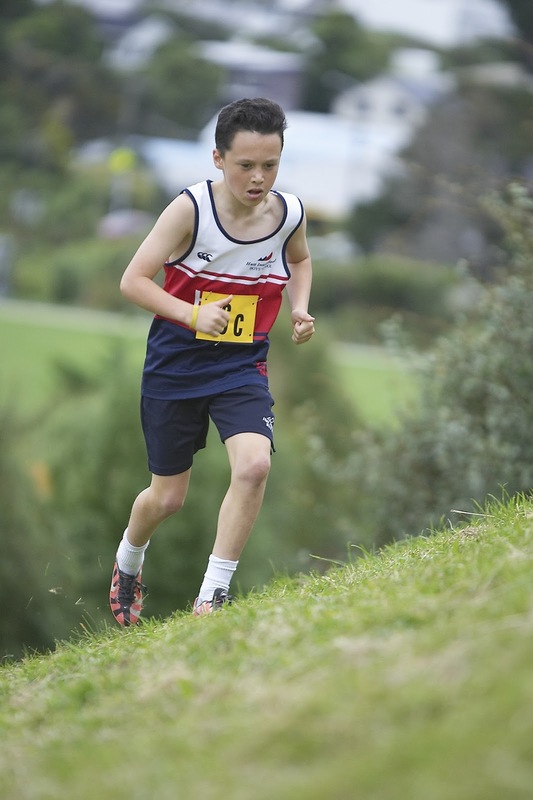 Scratch cross country races to be held at Harcourt Park on 31 May also helps to test racing fitness. 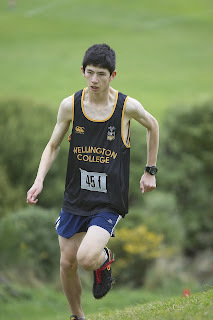 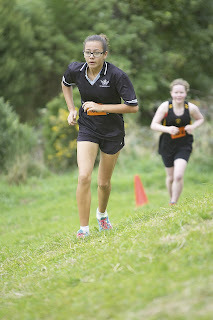 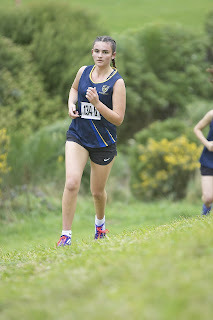 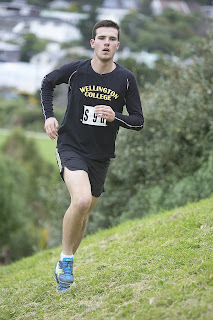 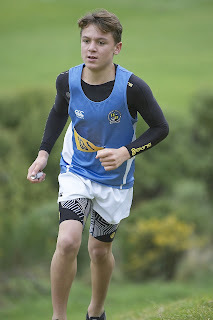 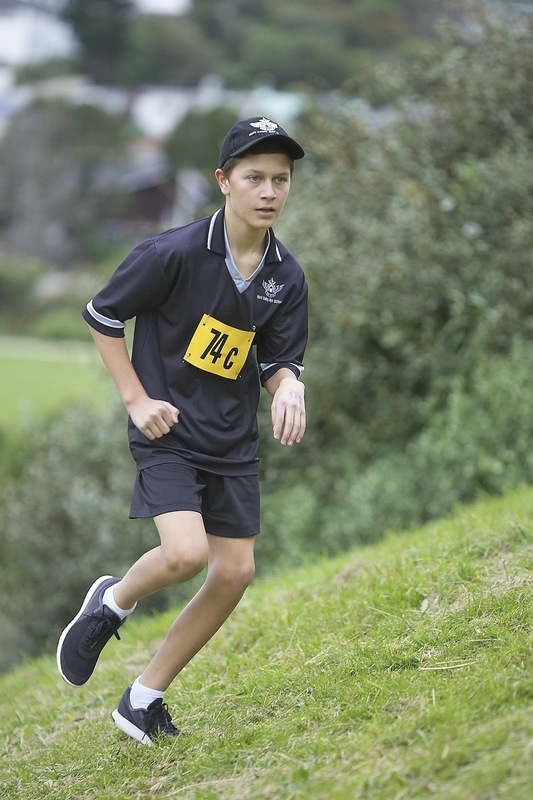 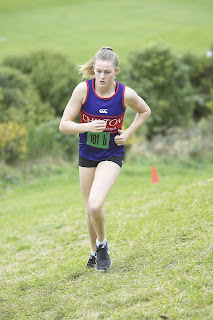 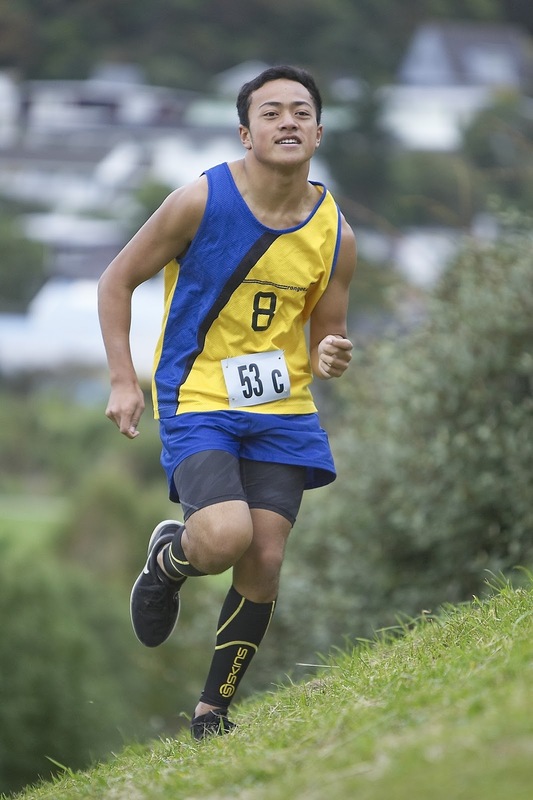 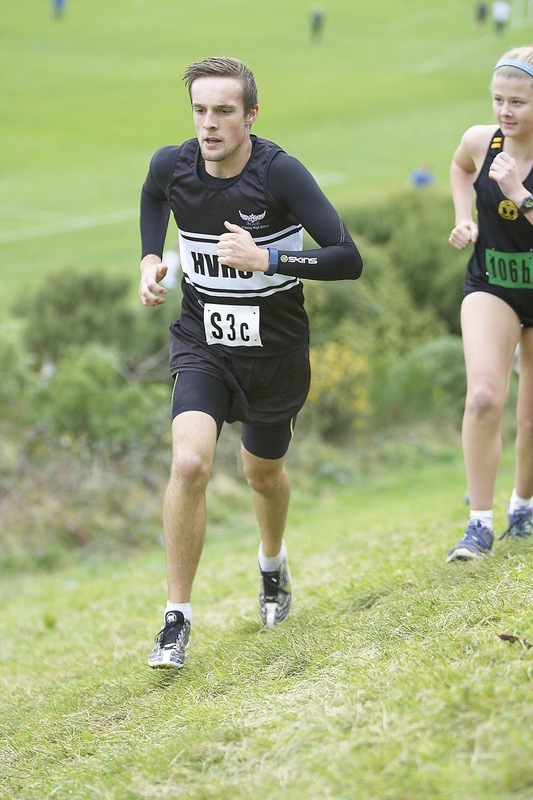 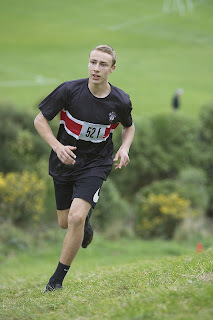 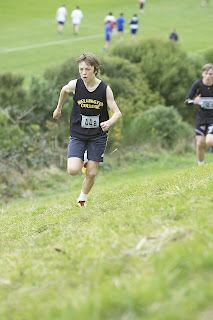 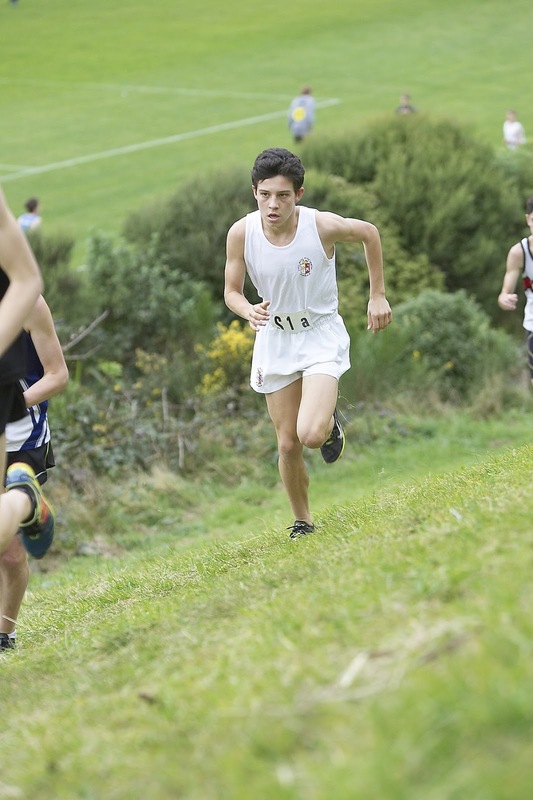 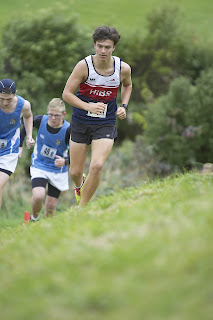 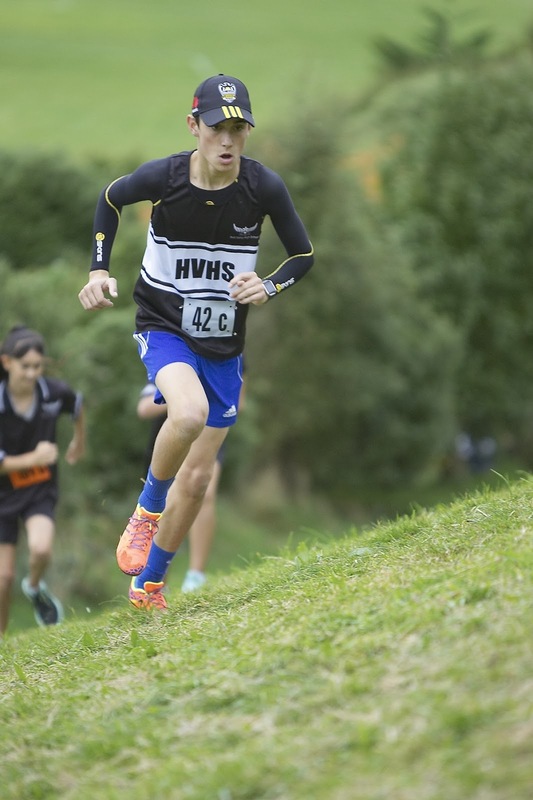 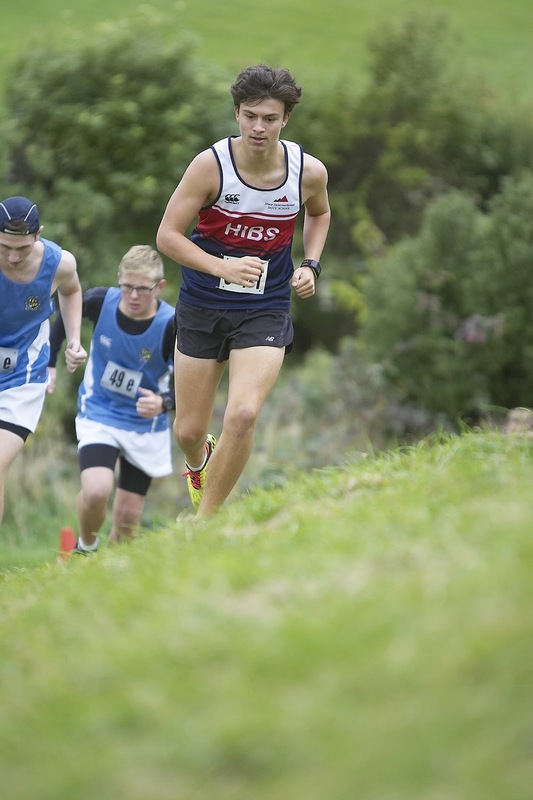 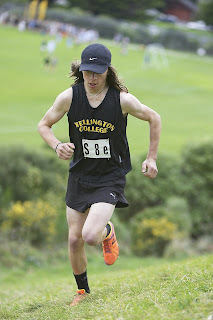 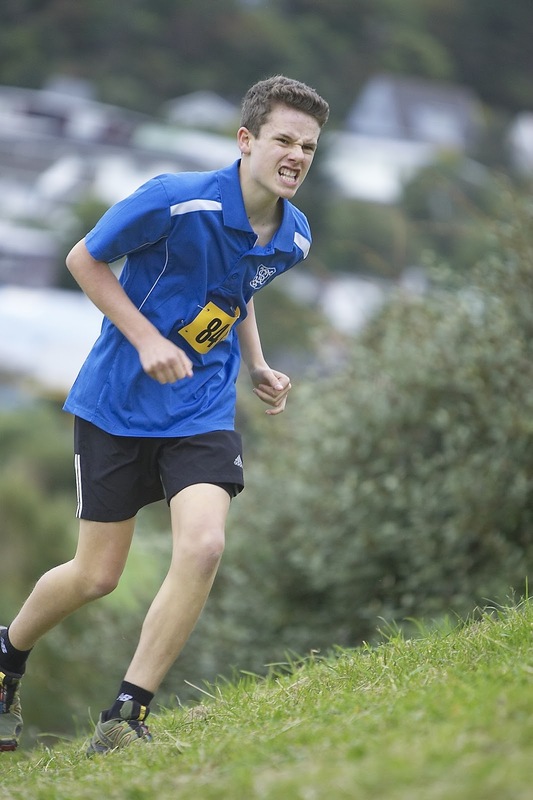 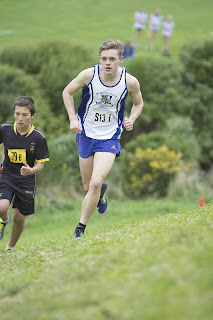 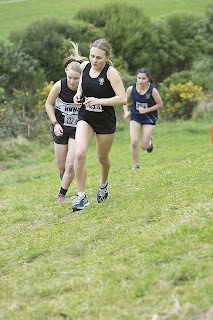 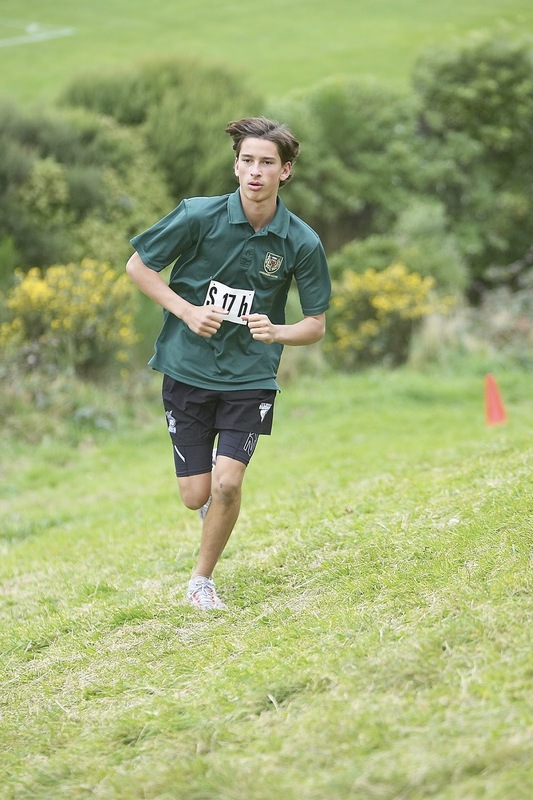 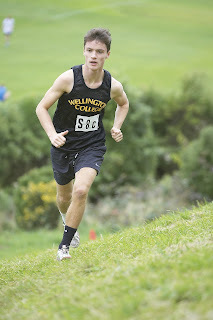 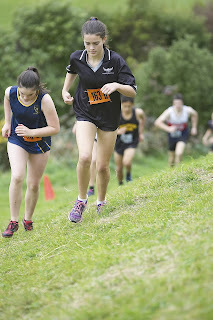 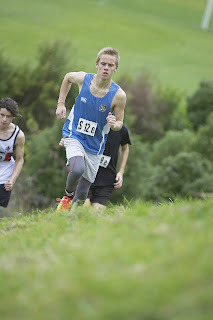 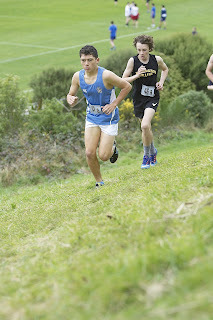 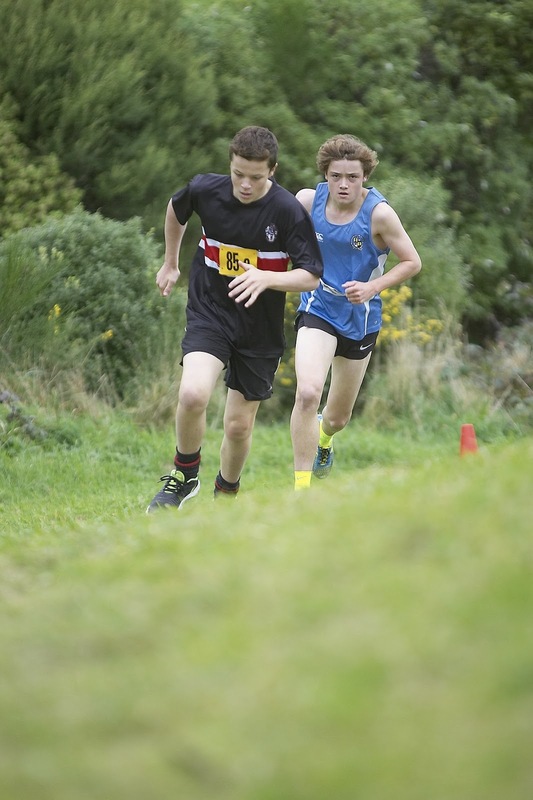 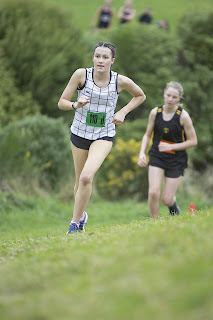 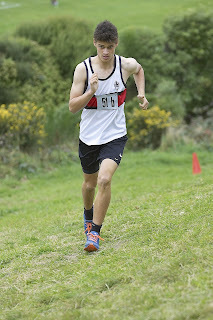 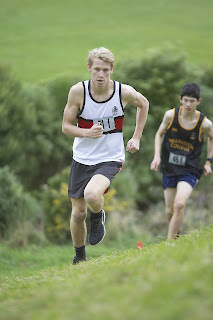 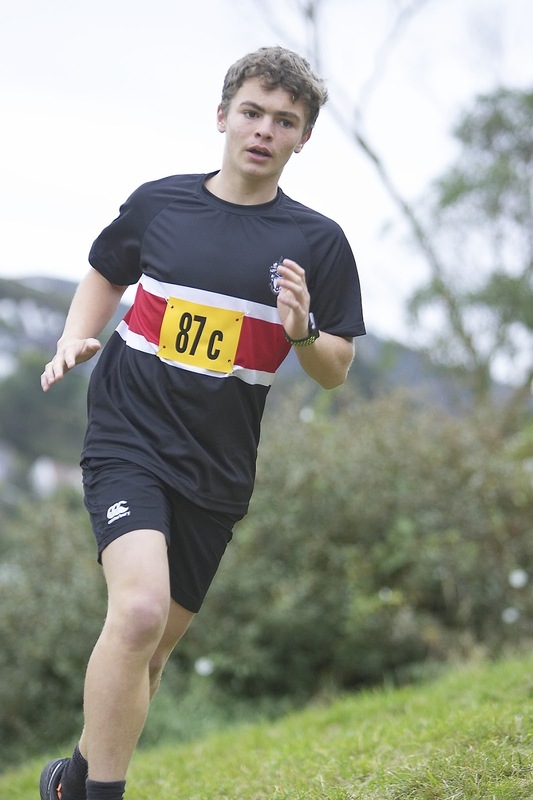 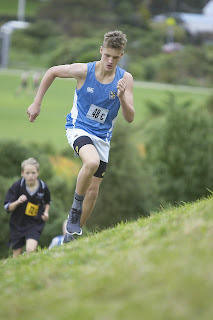 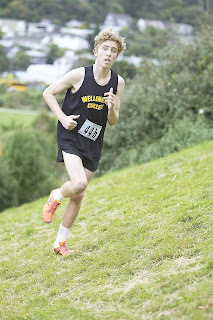 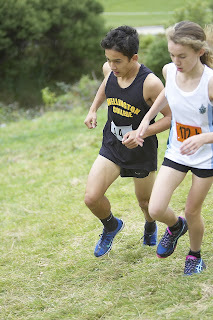 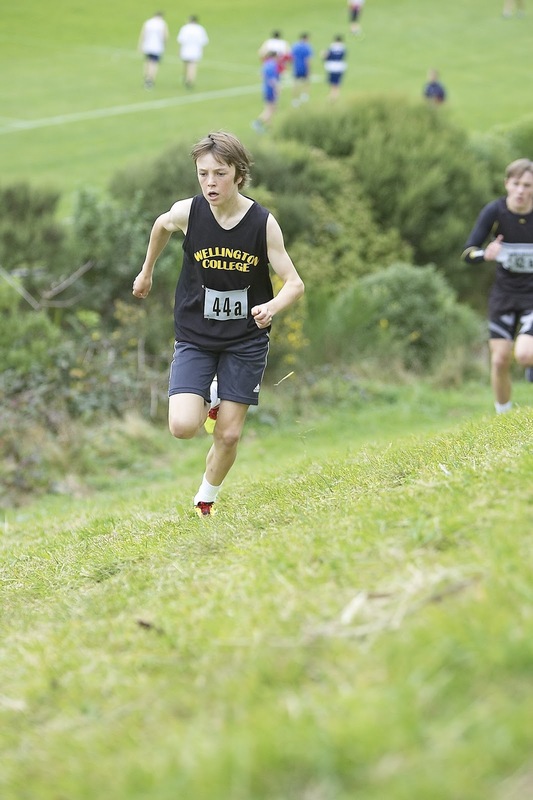 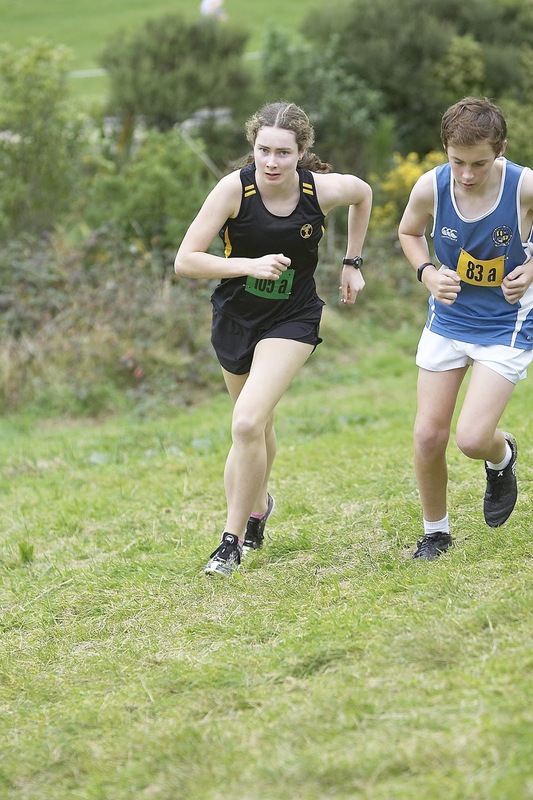 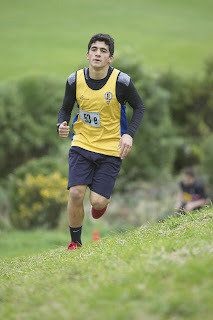 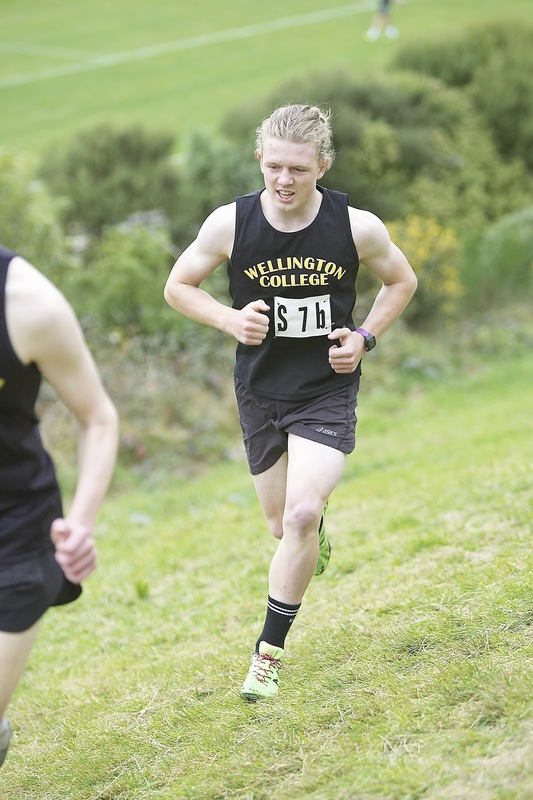 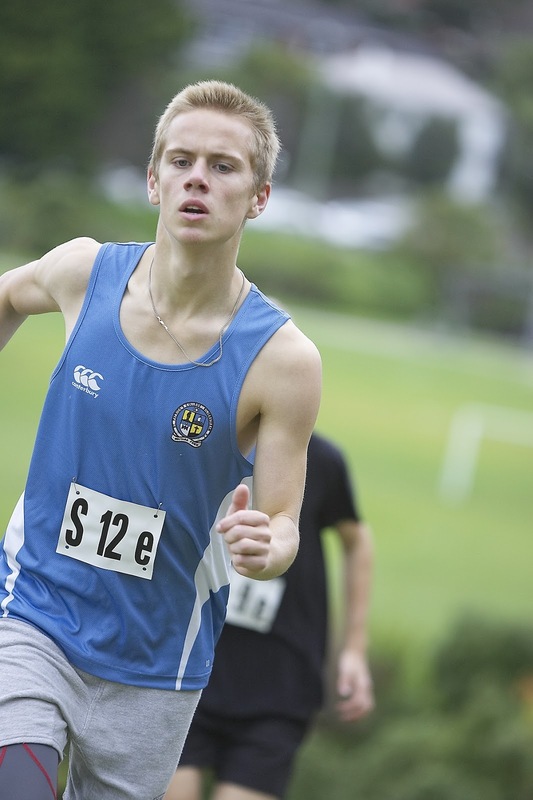 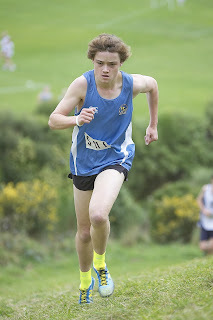 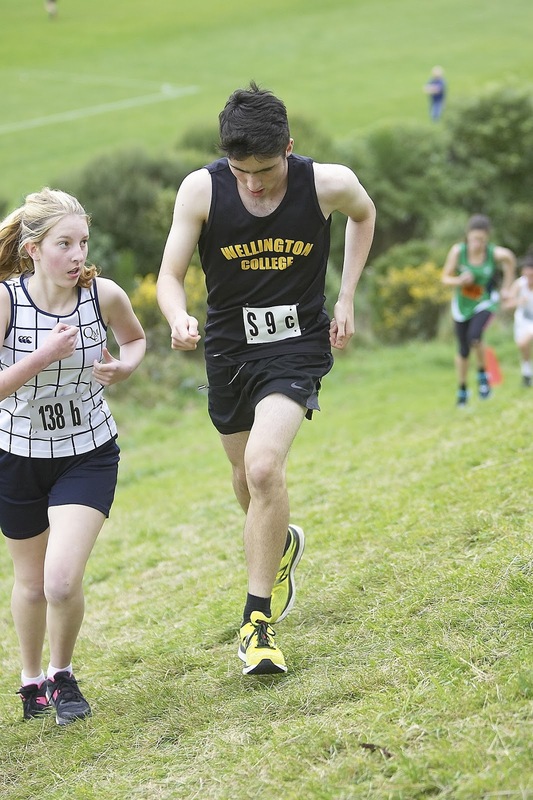 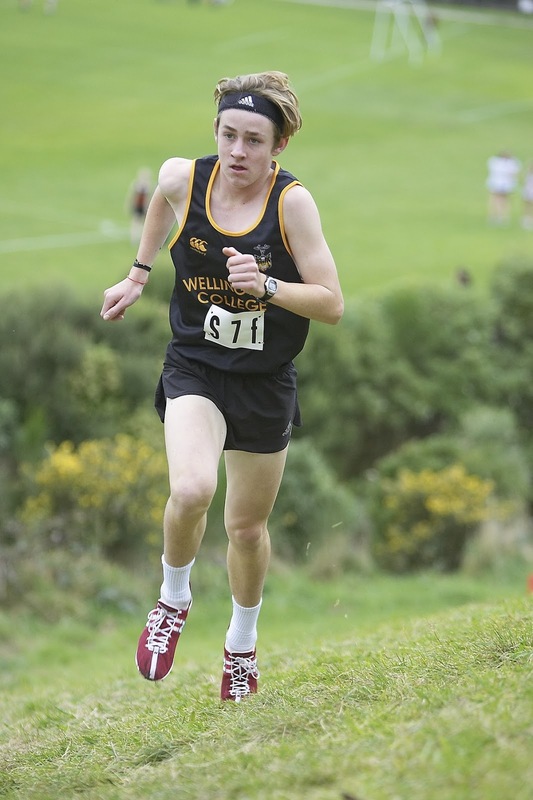 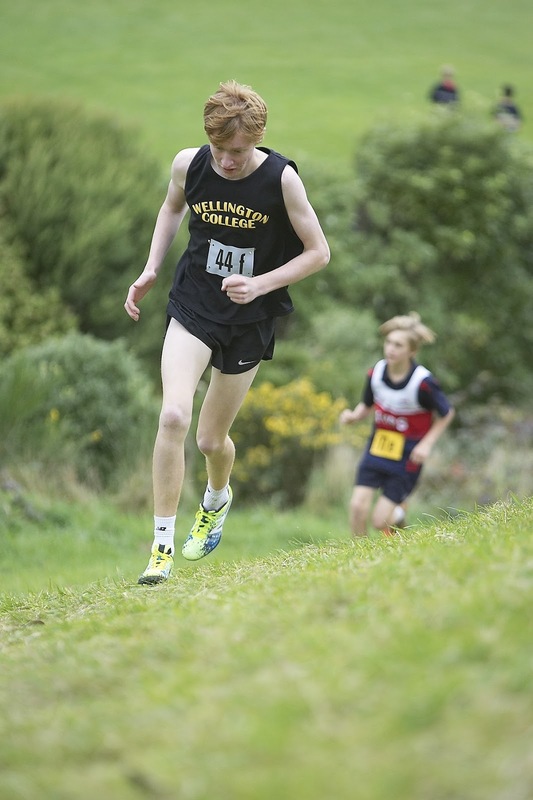 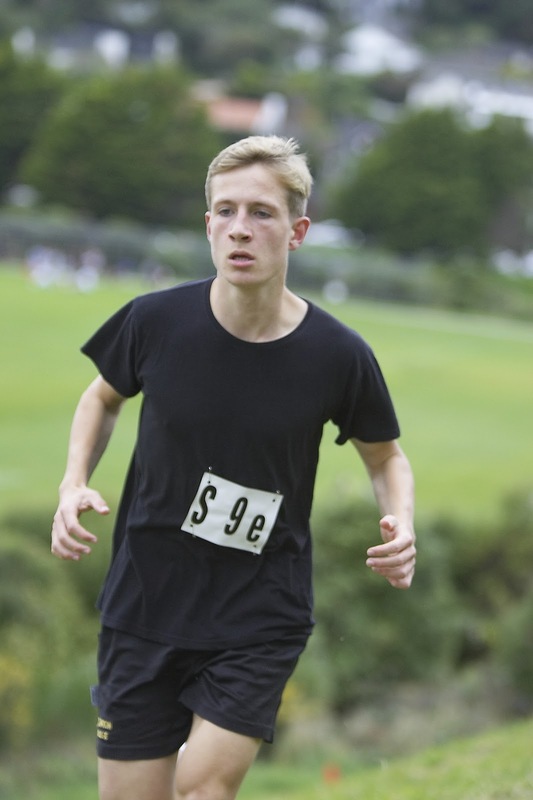 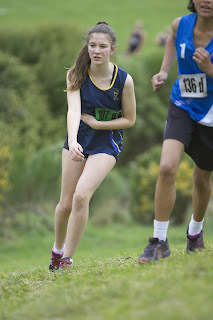 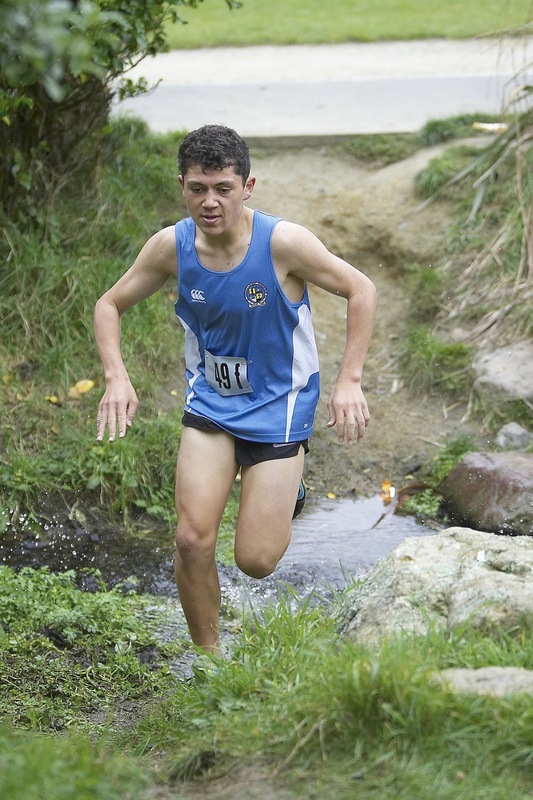 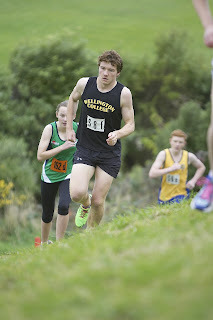 Wanganui Collegiate traditionally come down for the relays but this year they were absent. 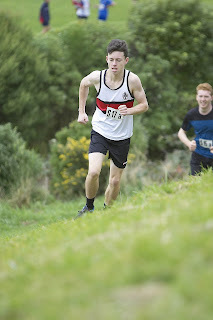 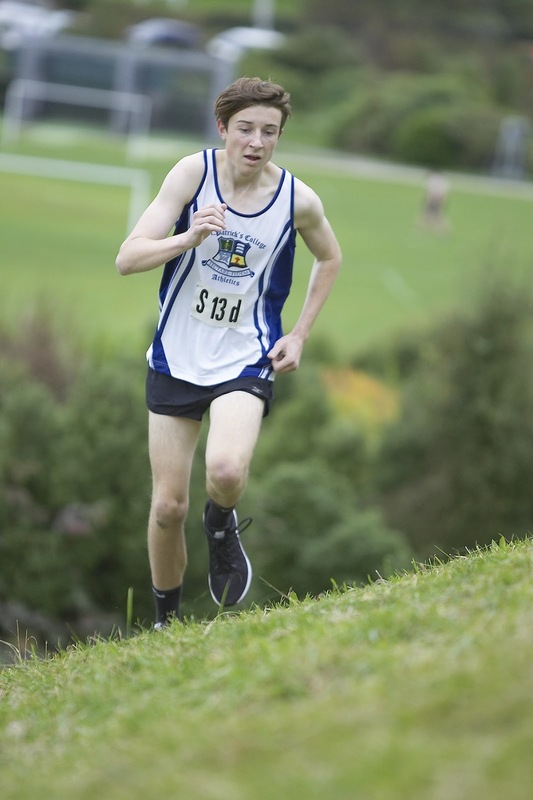 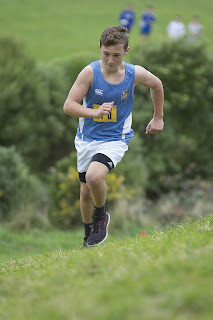 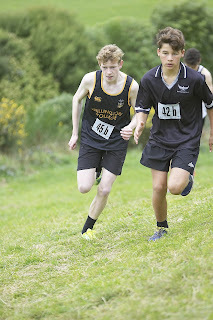 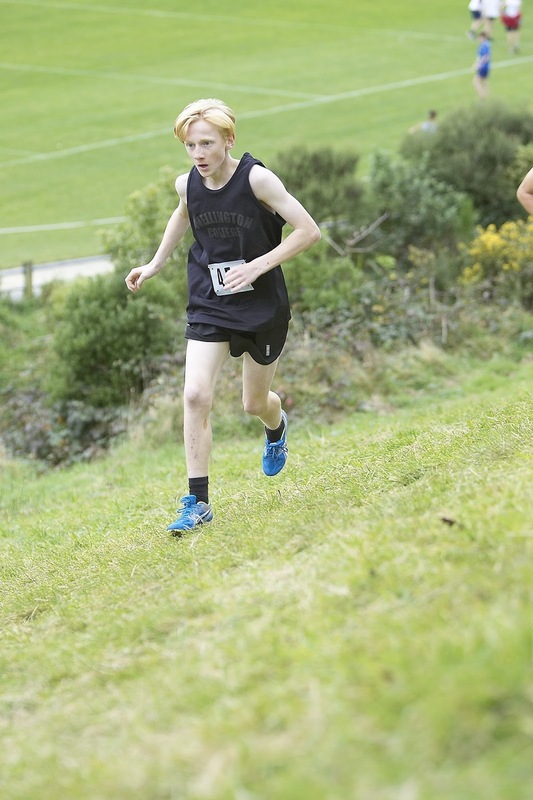 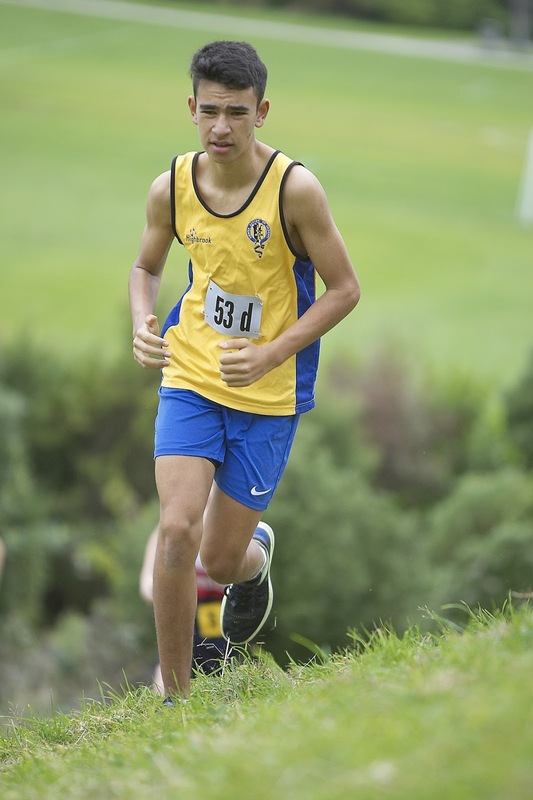 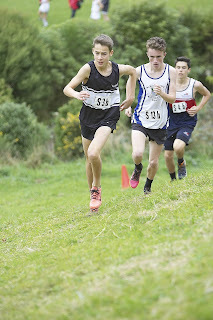 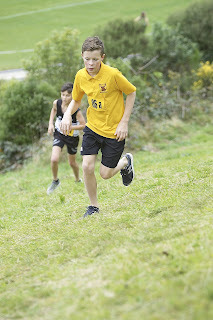 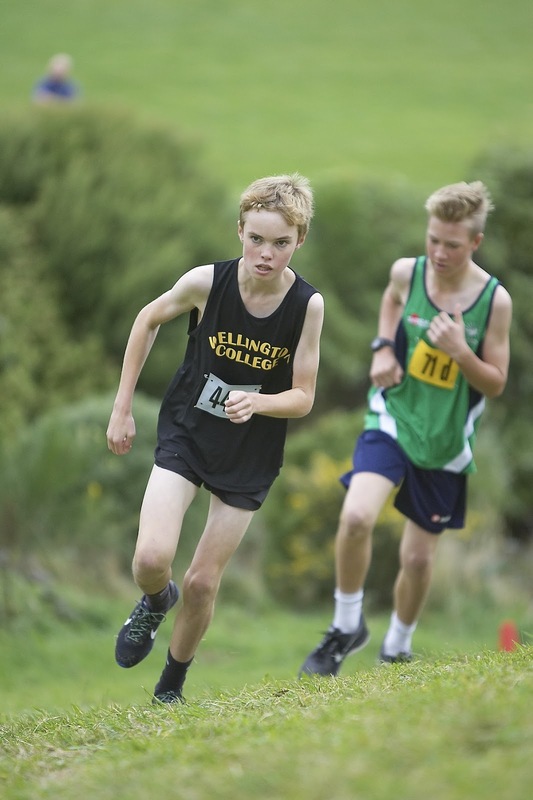 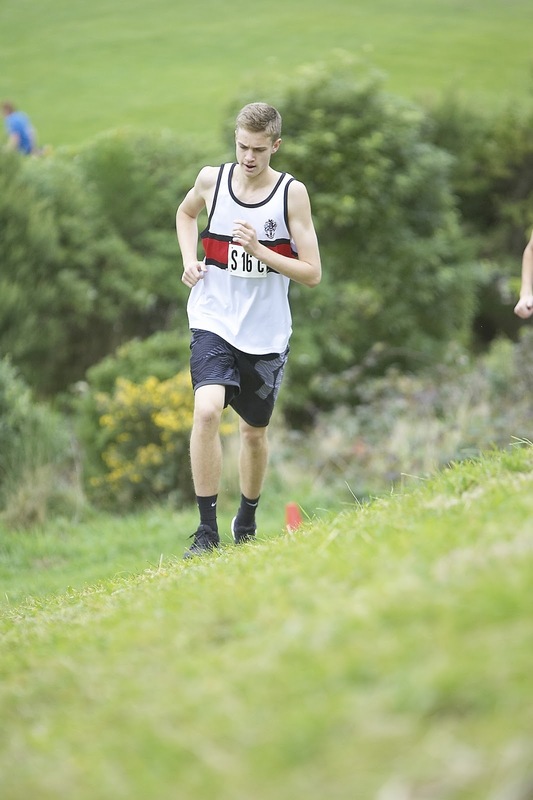 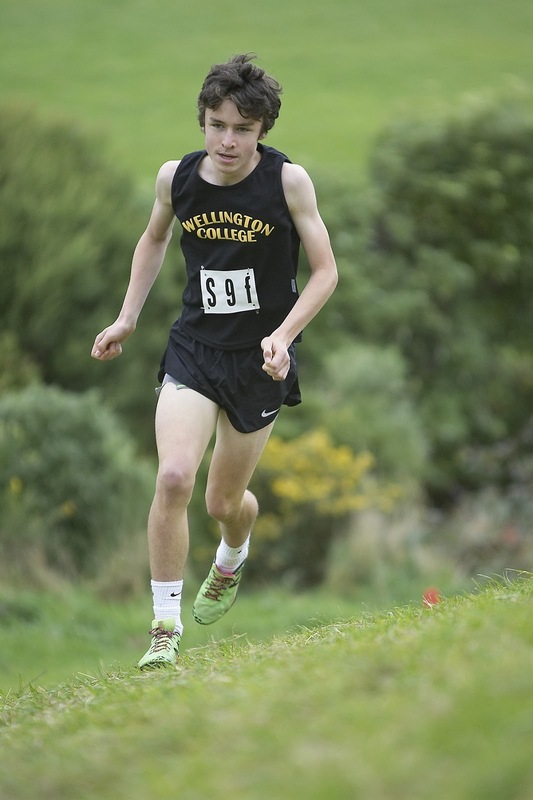 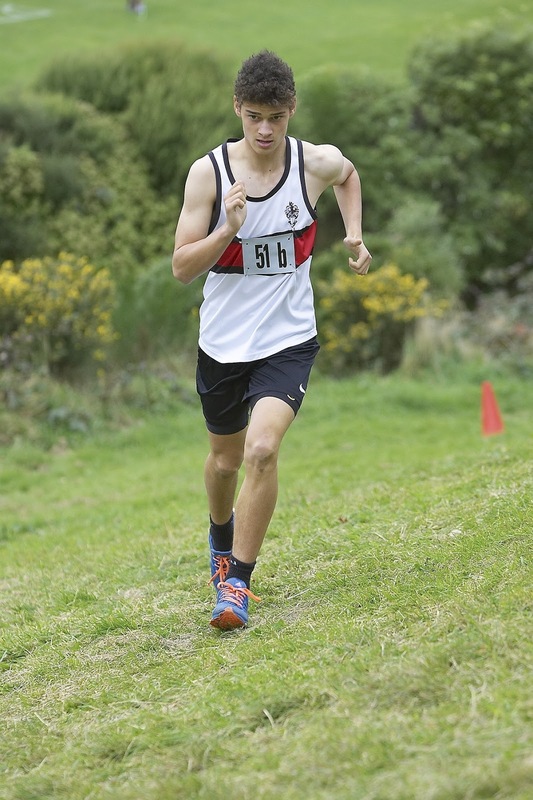 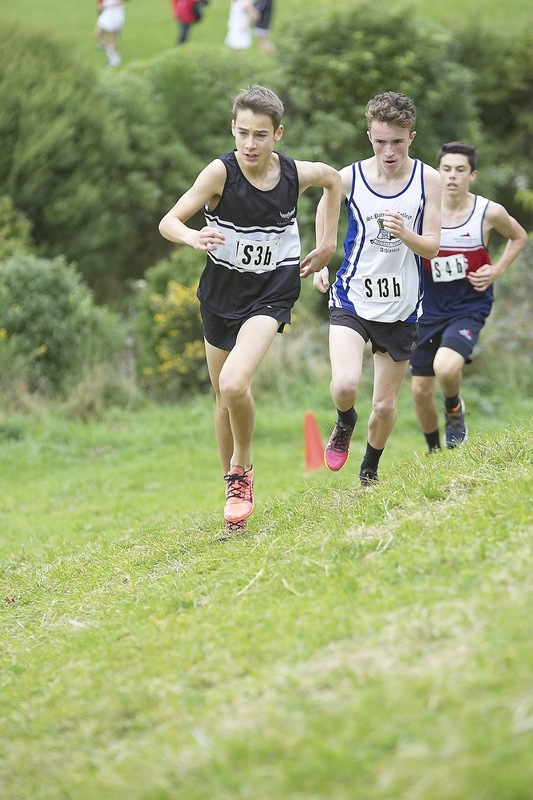 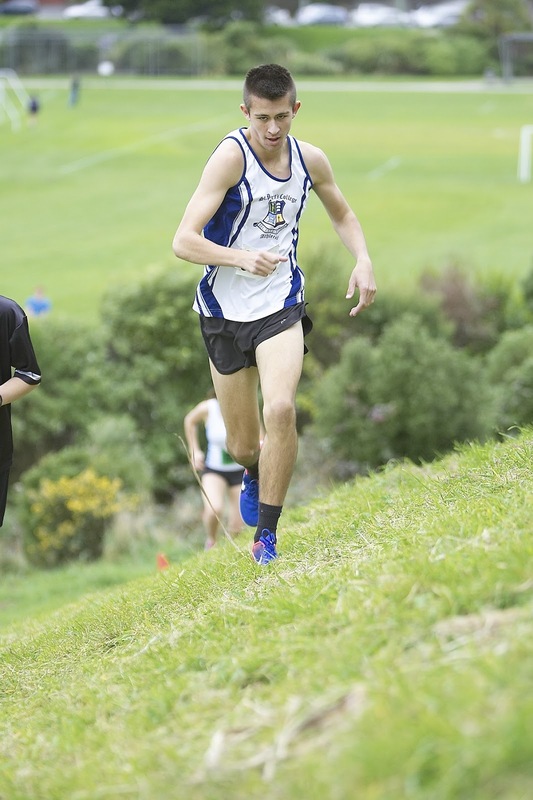 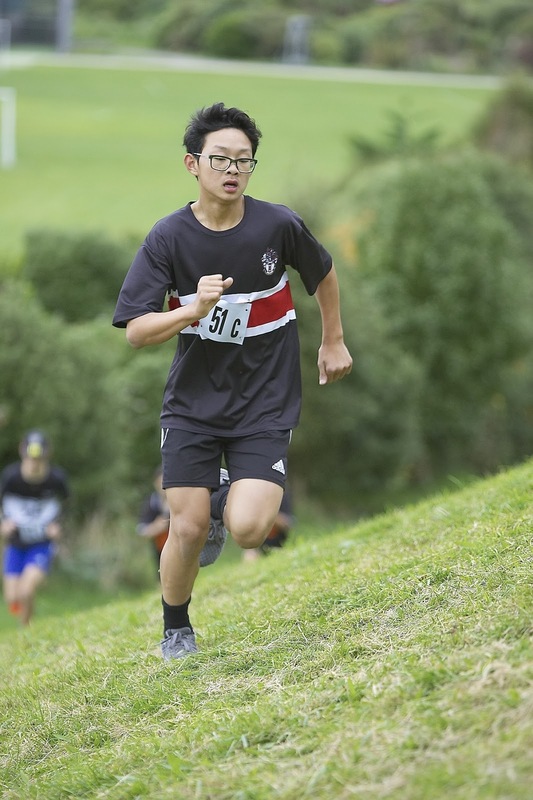 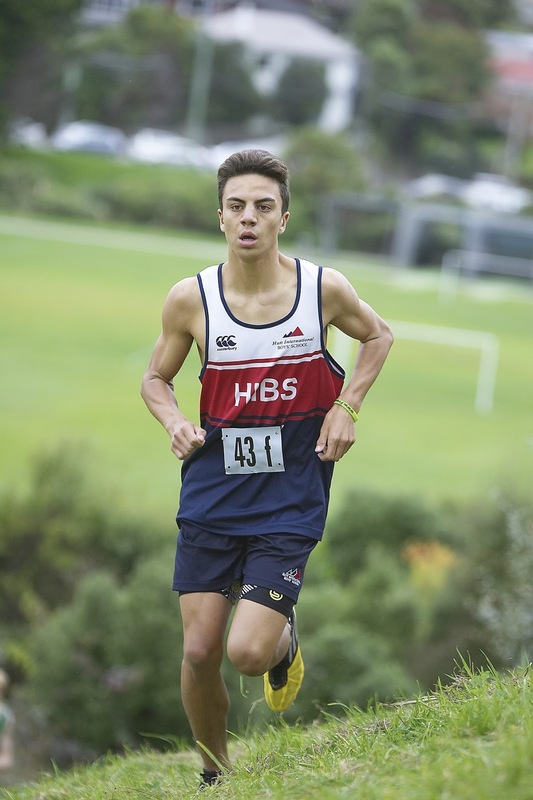 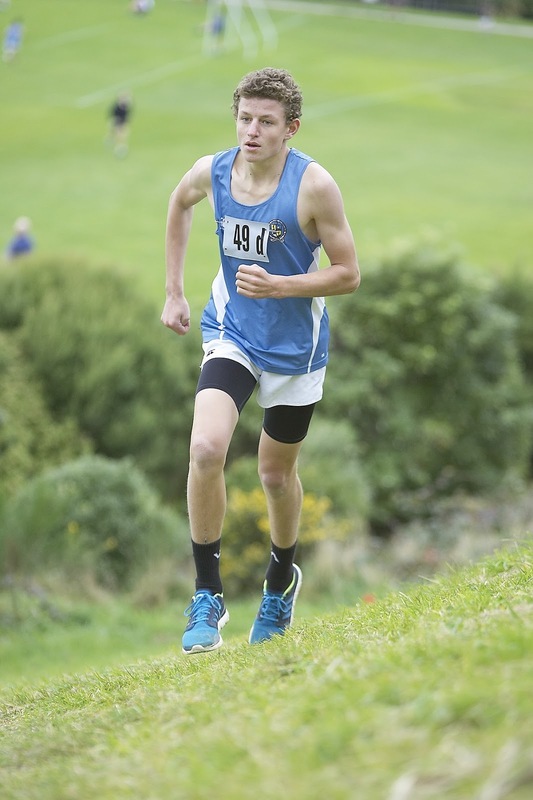 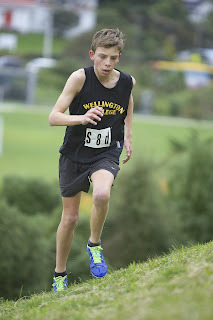 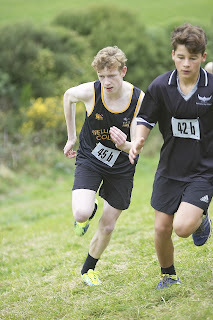 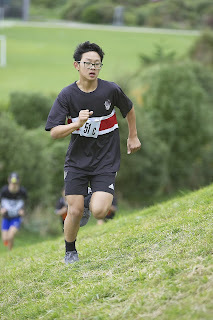 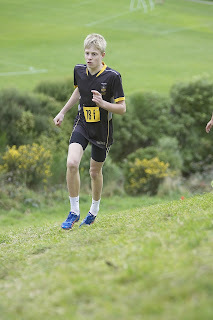 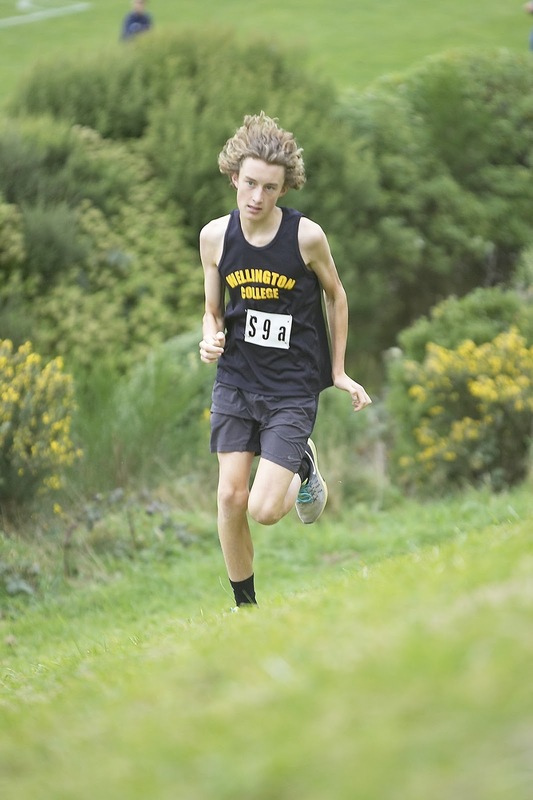 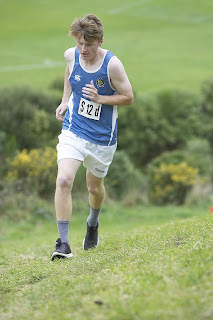 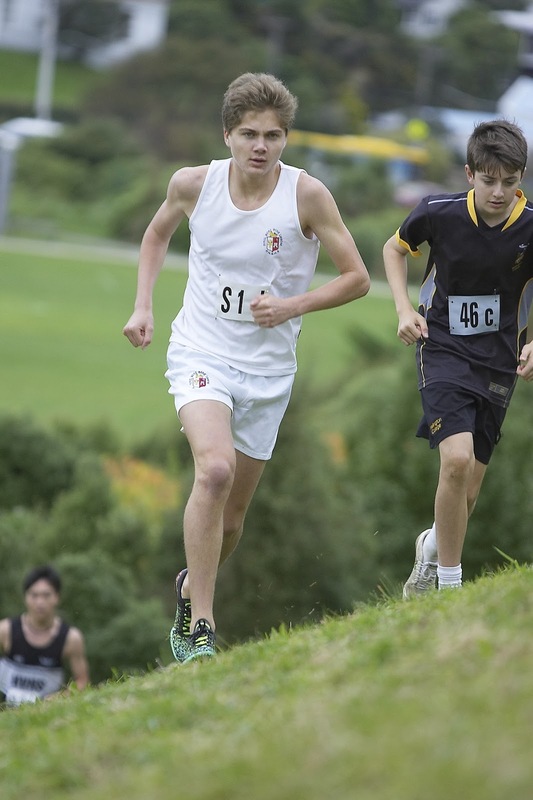 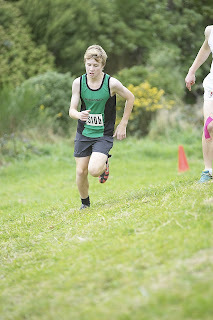 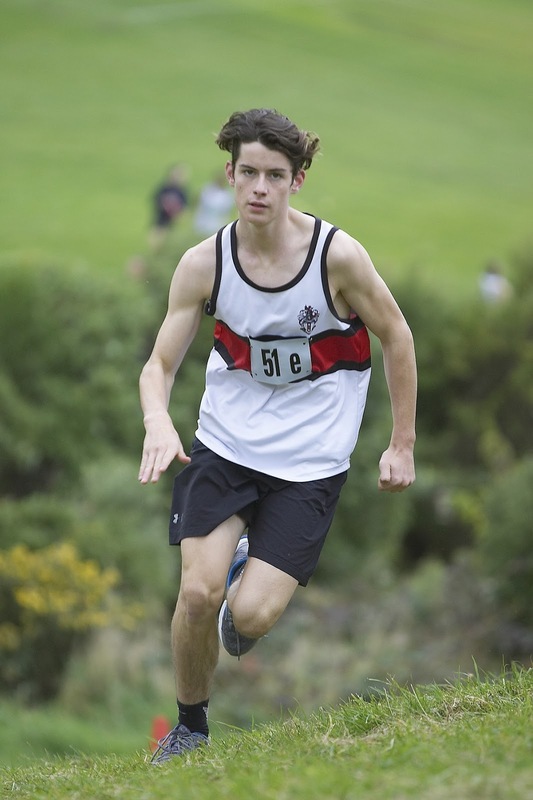 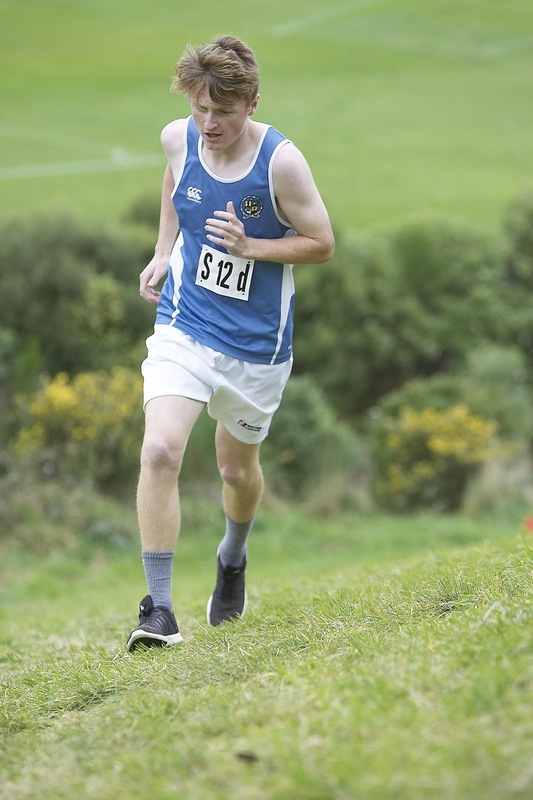 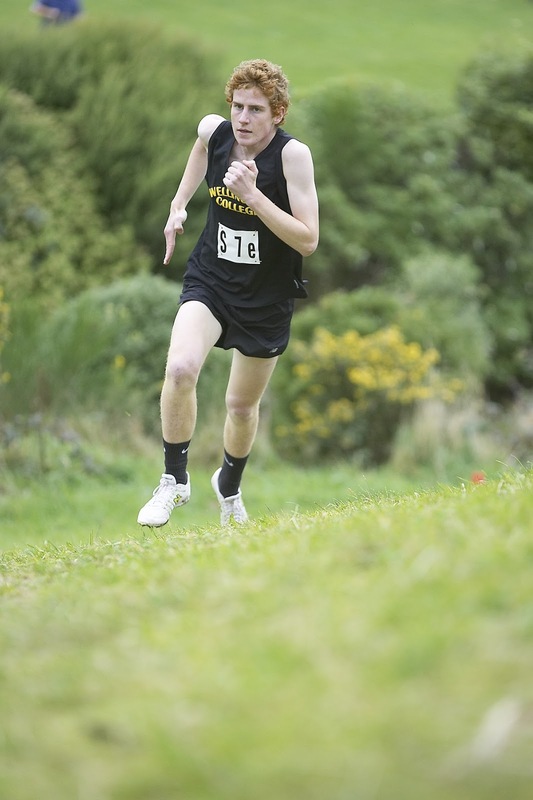 However Palmerston North Boys High who came for the first time last year did enter and didn’t they do well in picking up the fastest team title in the Senior Boys Grade. 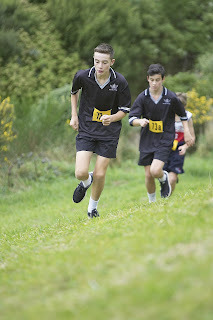 The school also picked up 2nd place in the Under 16 Boys Grade. 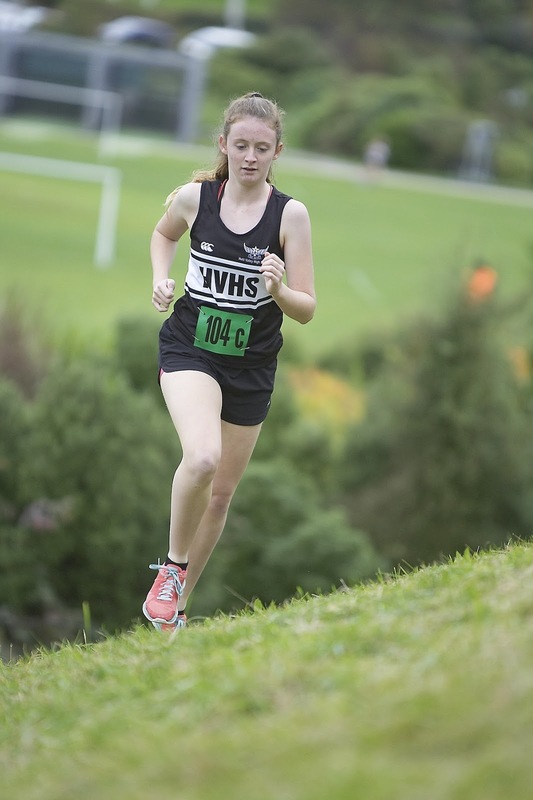 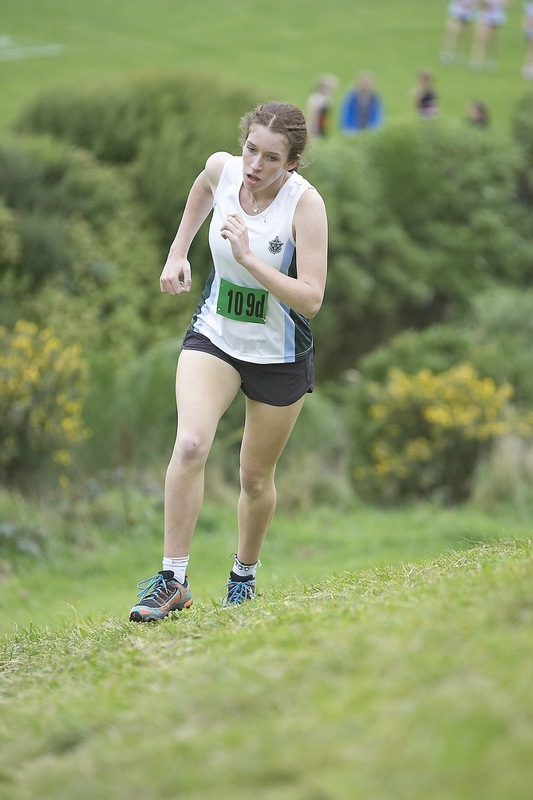 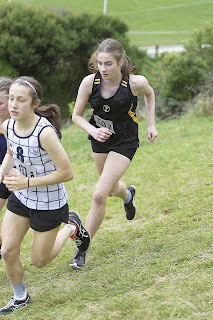 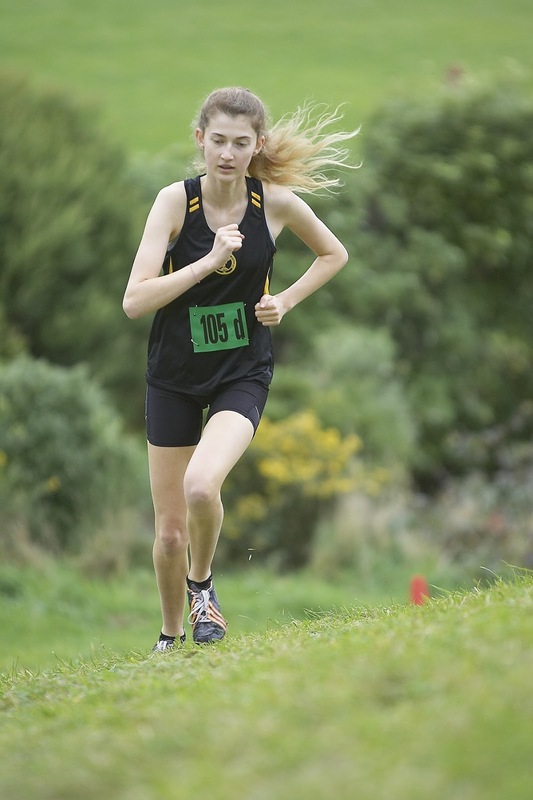 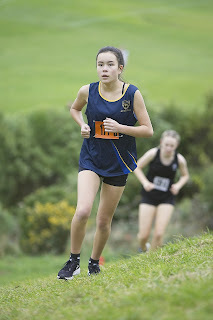 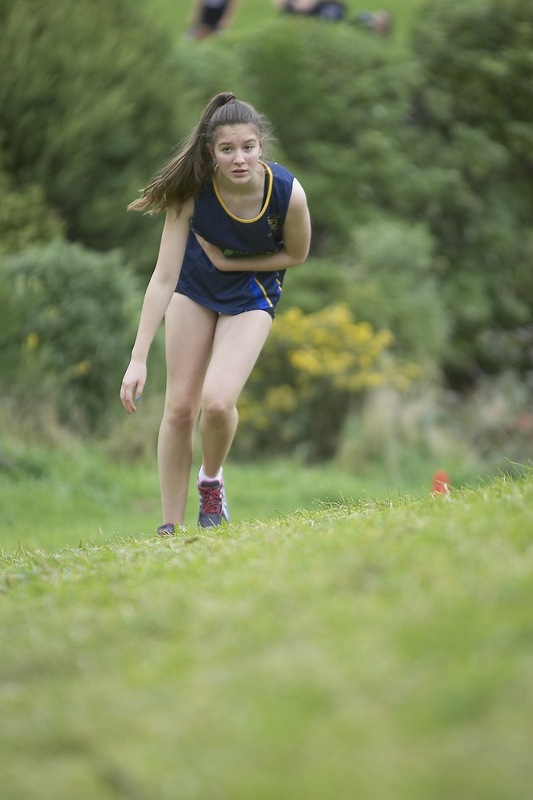 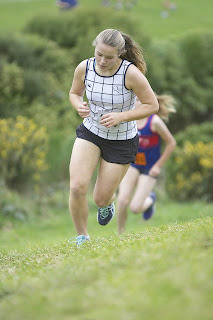 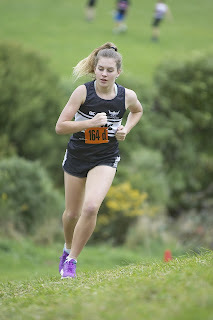 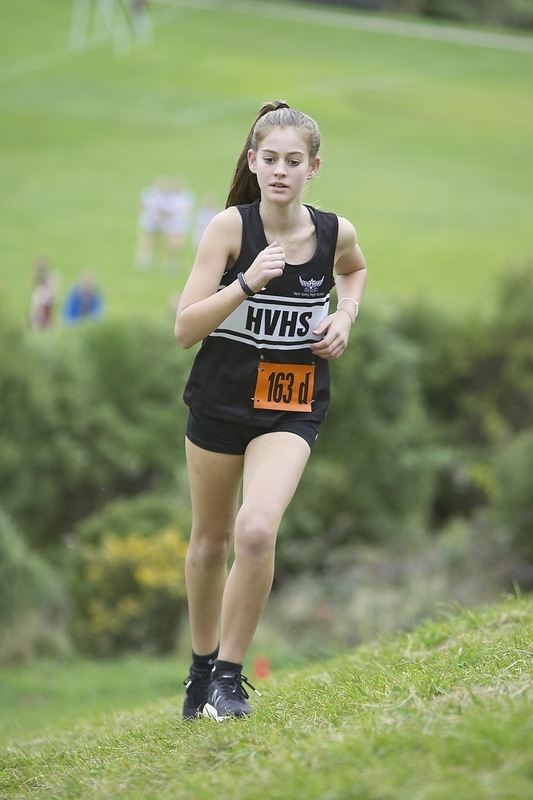 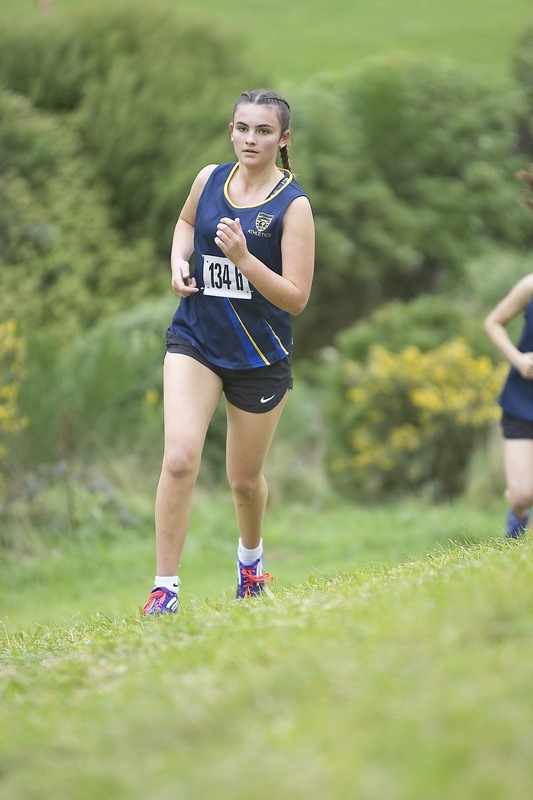 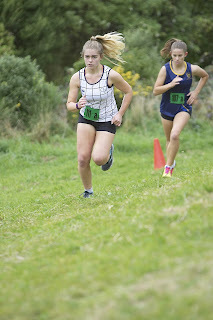 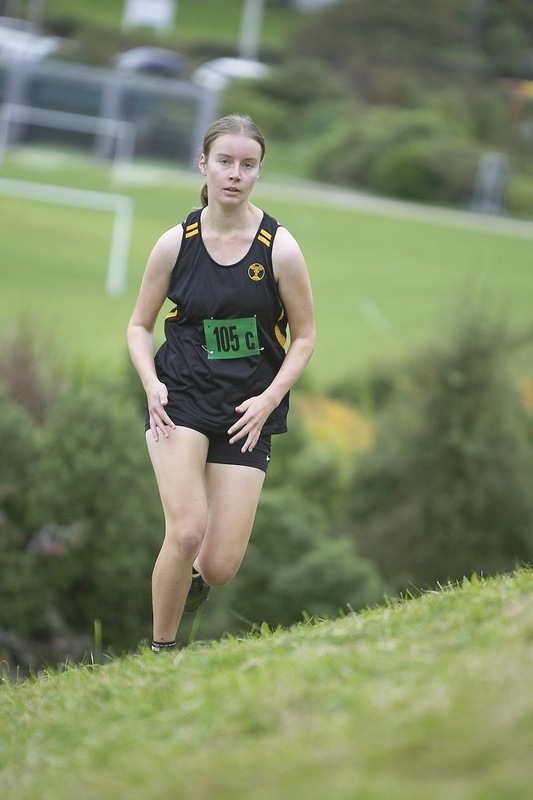 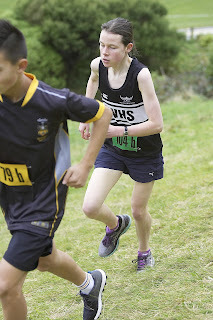 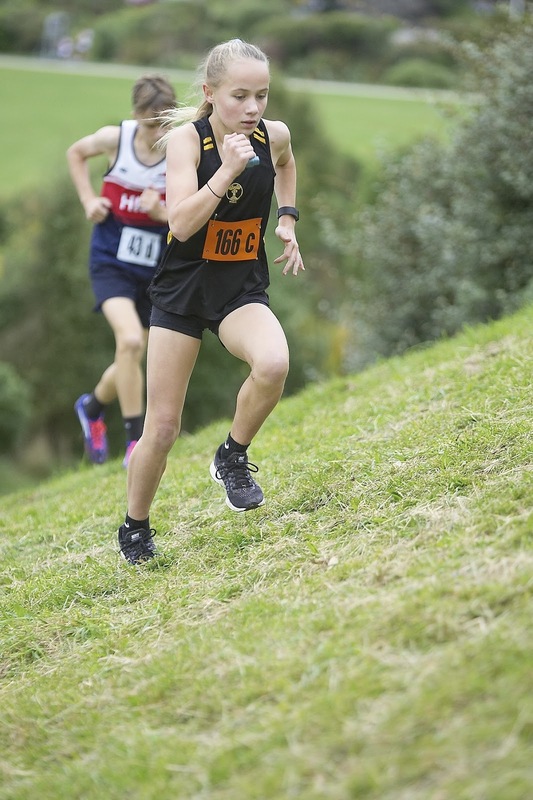 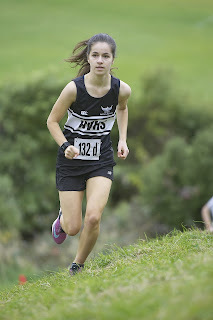 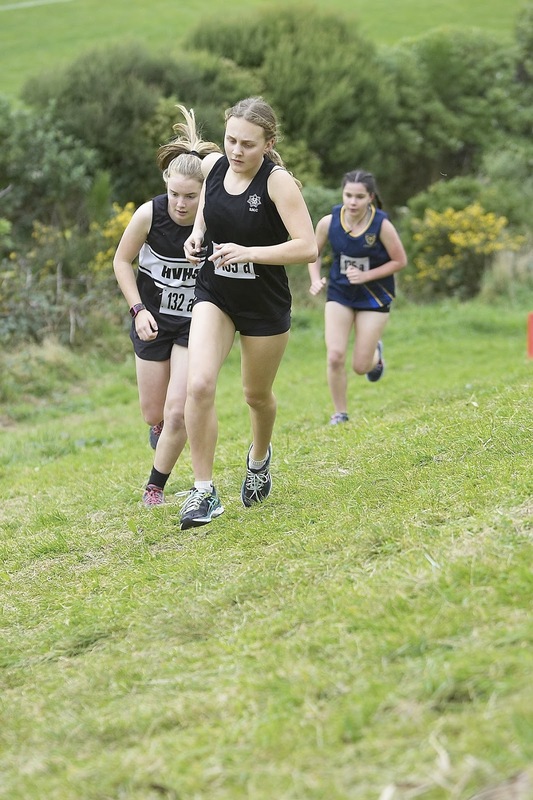 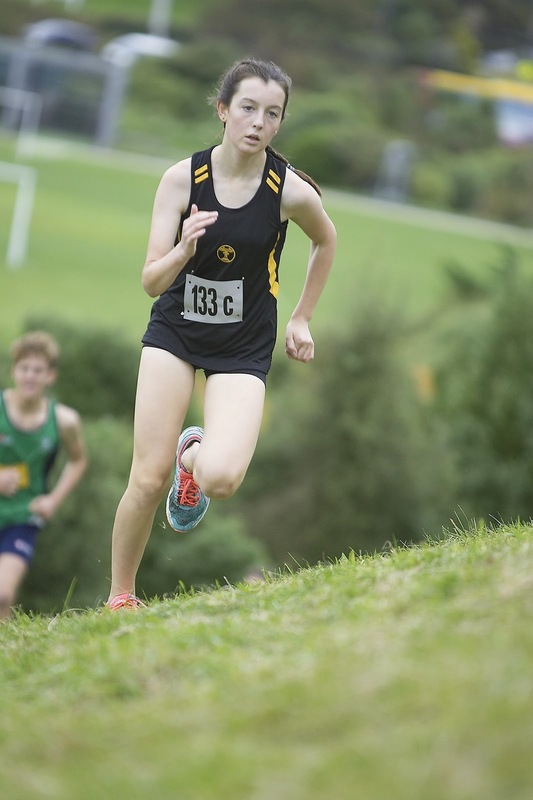 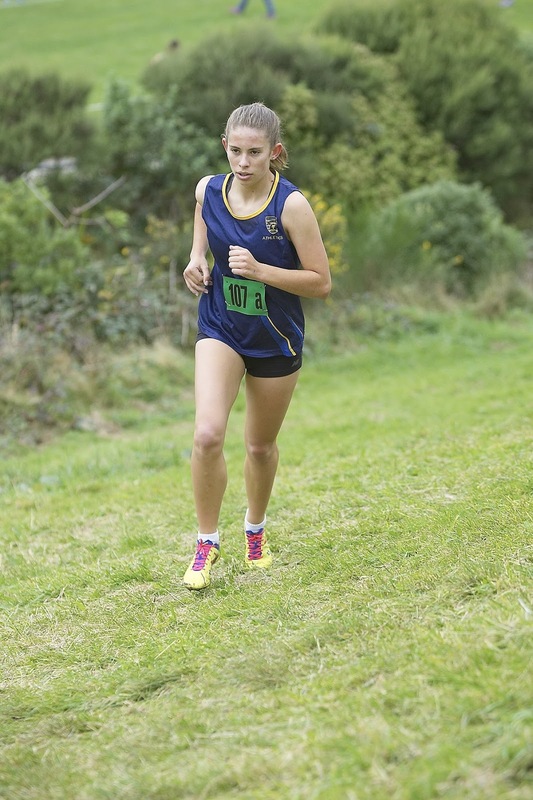 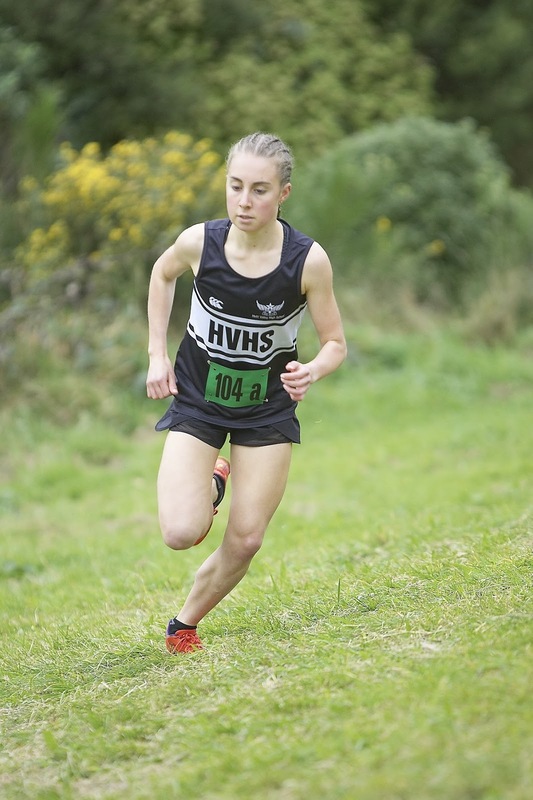 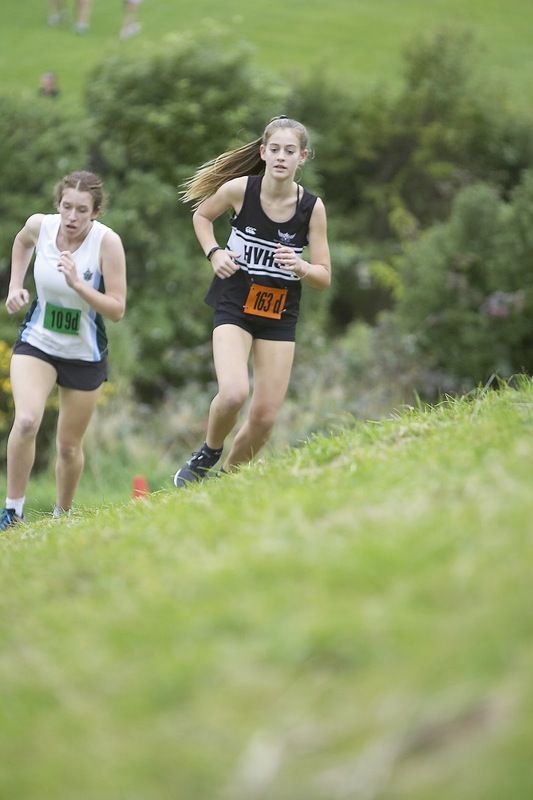 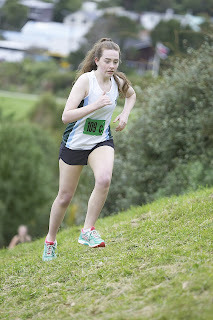 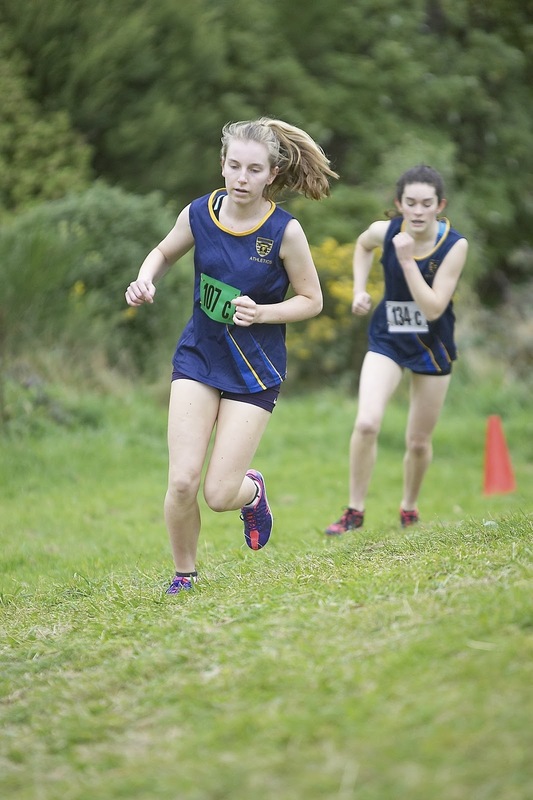 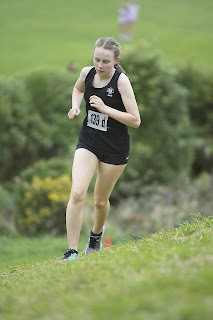 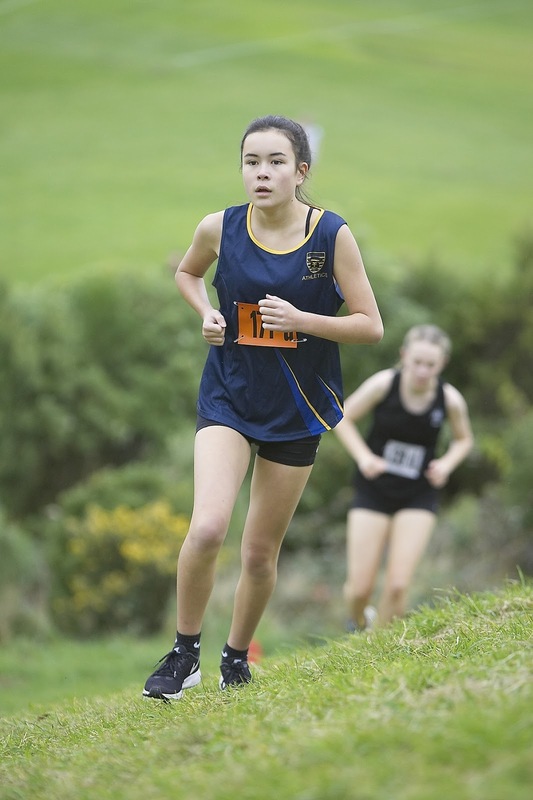 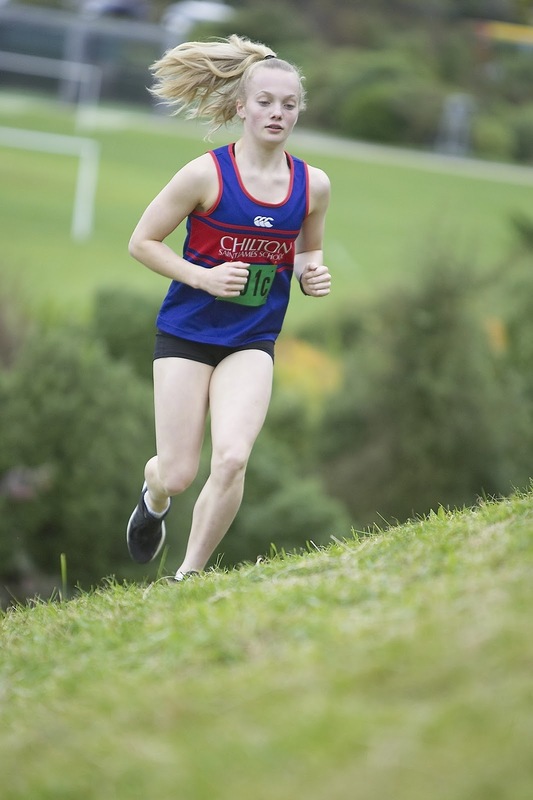 In the Senior Girls Grade Marsden Collegiate School grabbed the winner’s title 1 second ahead of Hutt Valley High School – that must have been a nail biting time for both schools.